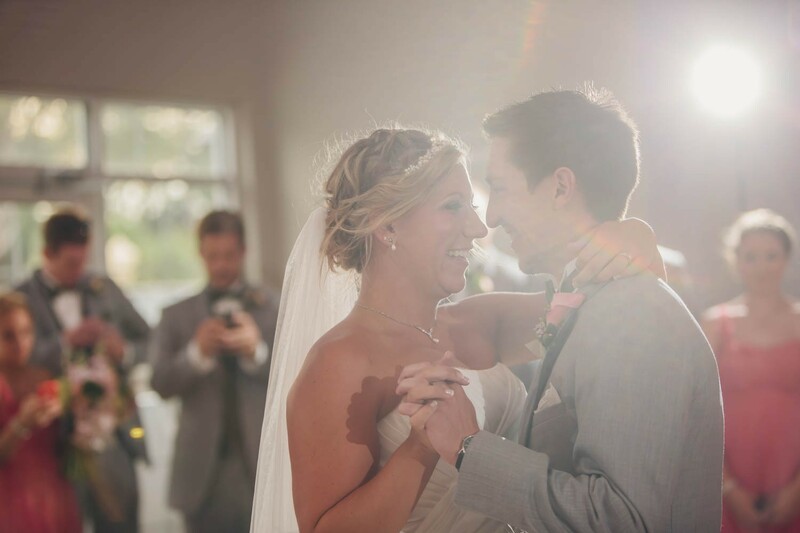 Sara and Jared met through friends and fell in love quickly!! 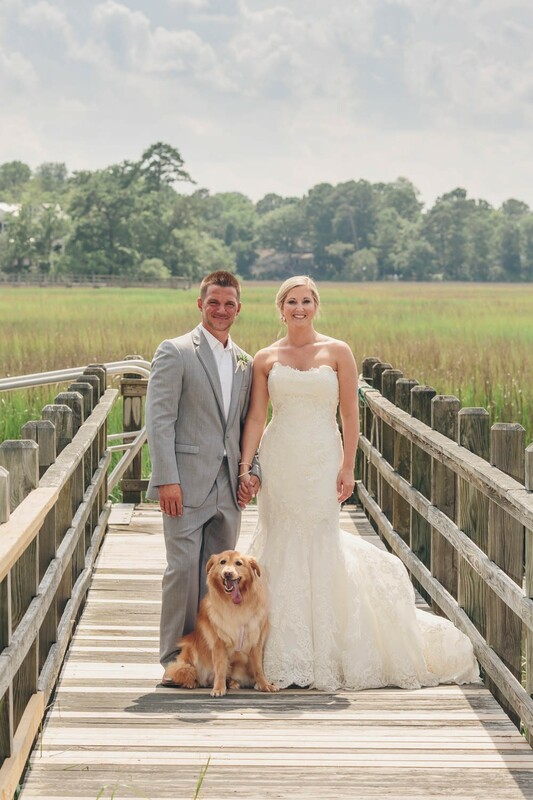 The two love their pup Chloe and road trips together! 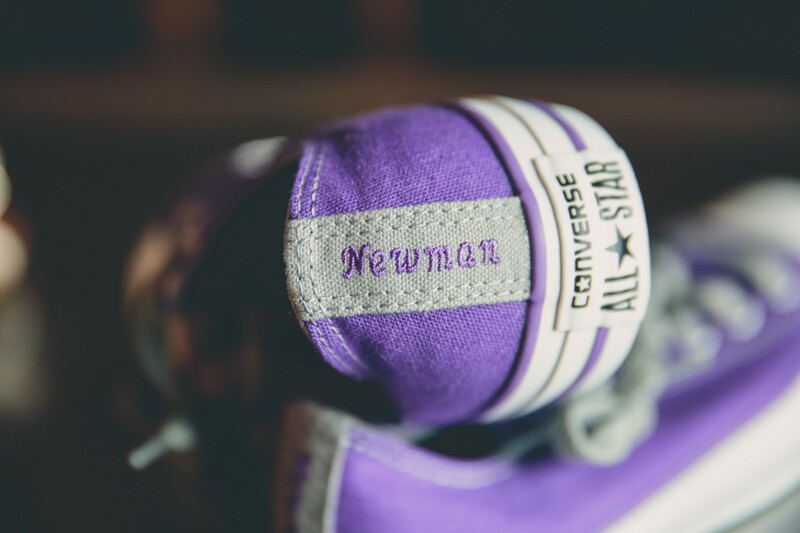 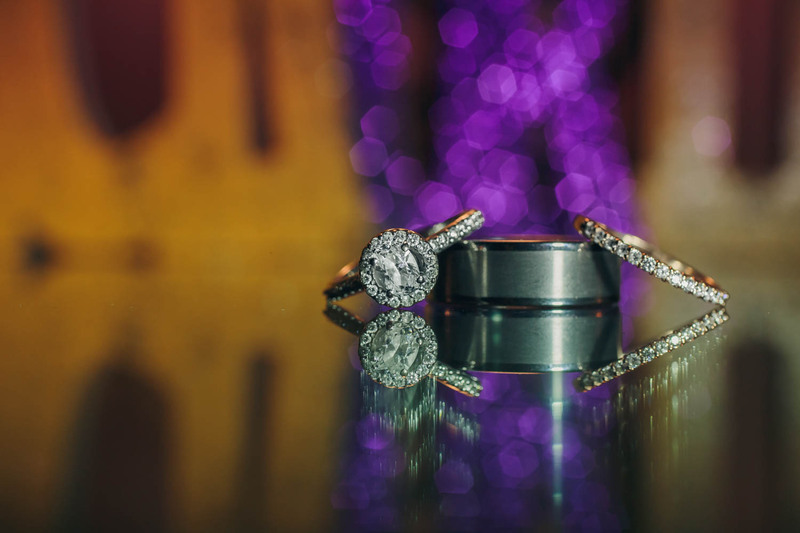 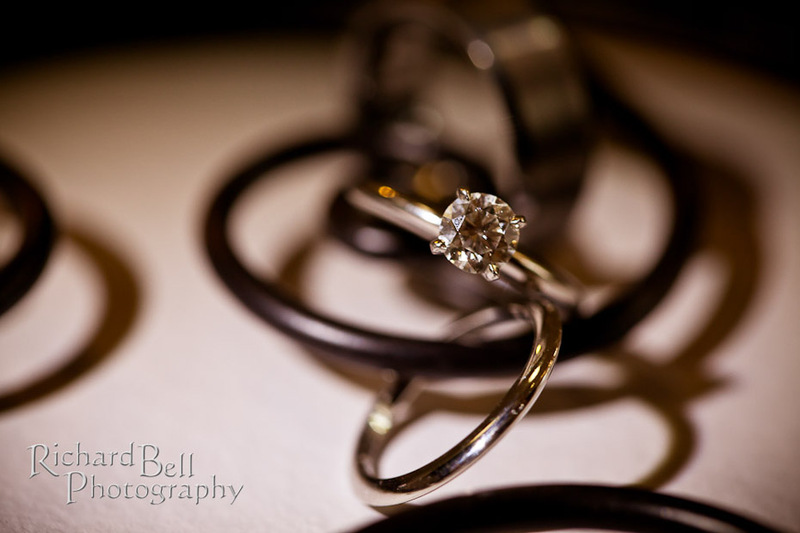 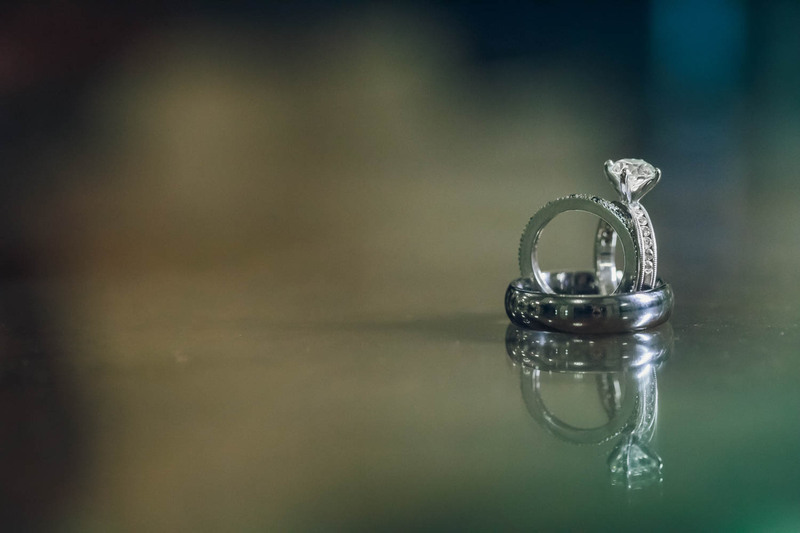 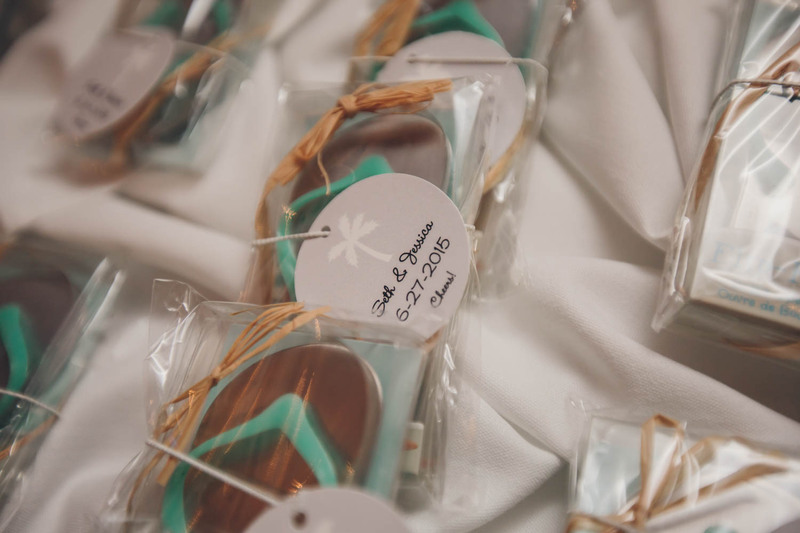 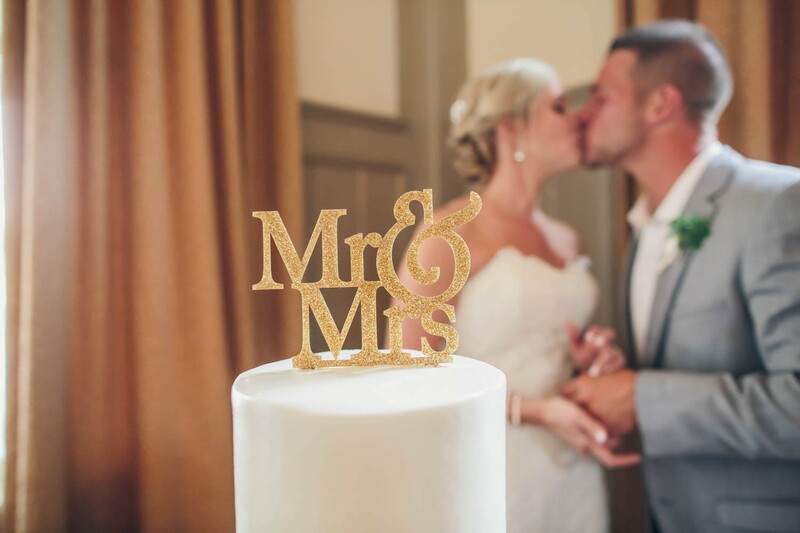 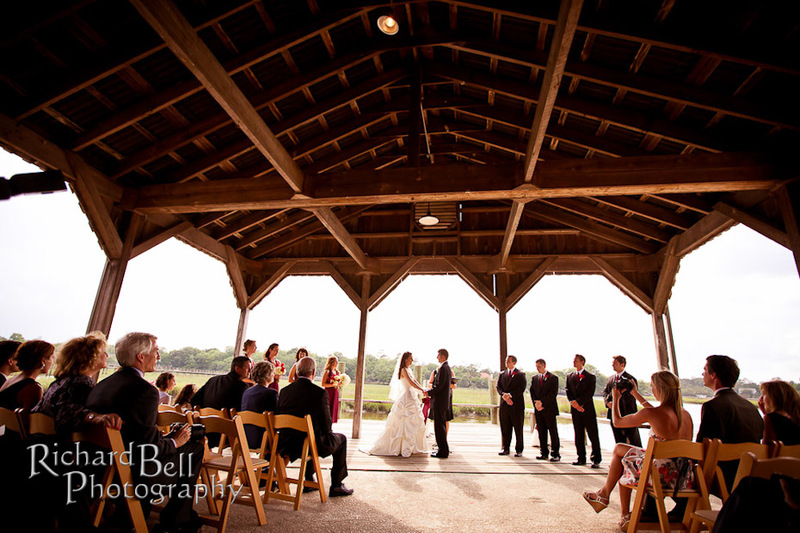 This wedding was a destination wedding, so the two wanted it to be special for both of their families. 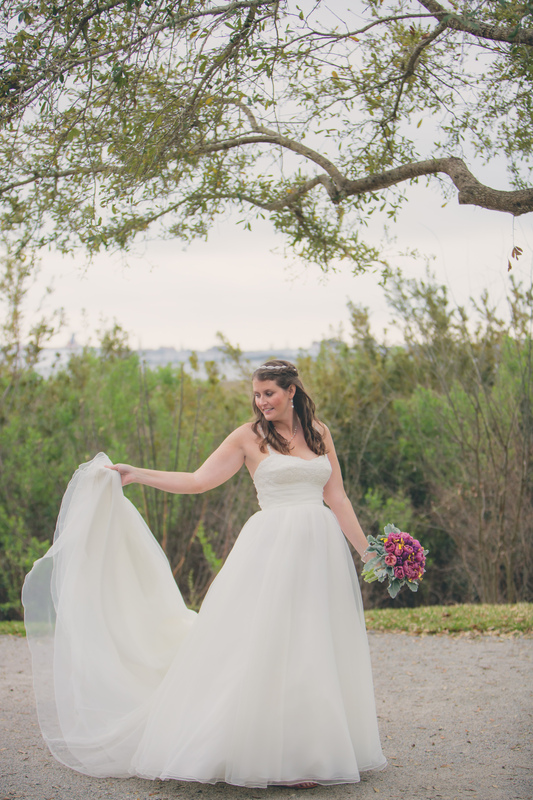 Sara wanted her Texas roots integrated with Jared’s Pennsylvania family. 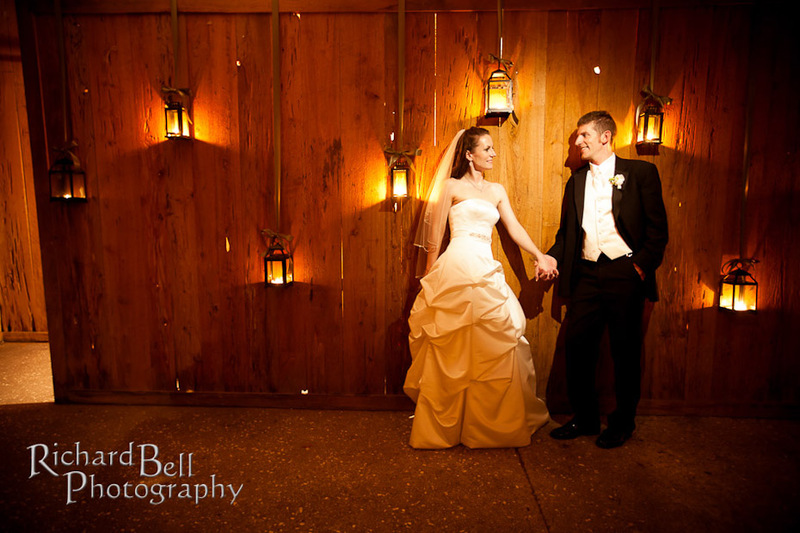 The two wanted the day to be something different from back home, but also comfortable and familiar. 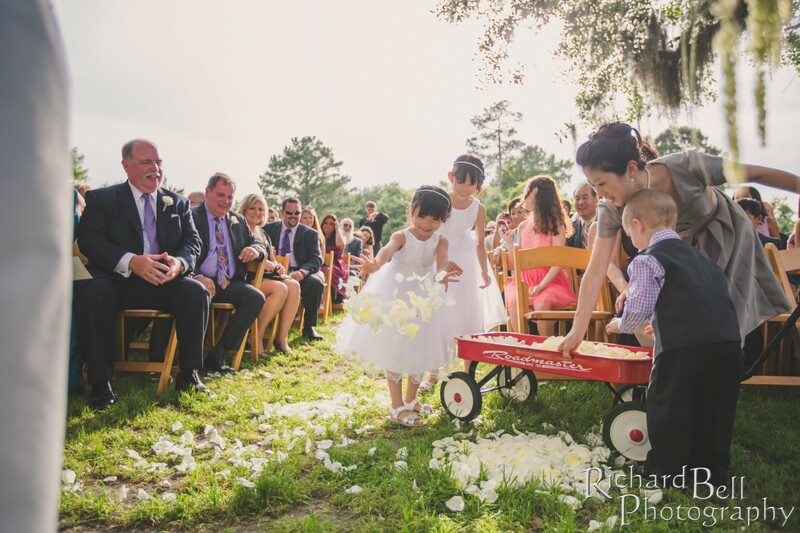 With the touches that they chose the day was exactly that! 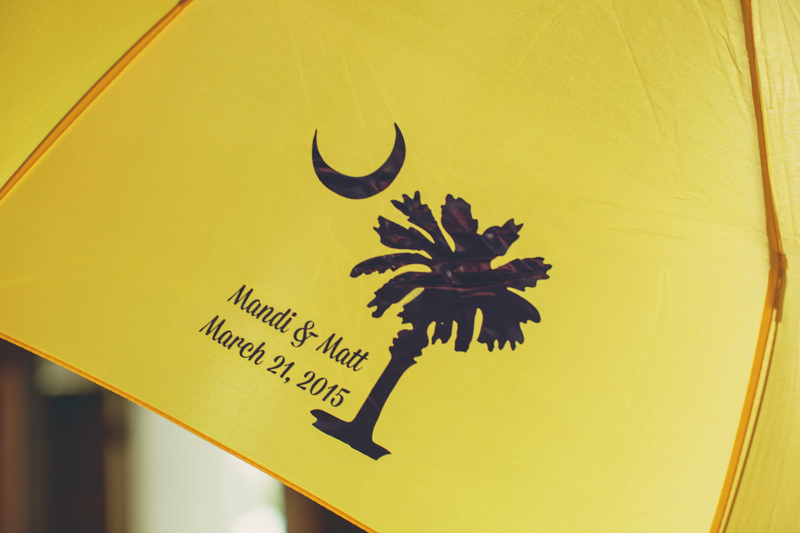 Mandi and Matt wanted a day were everyone had a great time partying and dancing! 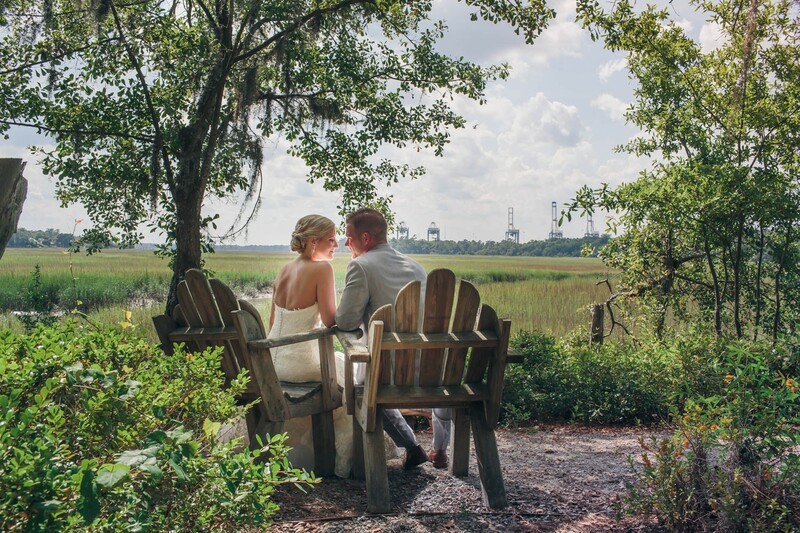 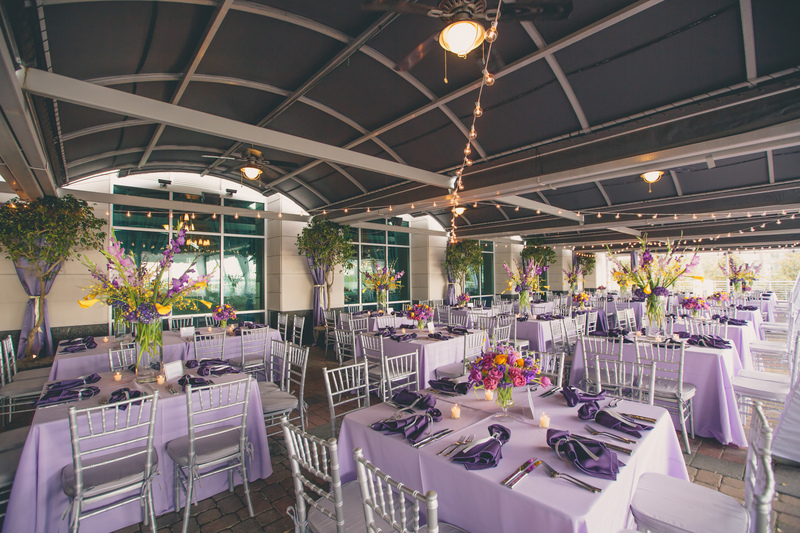 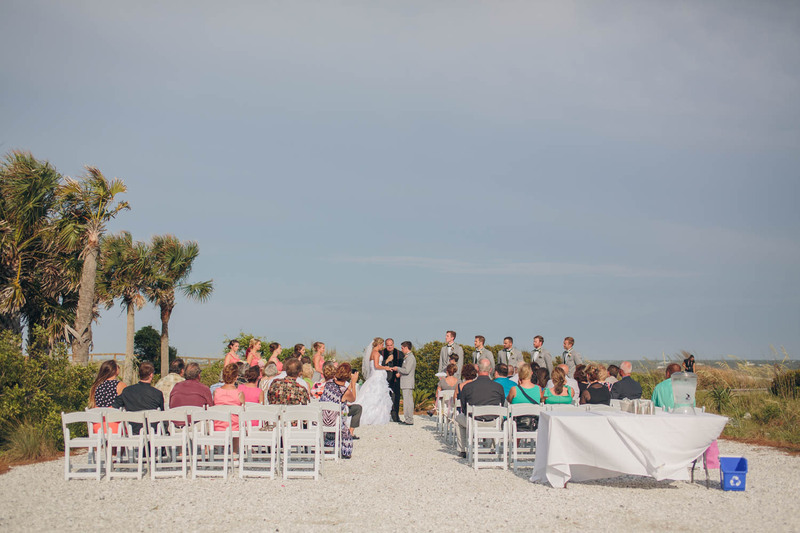 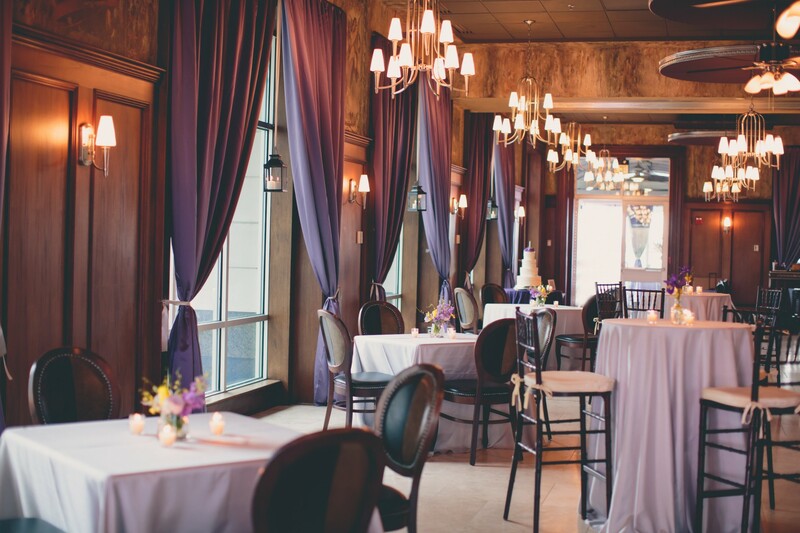 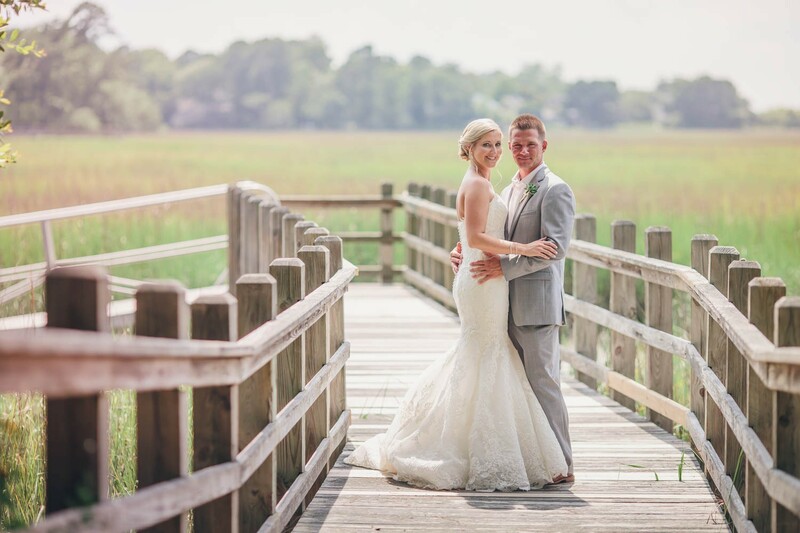 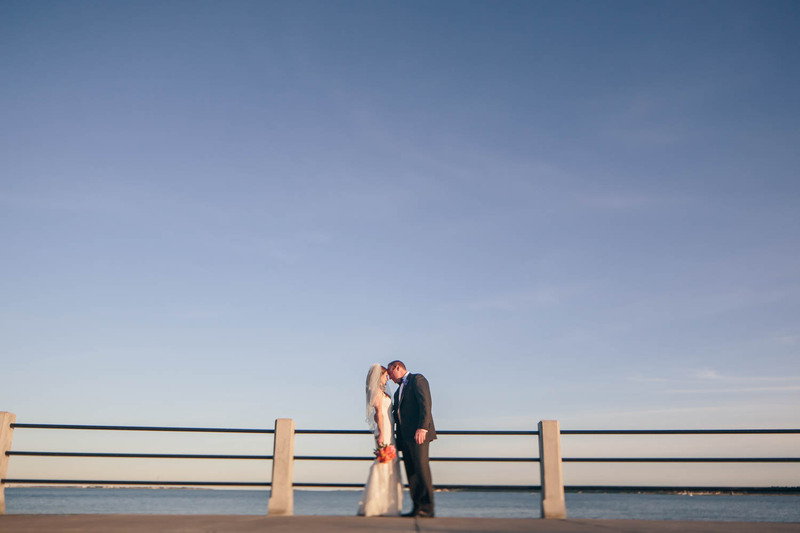 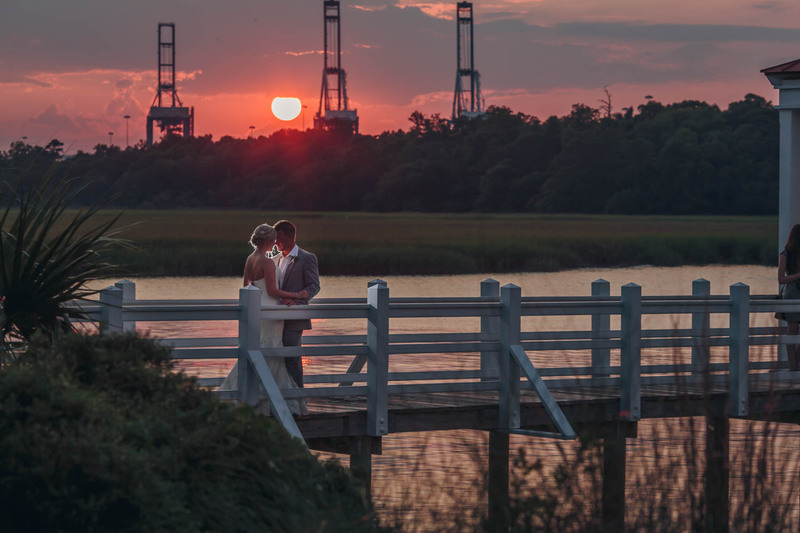 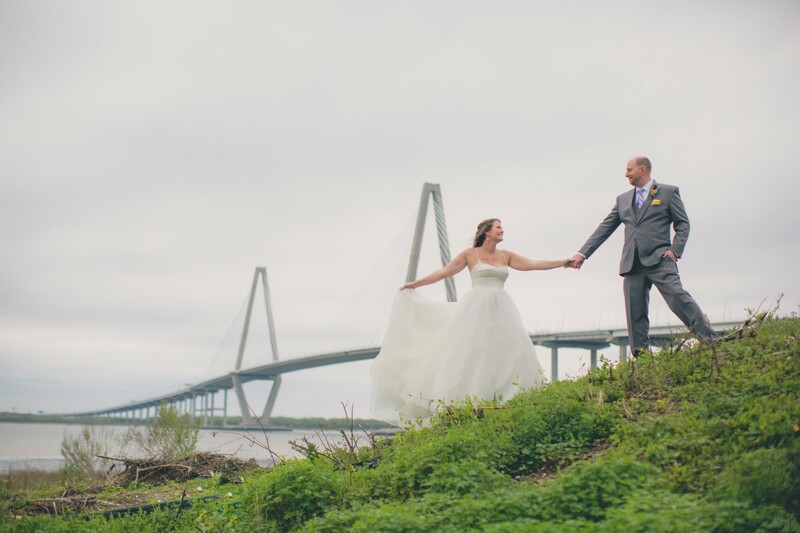 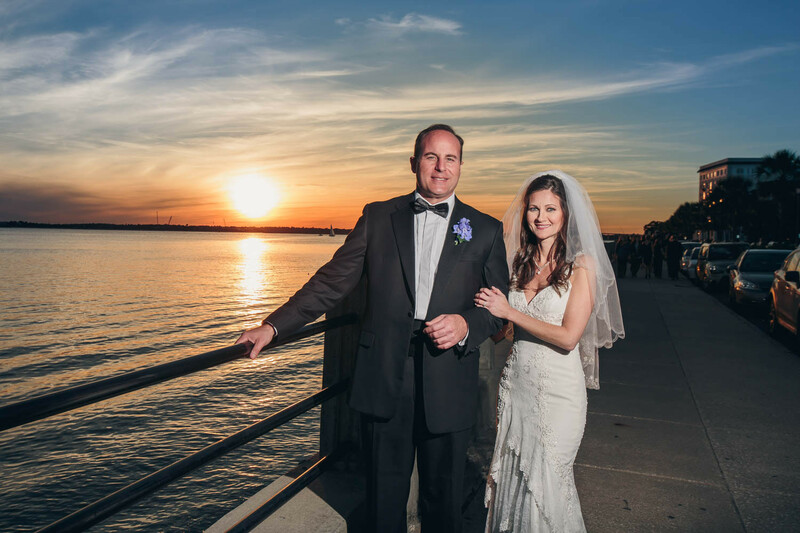 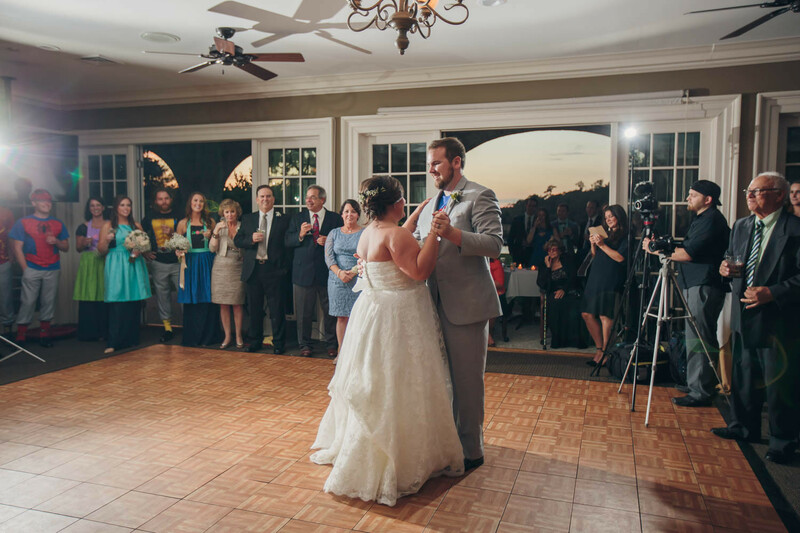 Harborside East is a great venue with breathtaking views of the Cooper River Bridge. 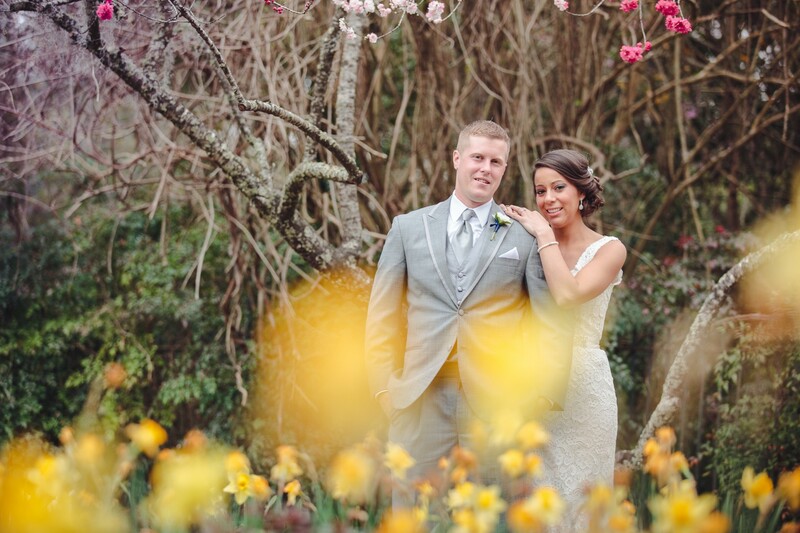 The lovely Cindy at Engaging Events planned a beautiful day with purples, pinks, and yellows. 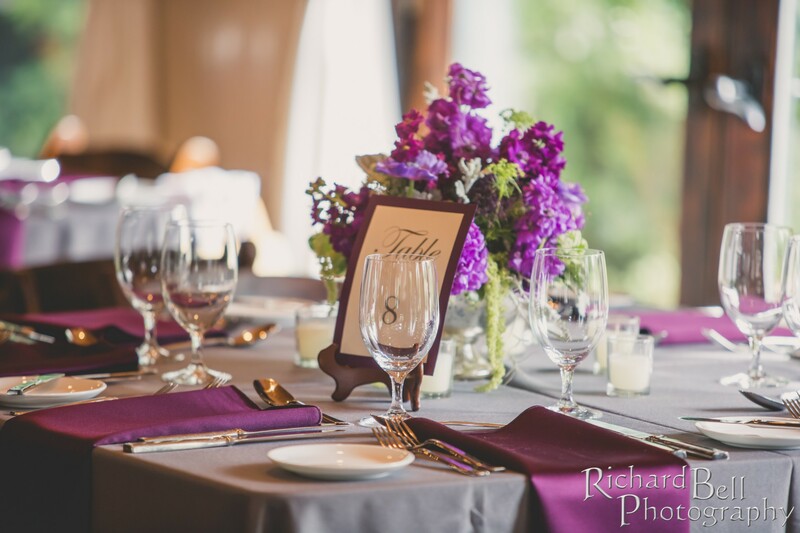 Rentals from Event Works made a perfect accents to the evening. 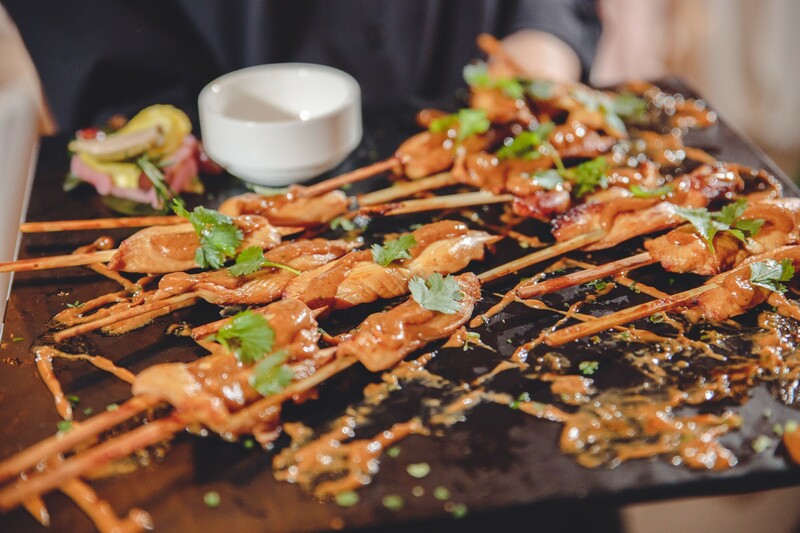 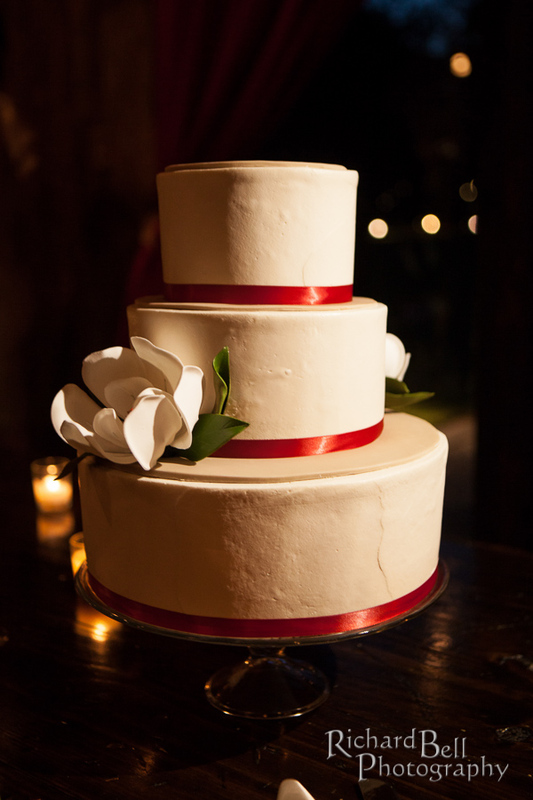 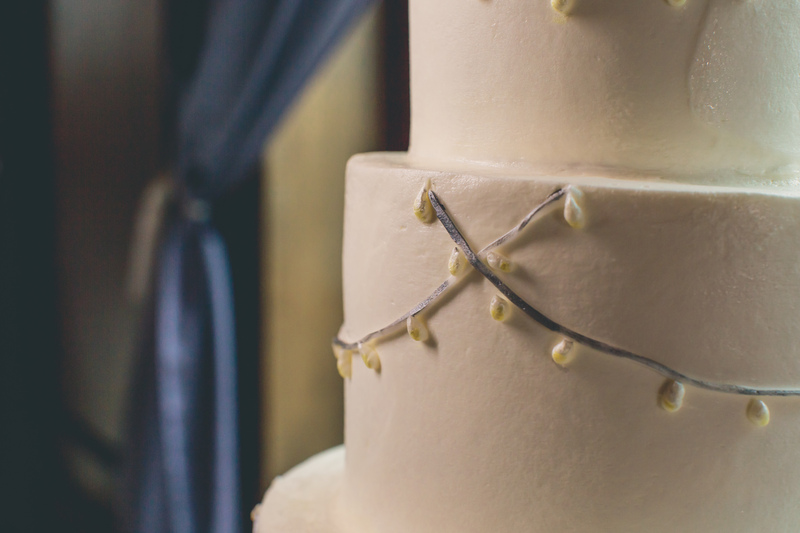 Guests dined with entrees by Good Food Catering and a delicious cake by Elain’s Events. 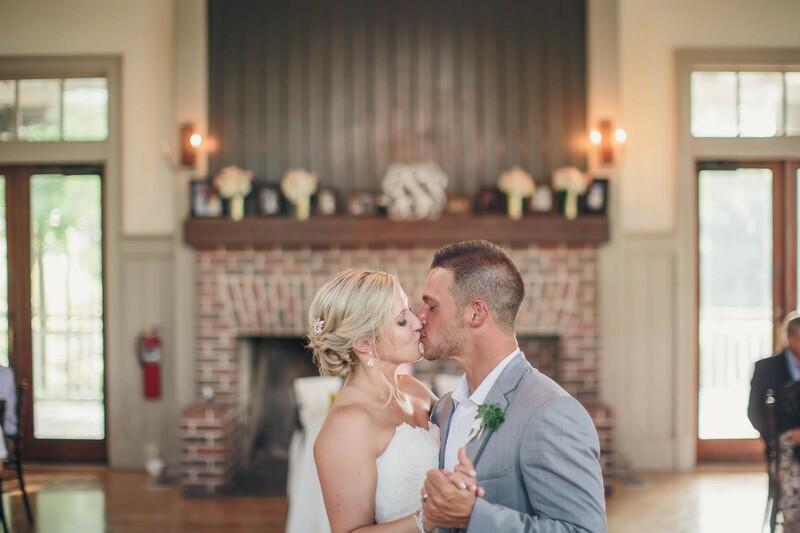 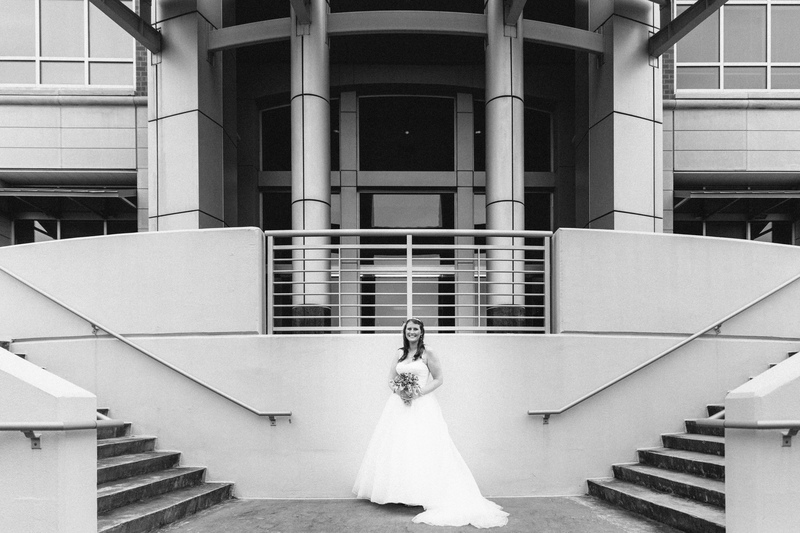 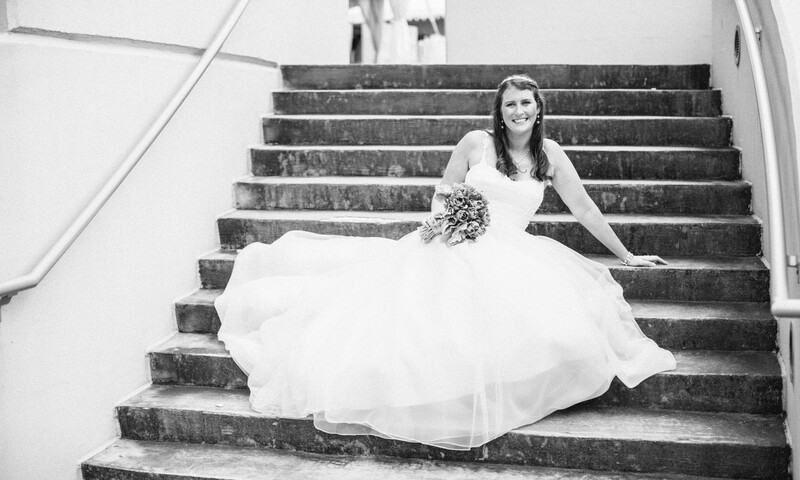 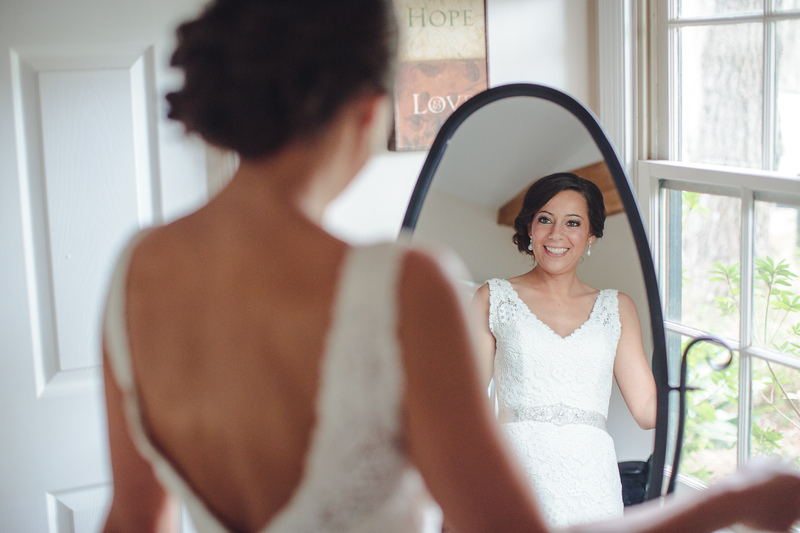 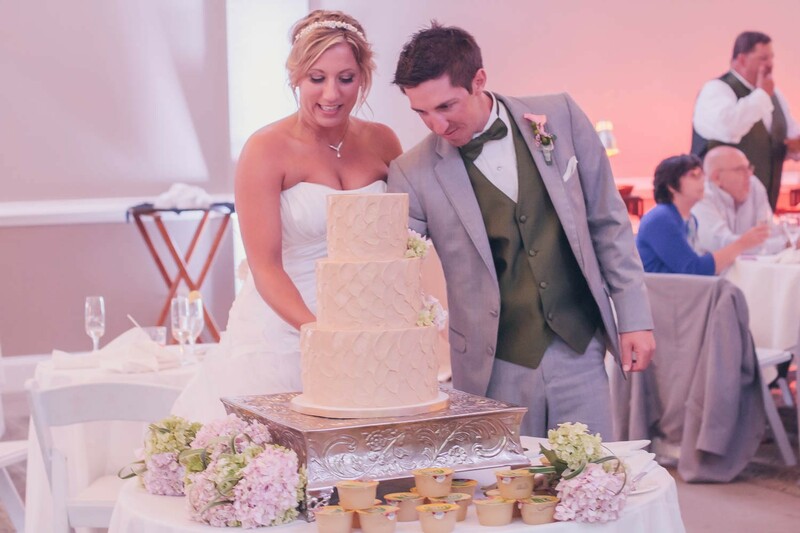 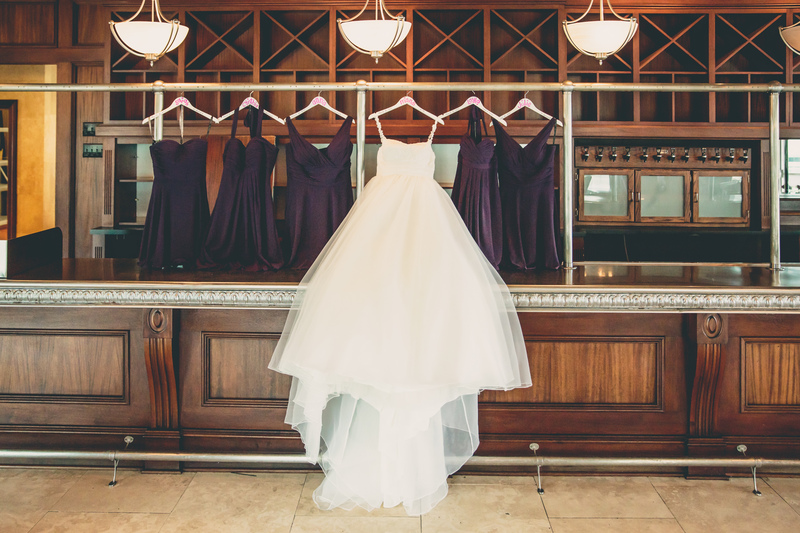 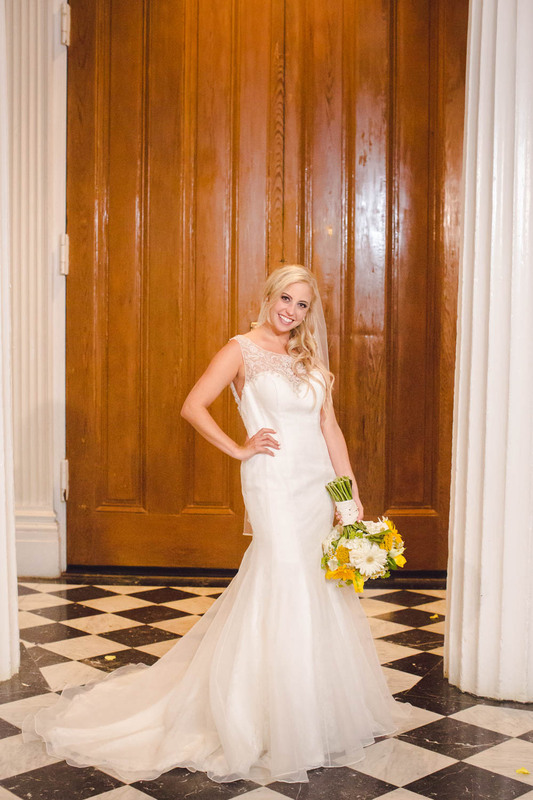 The ceremony was performed by Christy Loftin Events and Vanity Salon had Mandi looking awesome! 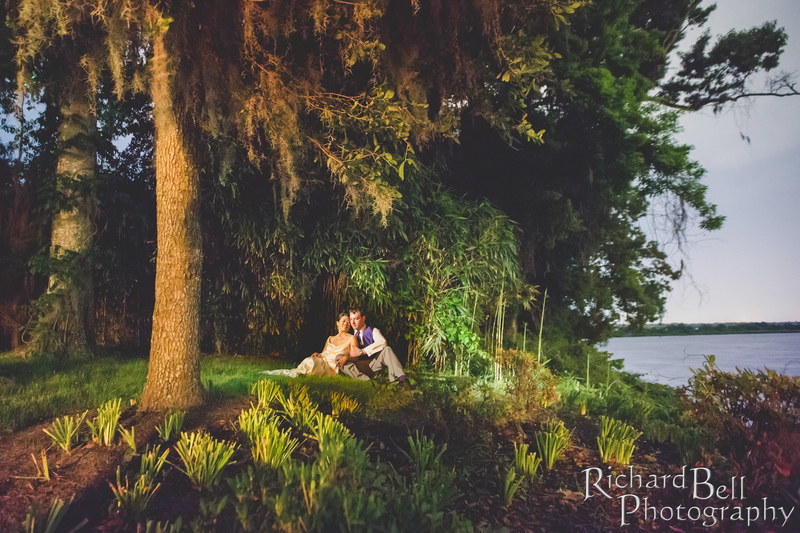 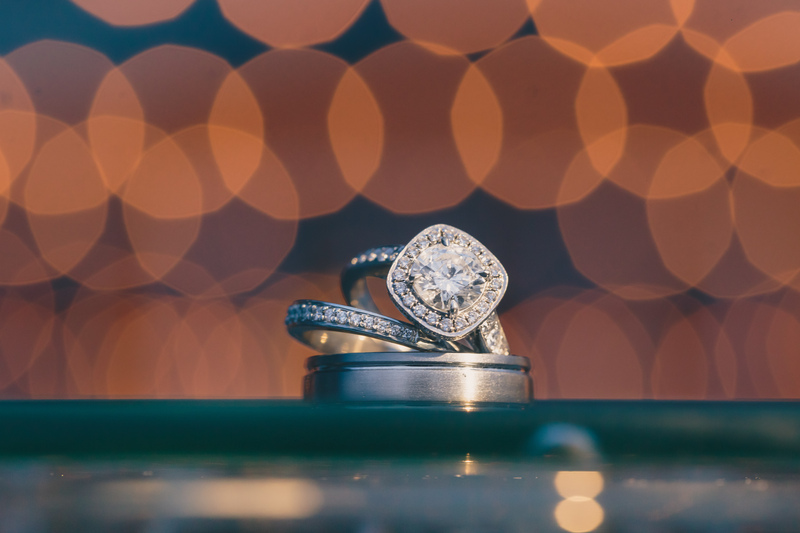 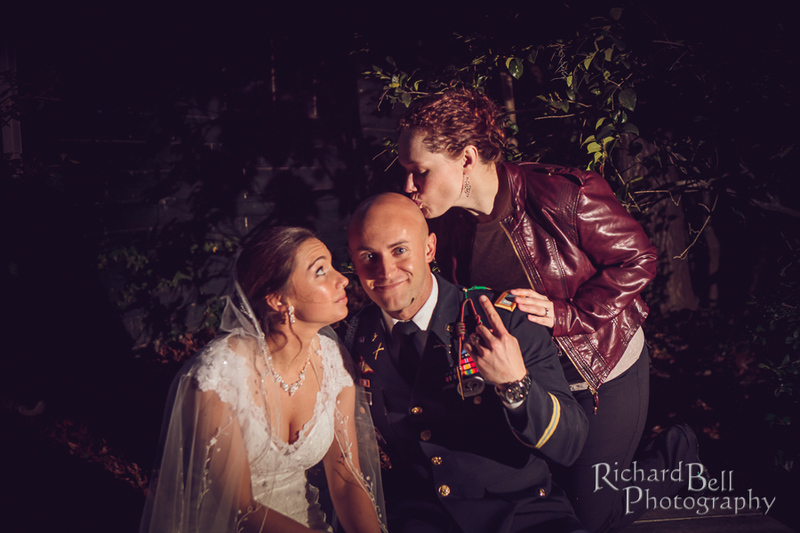 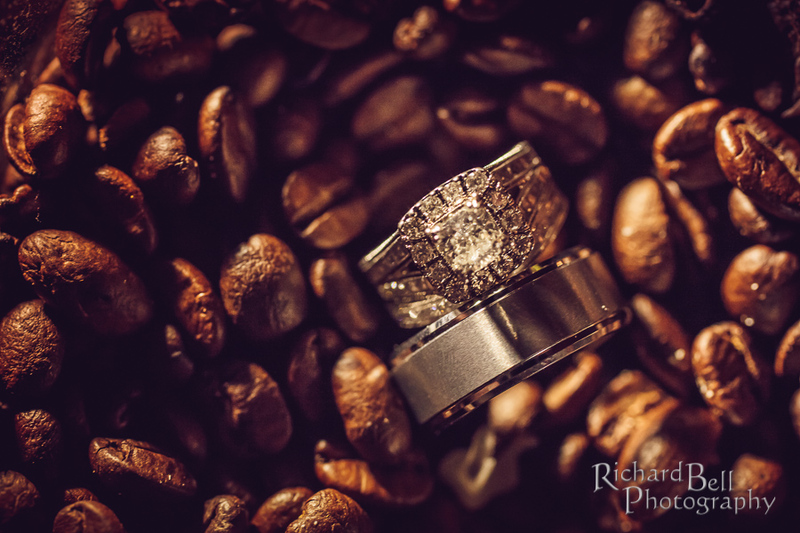 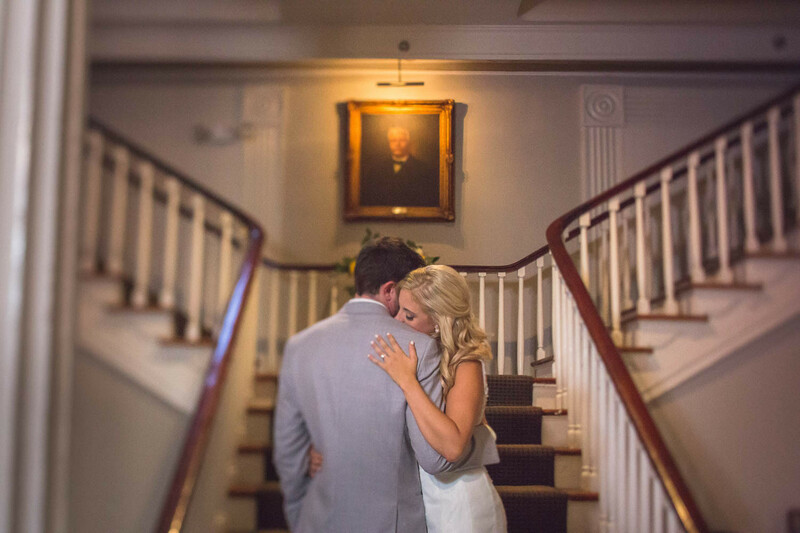 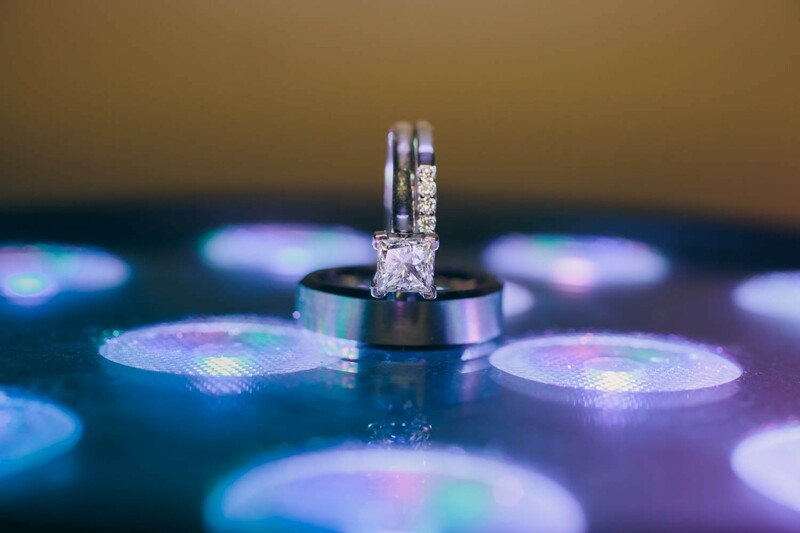 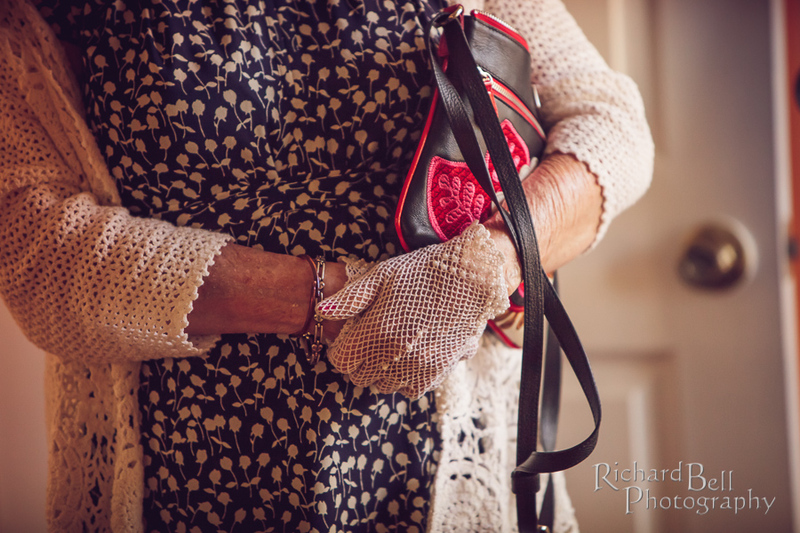 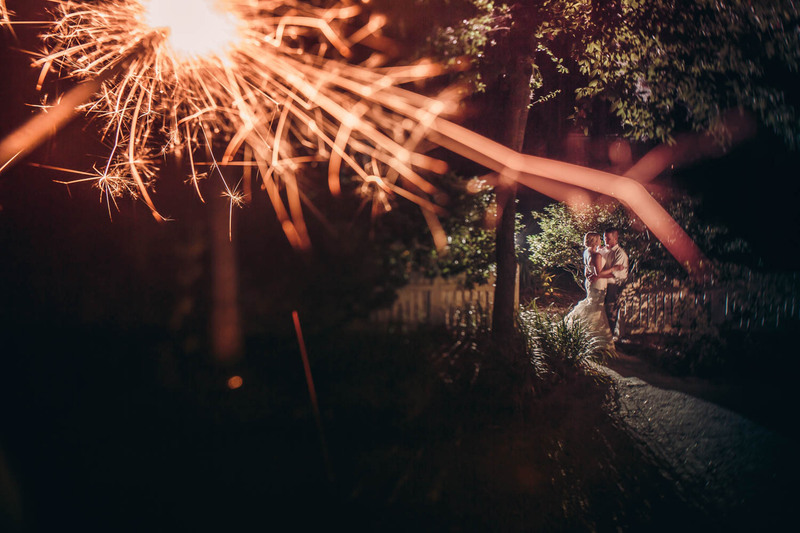 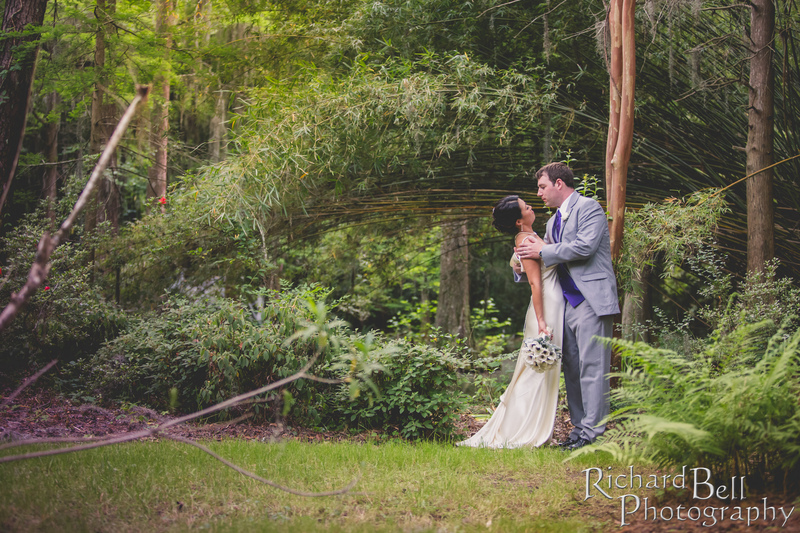 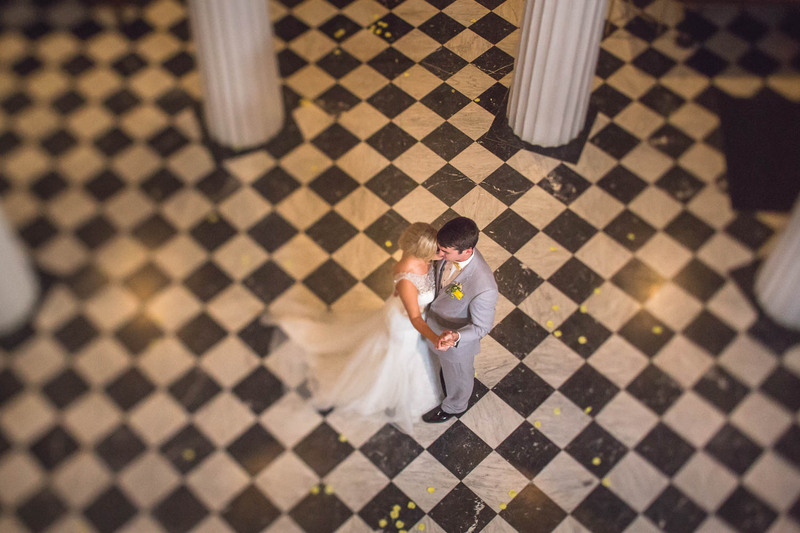 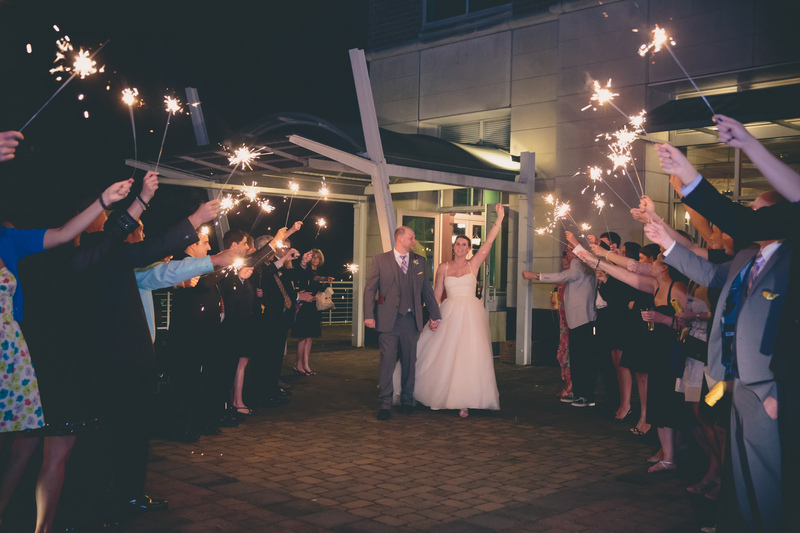 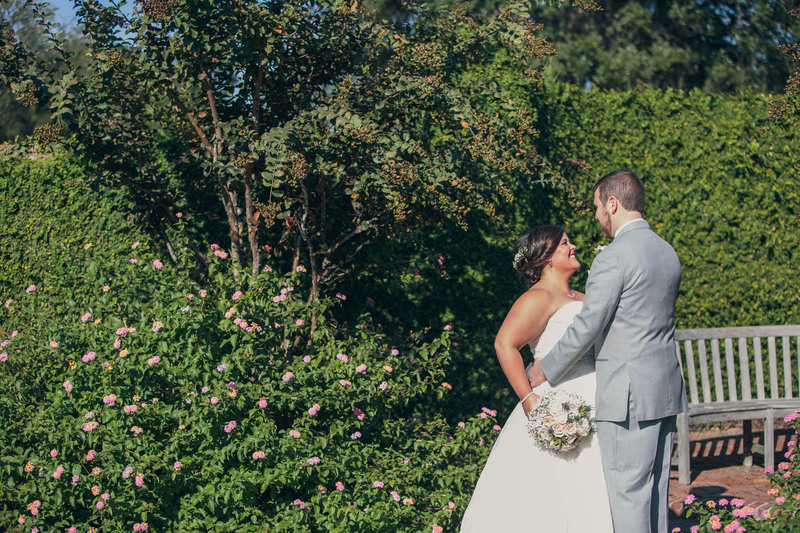 Kristina and Bryan met while attending the University of Rhode Island and had an activity filled wedding! 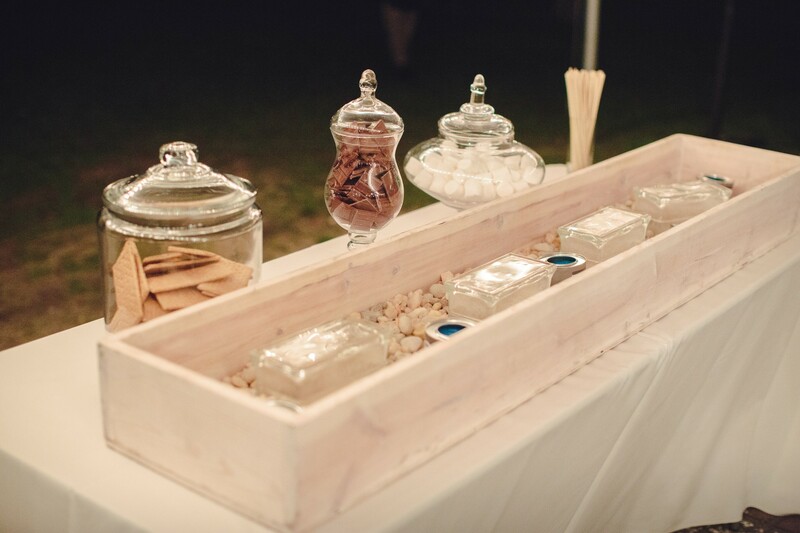 Kristina wanted to keep the day to a natural feel, and make sure all guest had a great time. They had bocci ball, corn hole, cigar rolling, a smores station, and of course, lots of dancing! 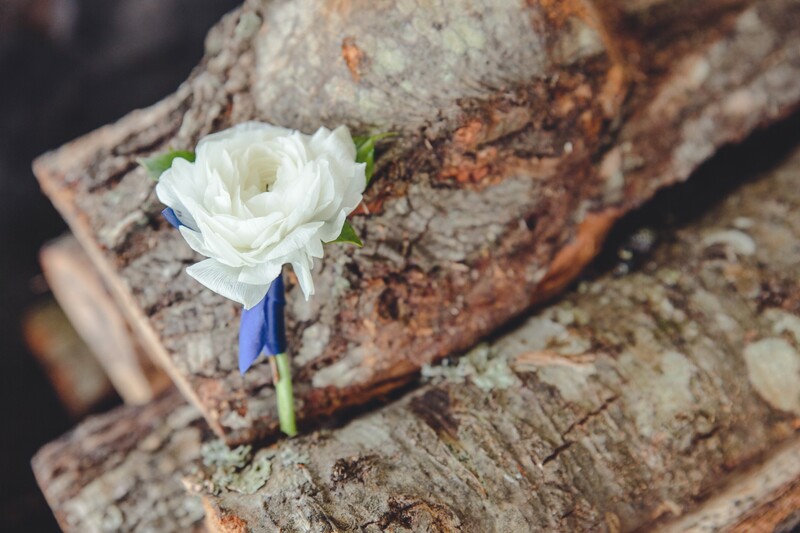 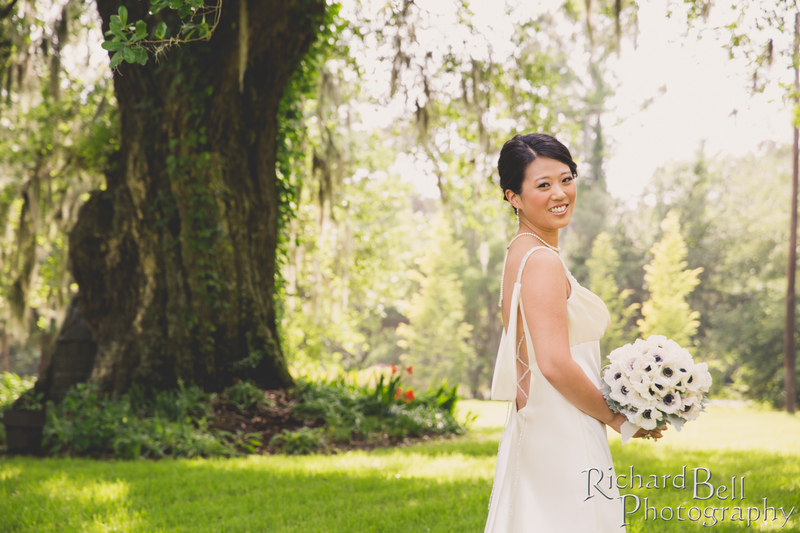 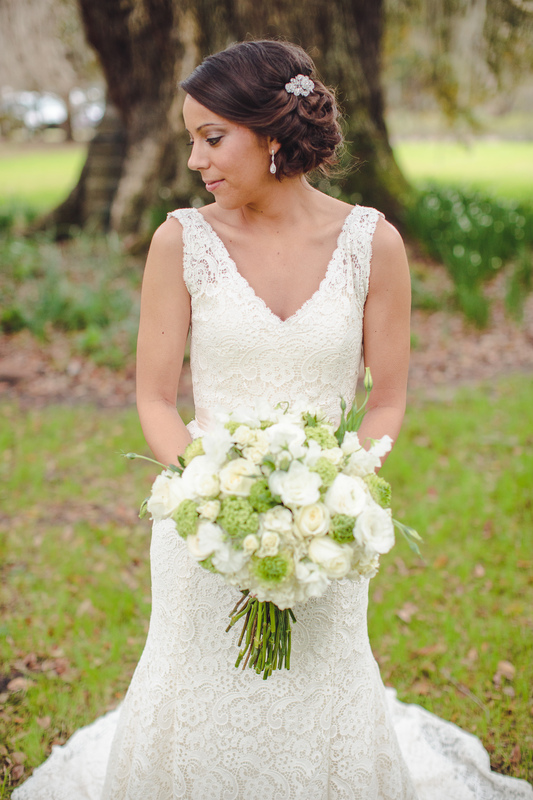 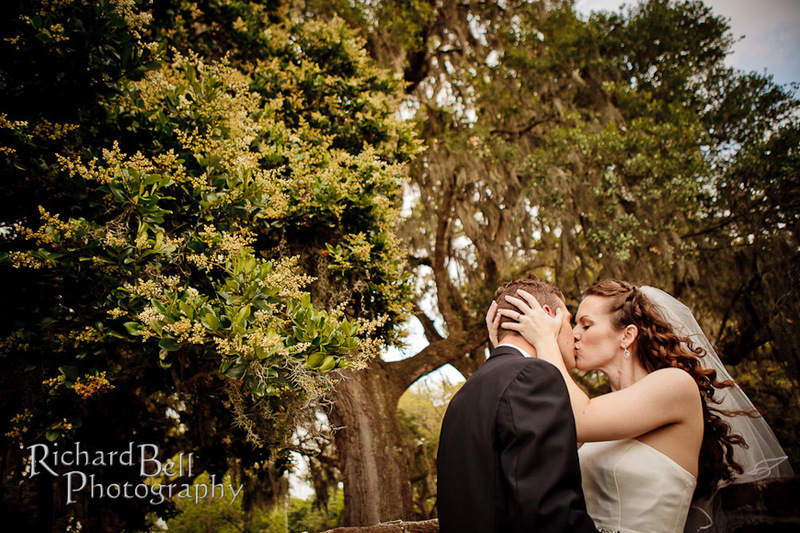 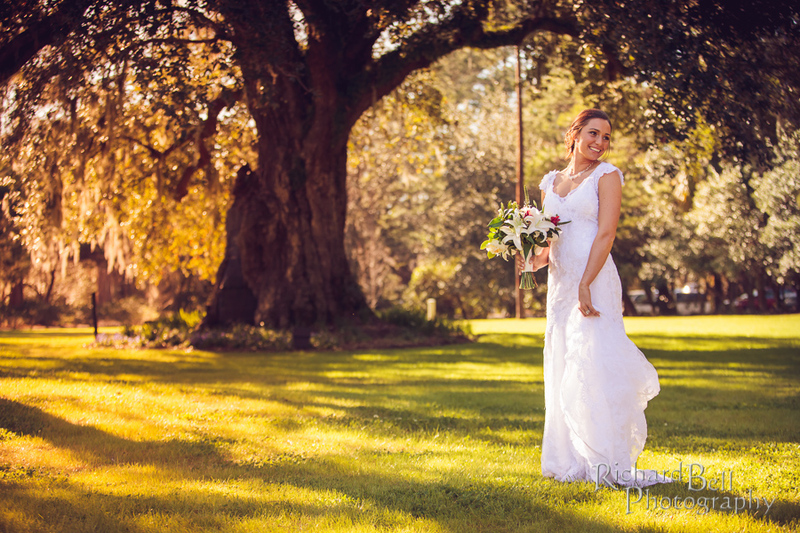 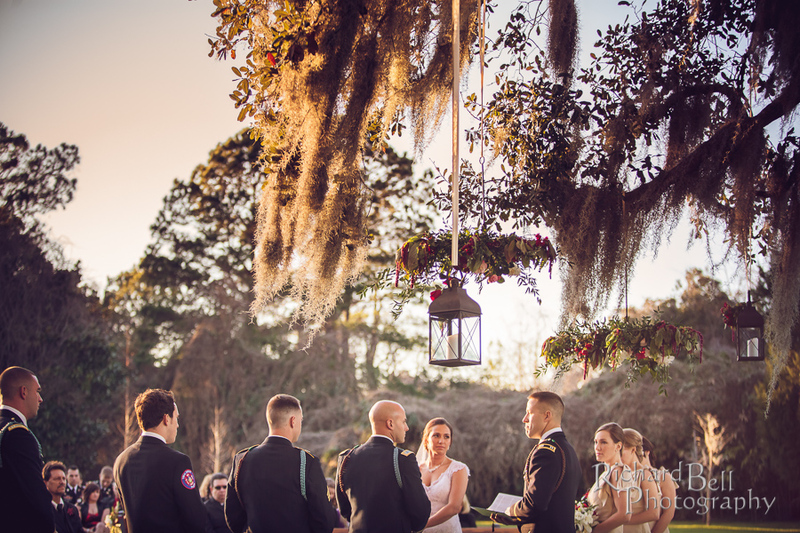 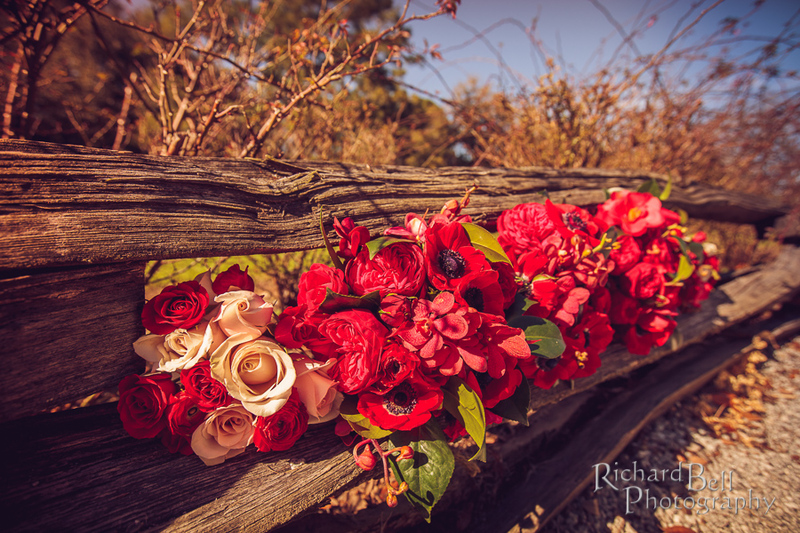 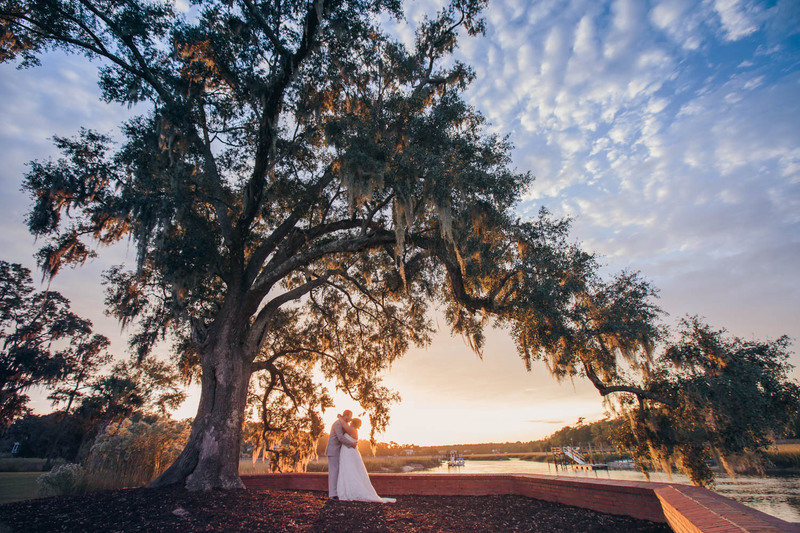 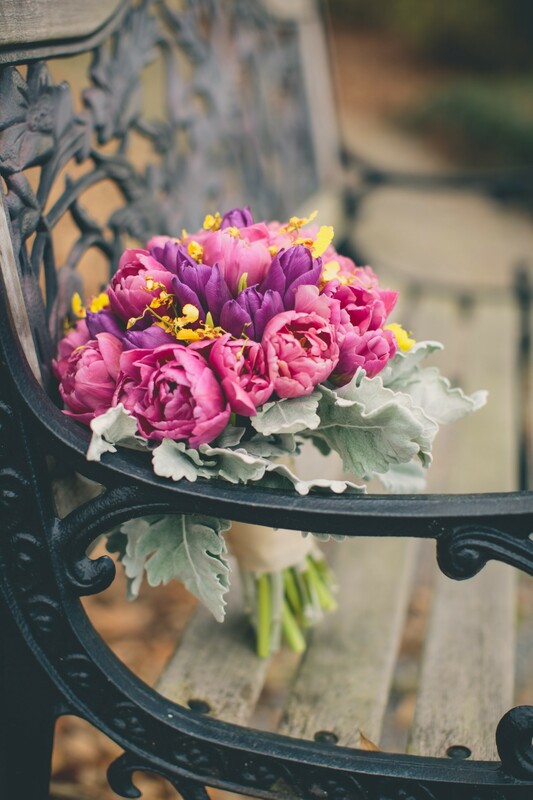 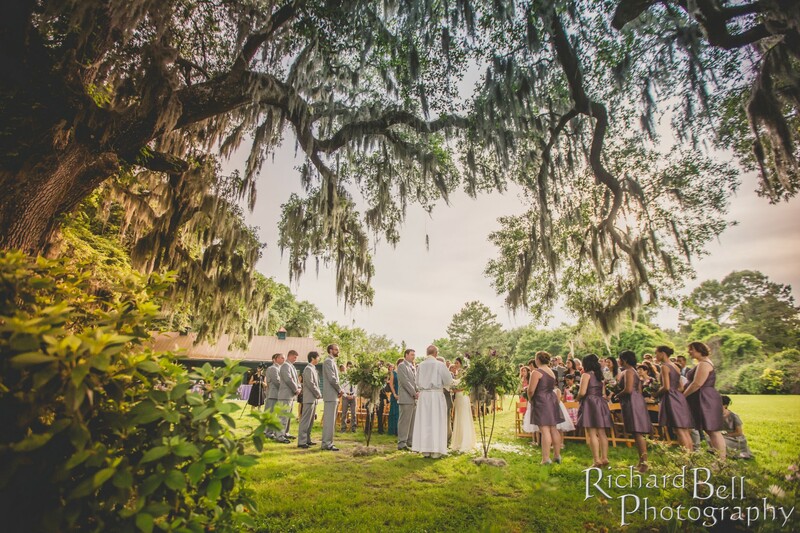 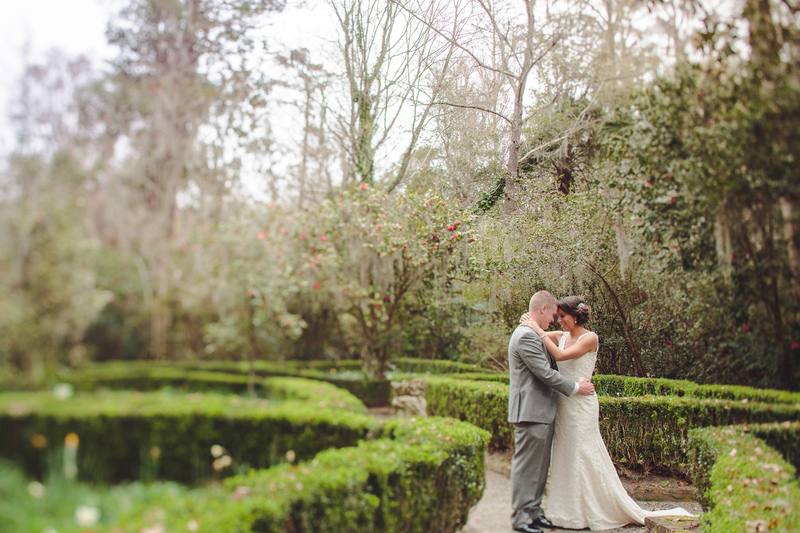 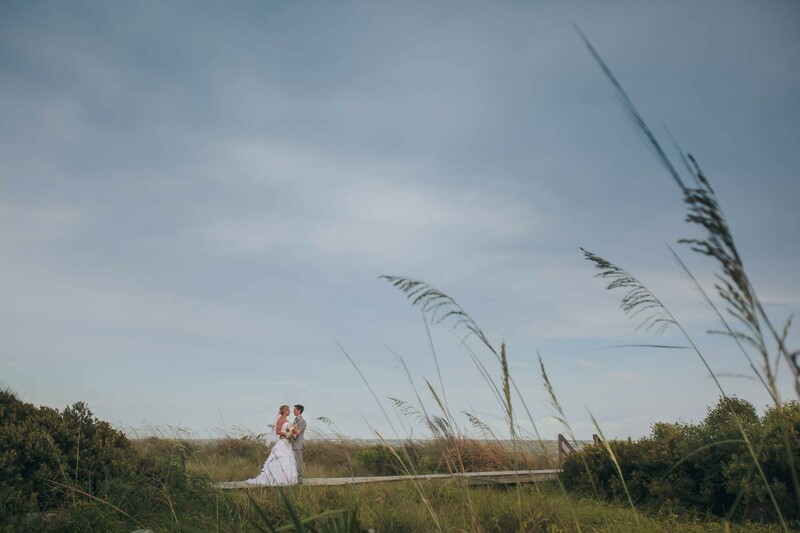 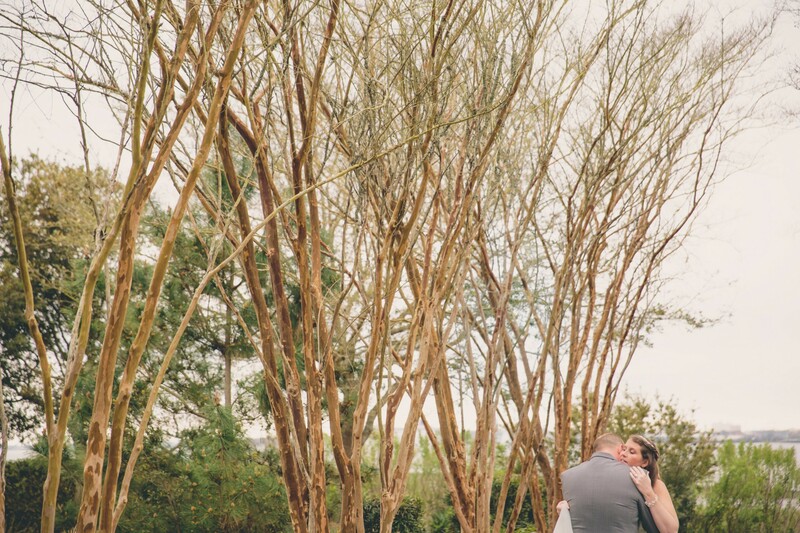 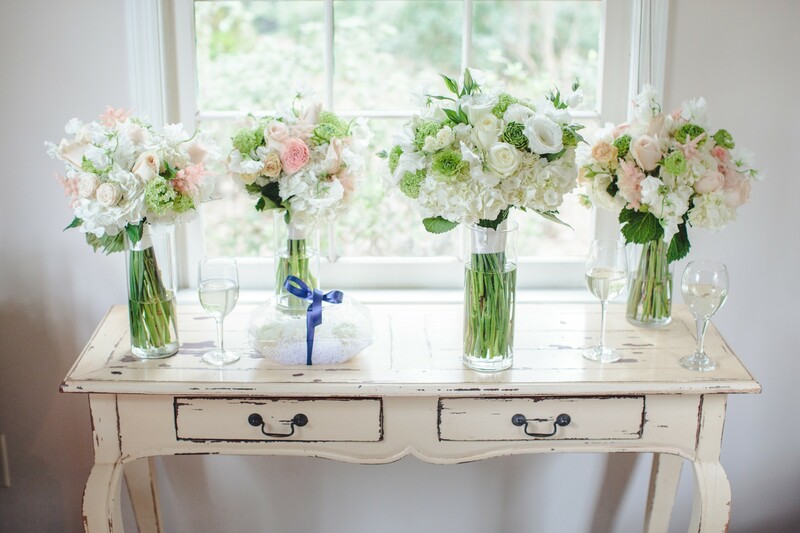 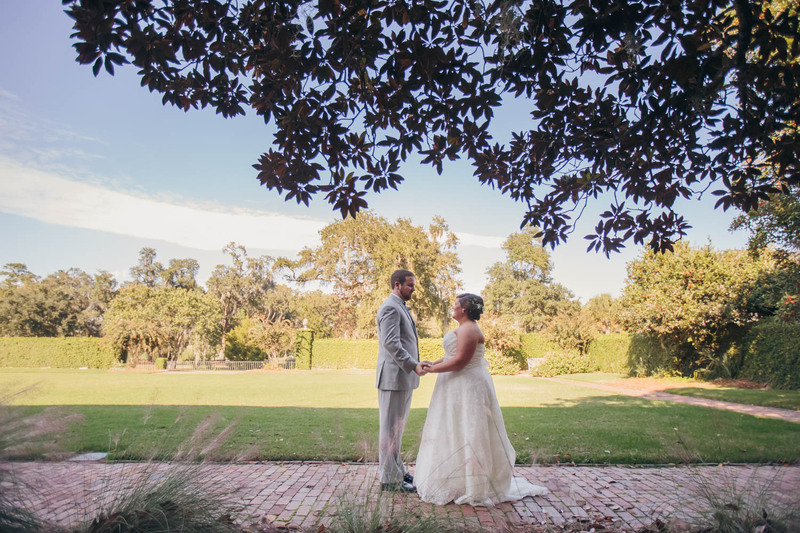 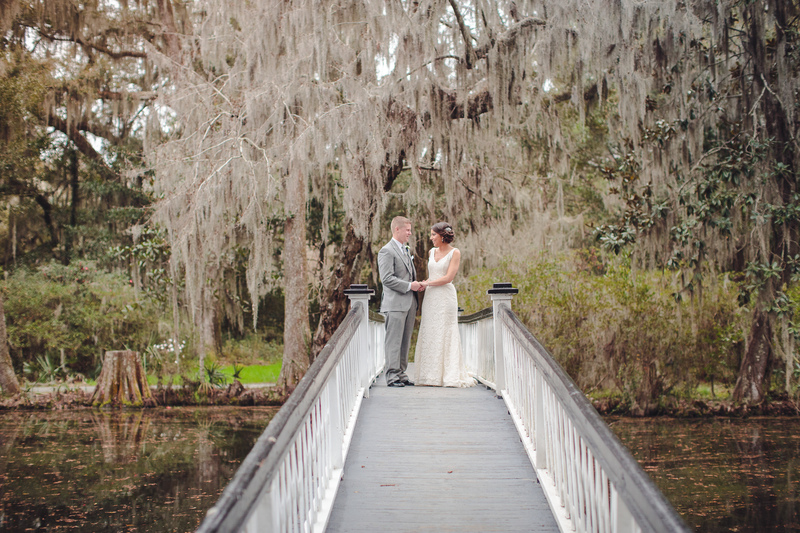 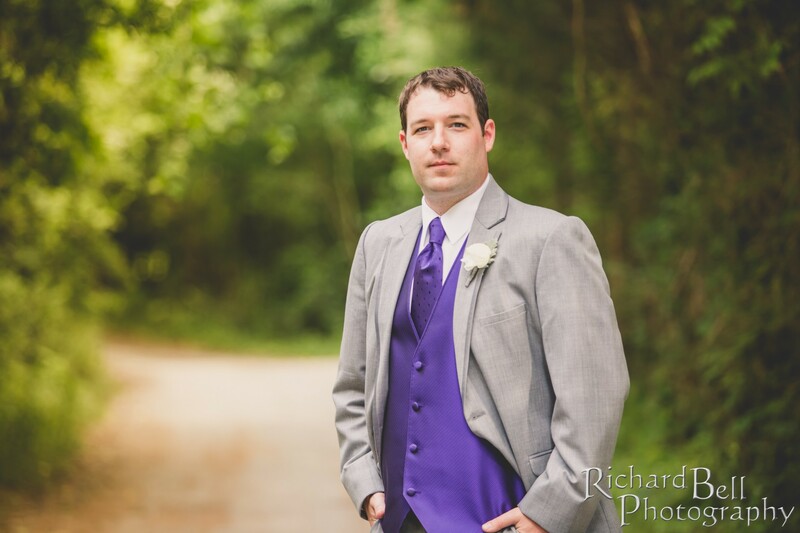 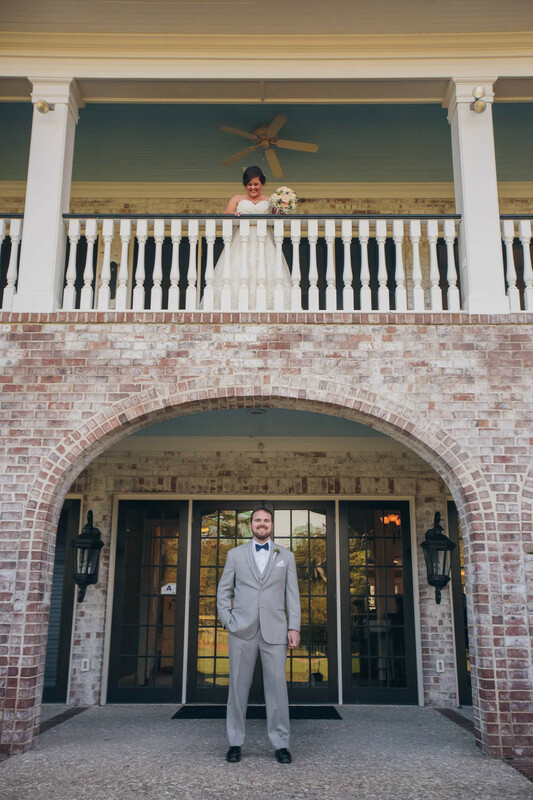 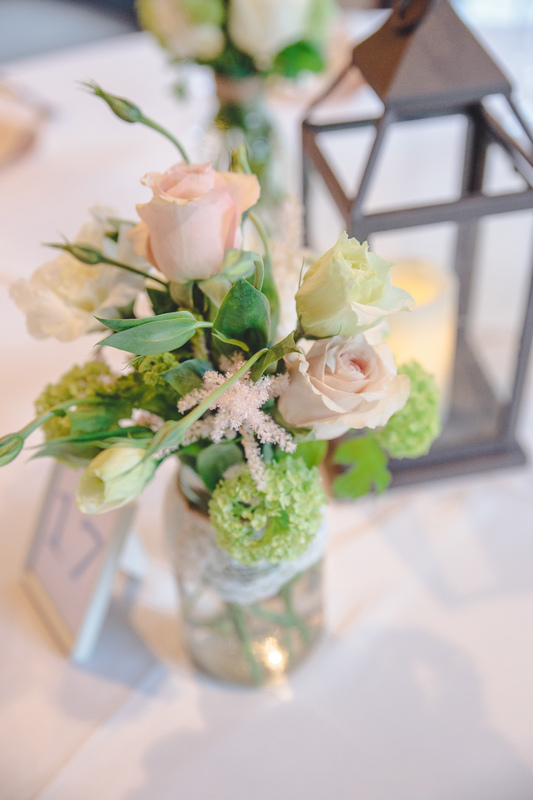 The wedding was at Magnolia Plantation, such a beautiful venue all year around, and Beth from Wildflowers Inc did such a great job coordinating, designing, and providing the flowers for the day. 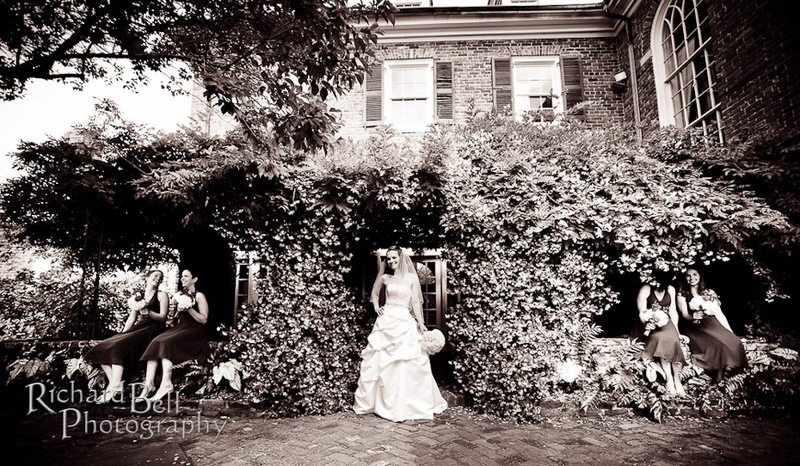 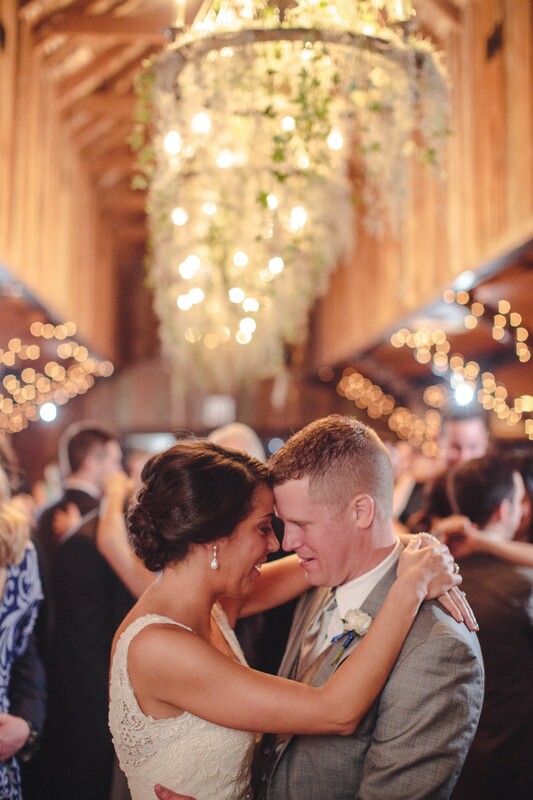 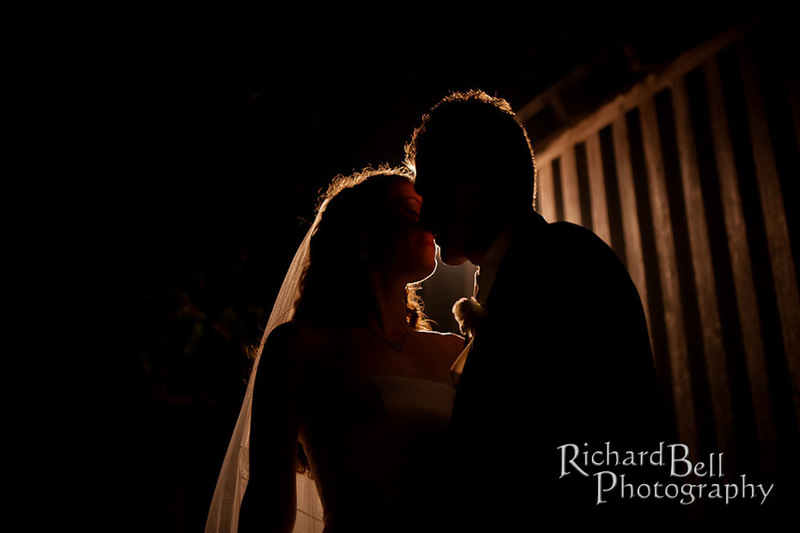 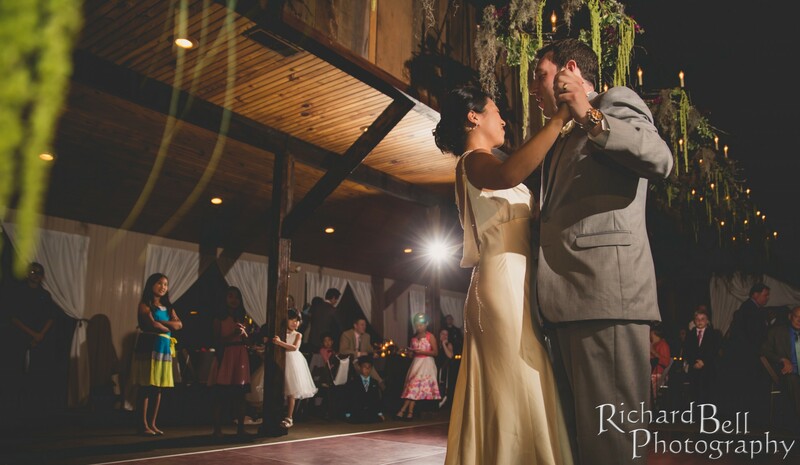 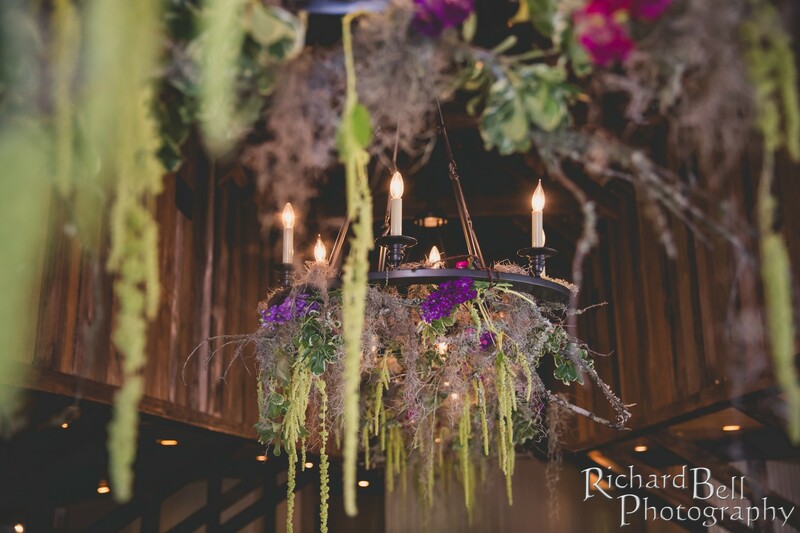 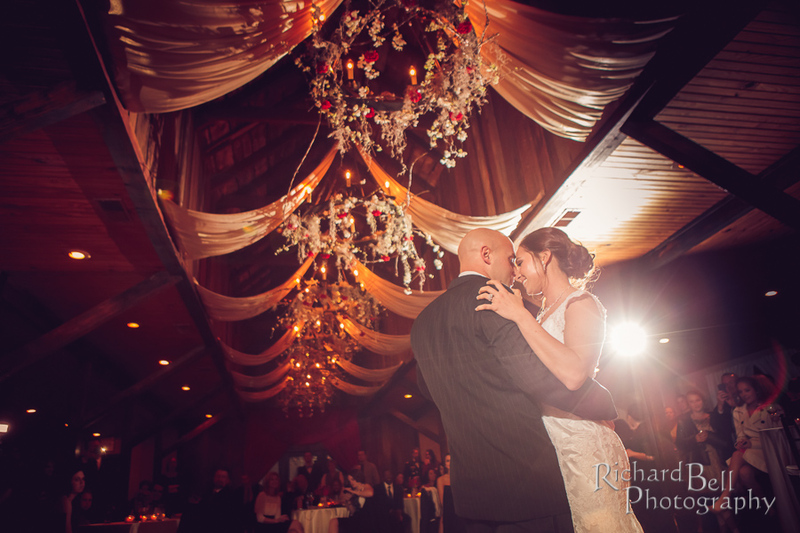 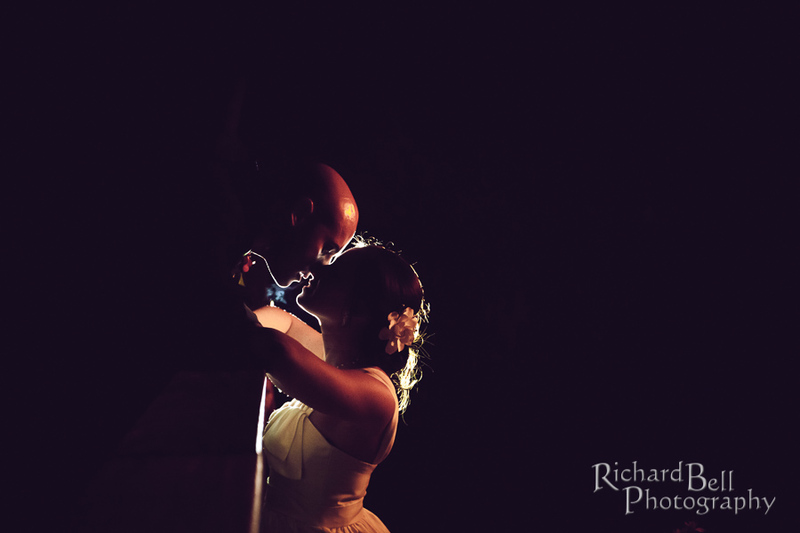 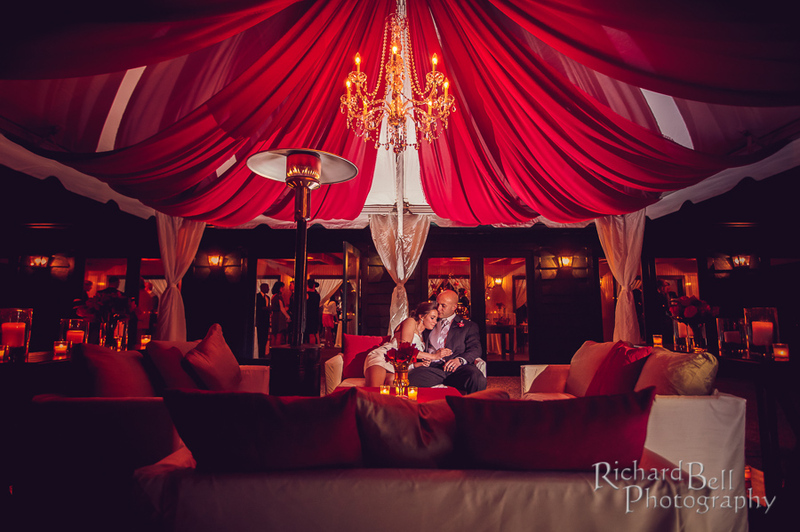 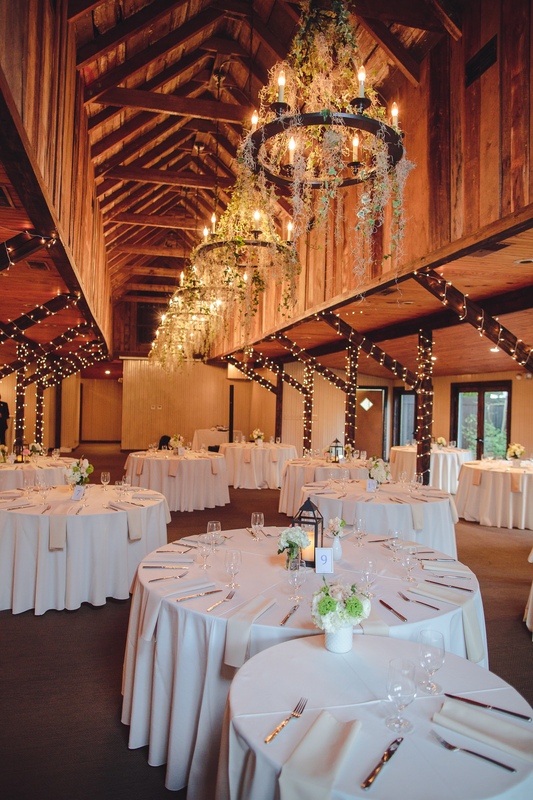 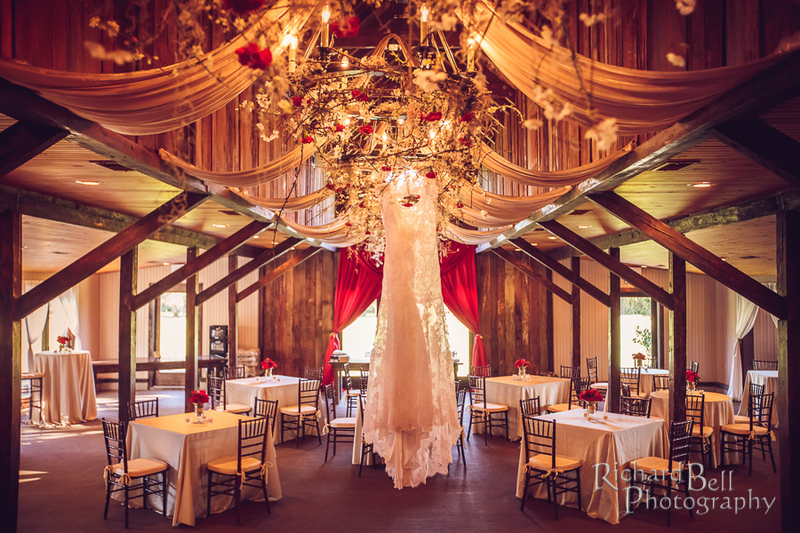 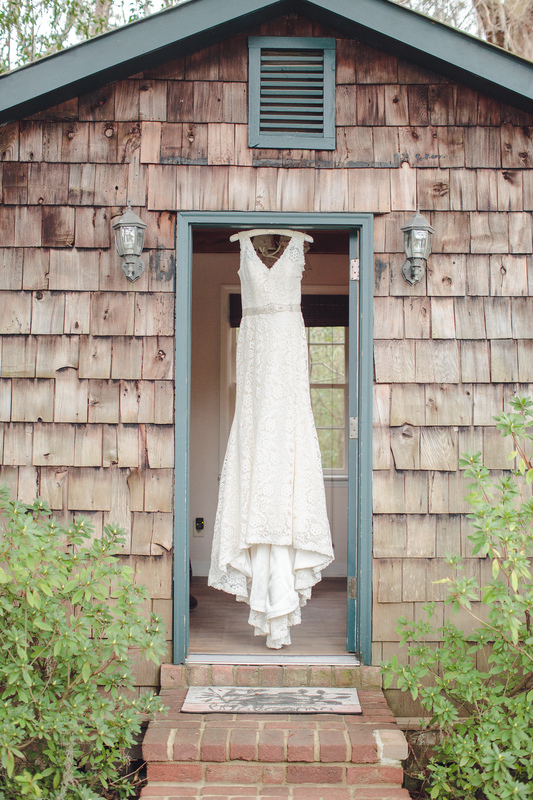 The carriage house looked whimsical with the greens hanging from the ceiling and the beautiful lights that were hung. 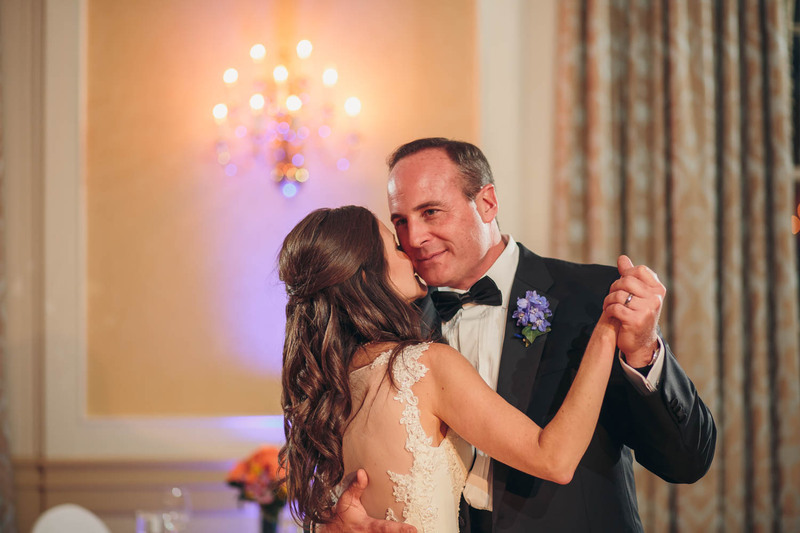 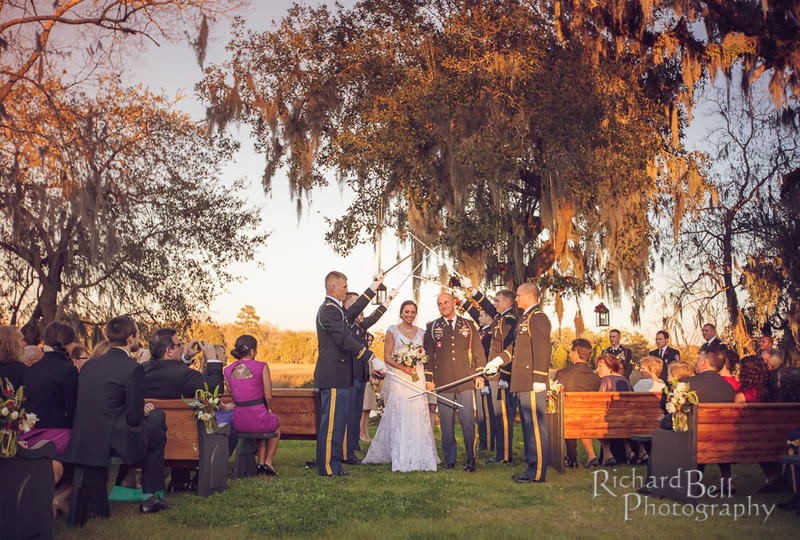 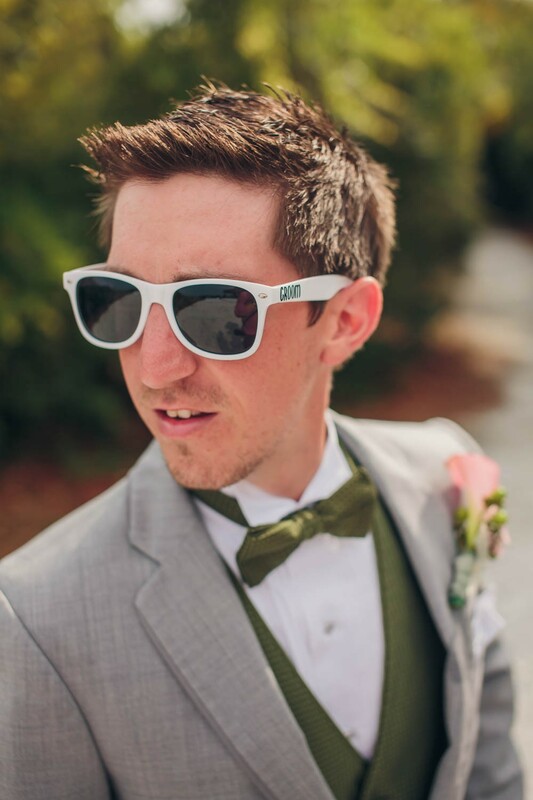 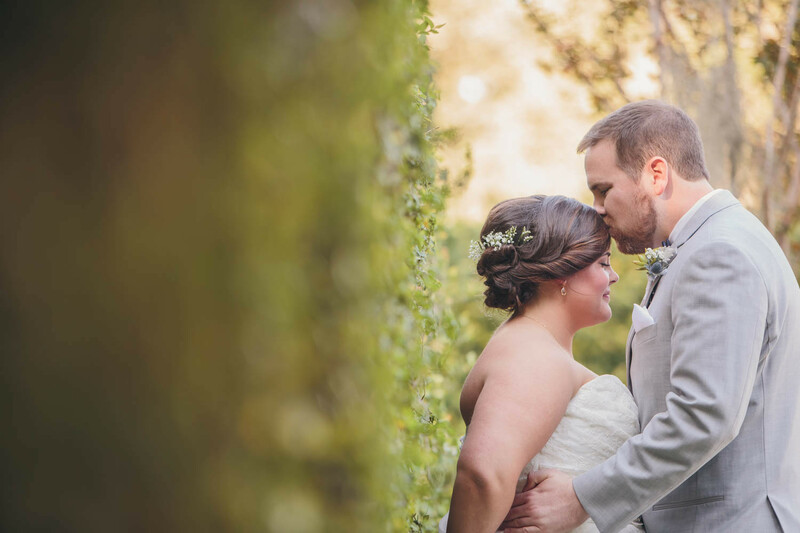 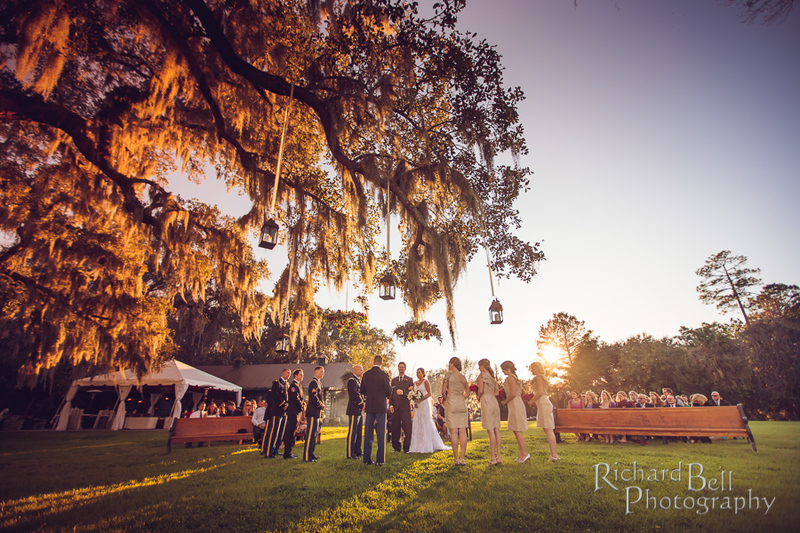 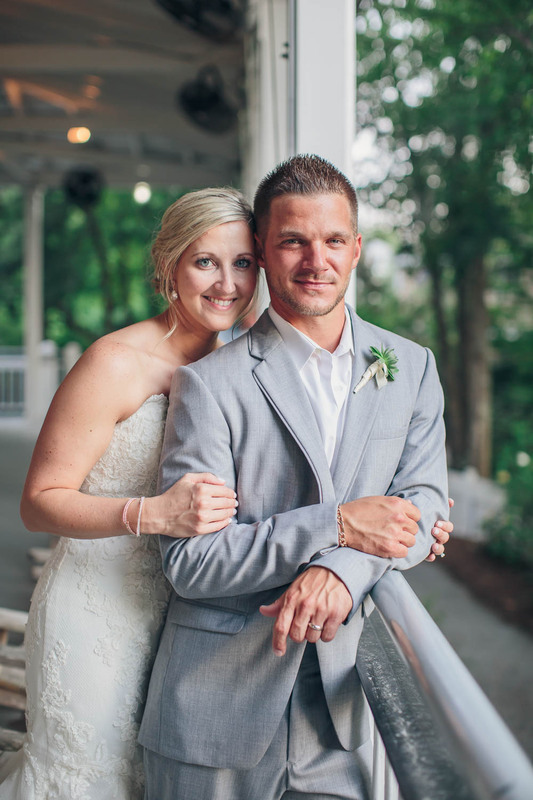 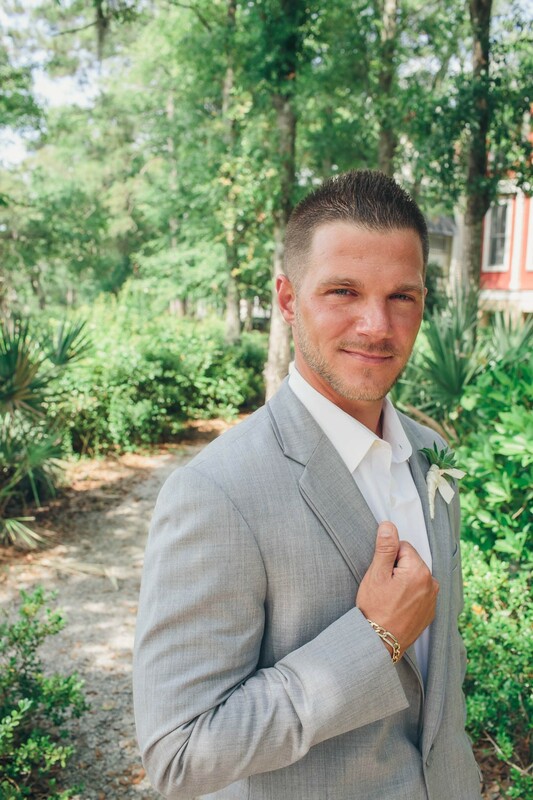 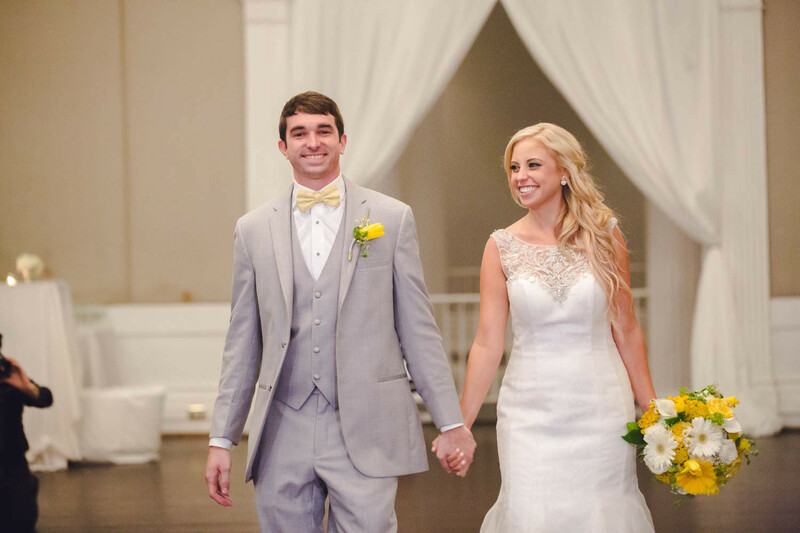 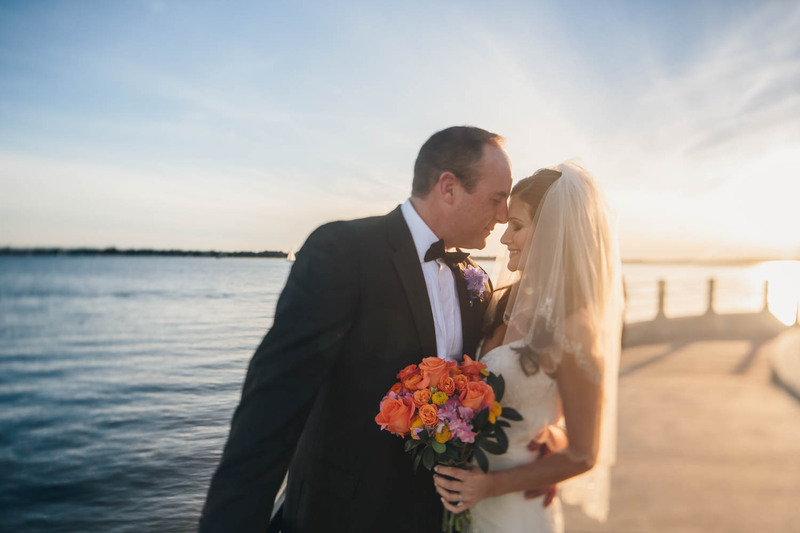 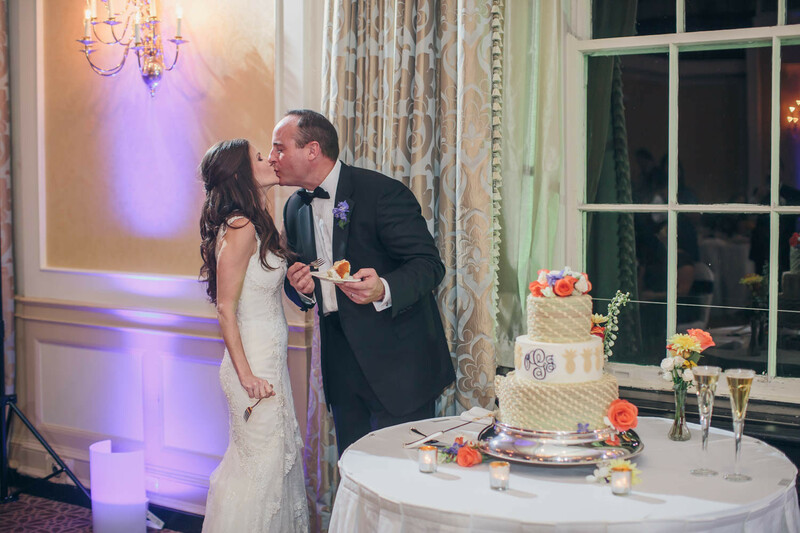 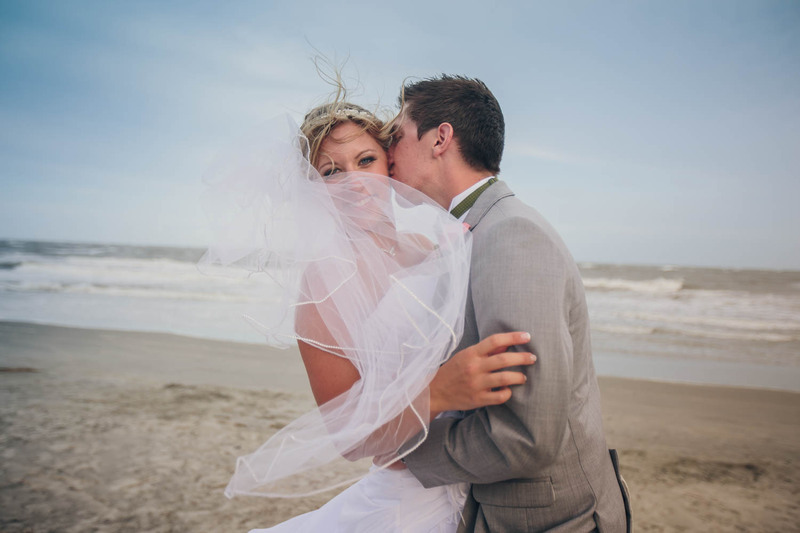 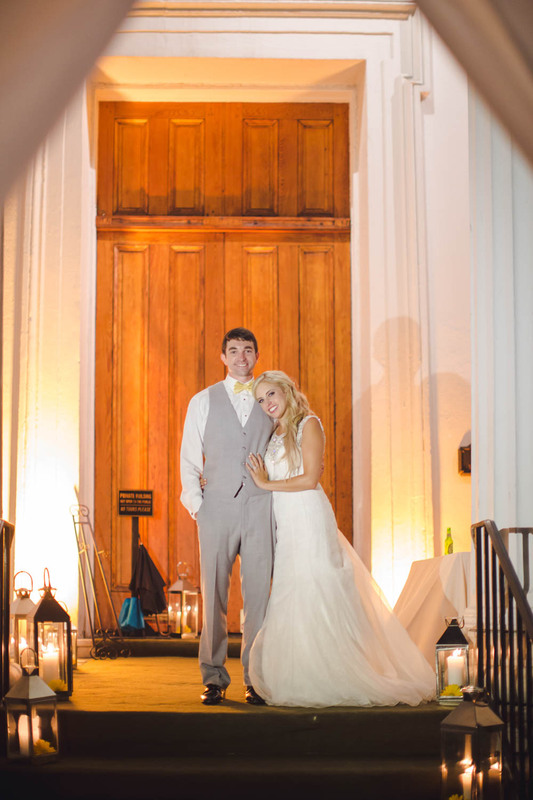 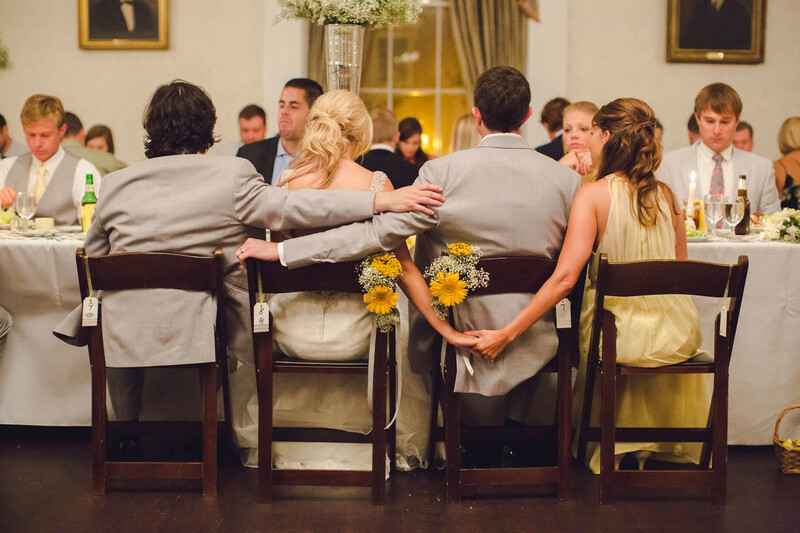 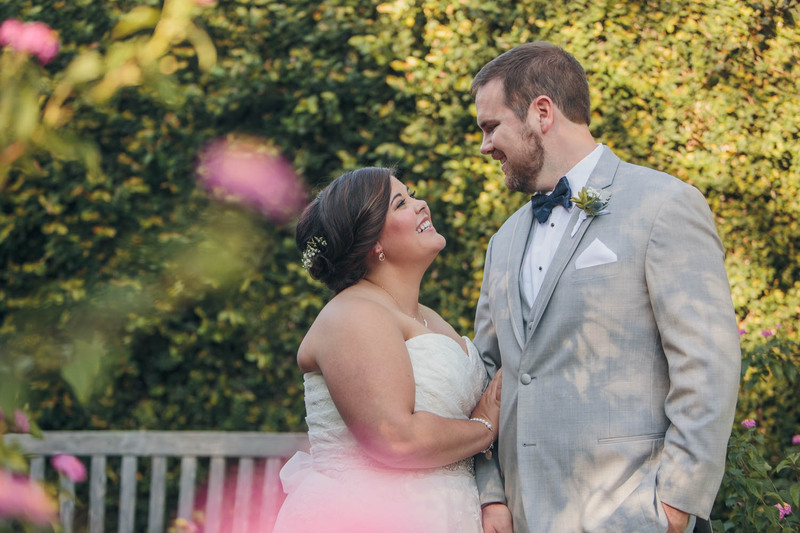 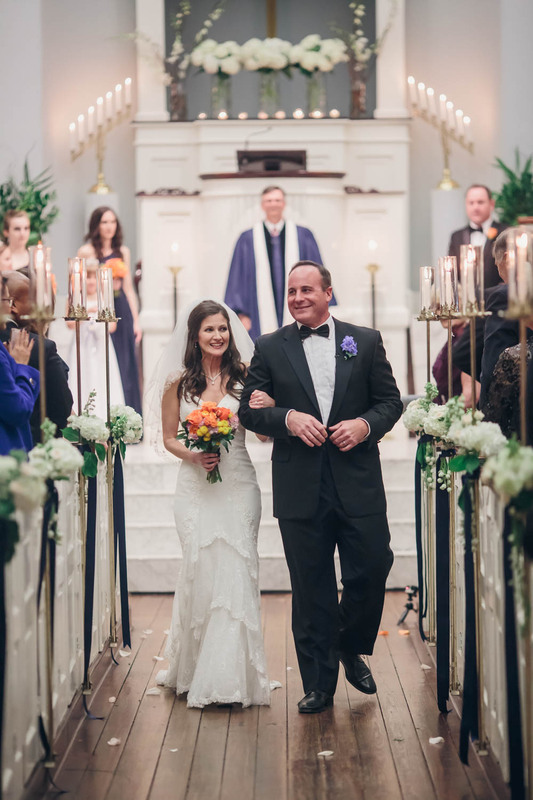 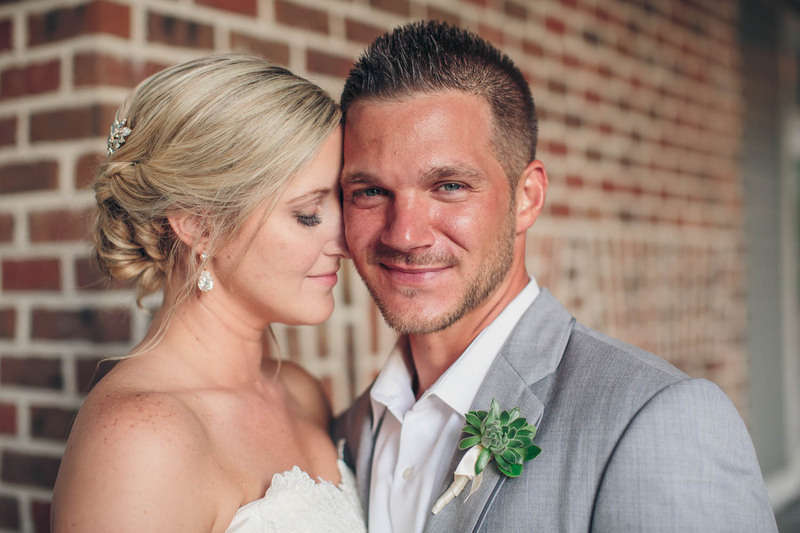 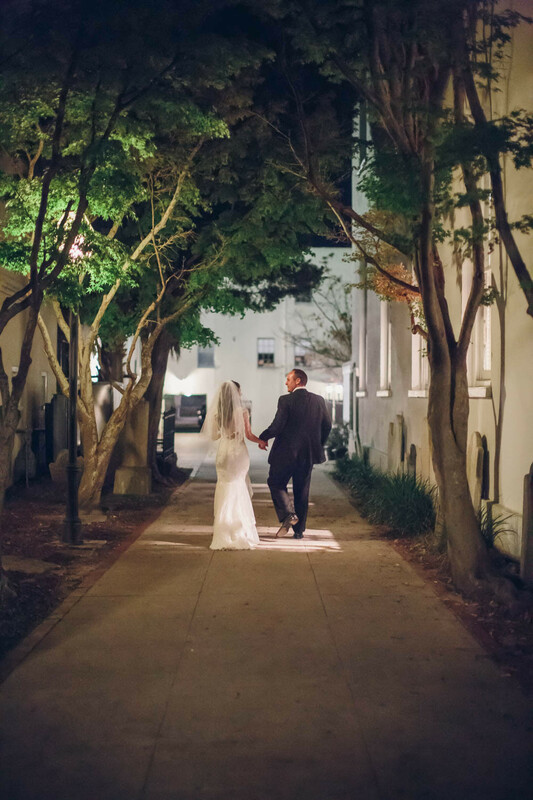 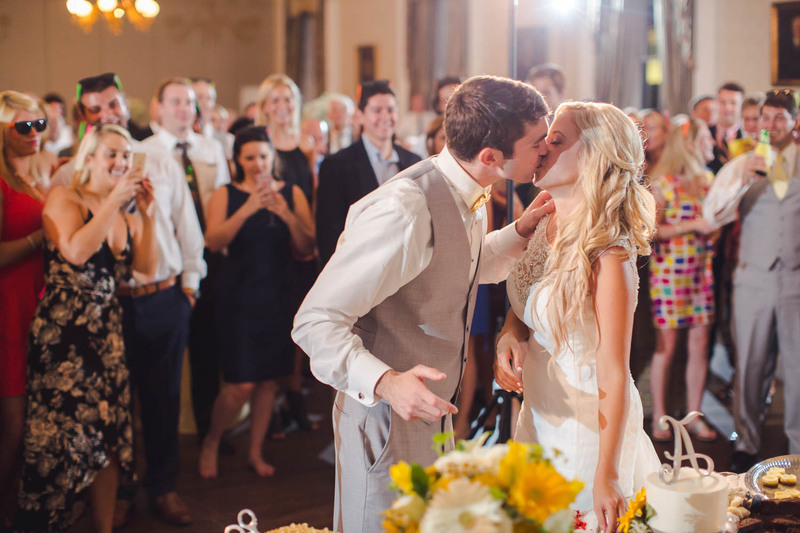 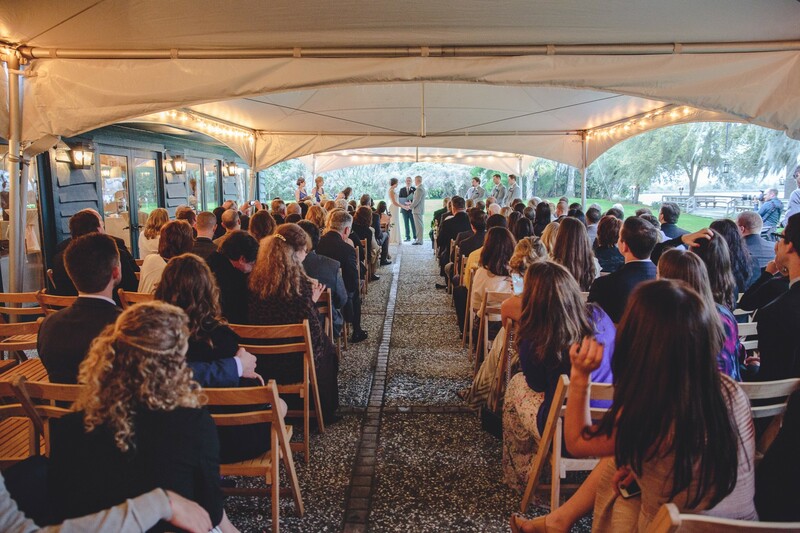 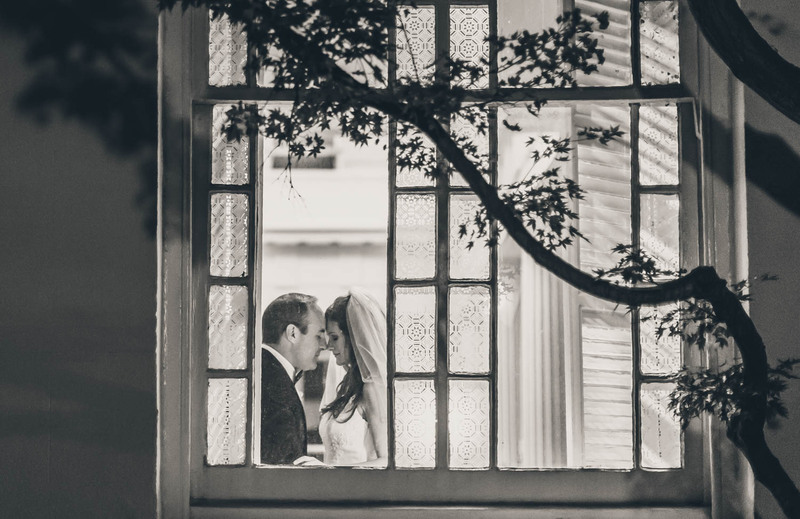 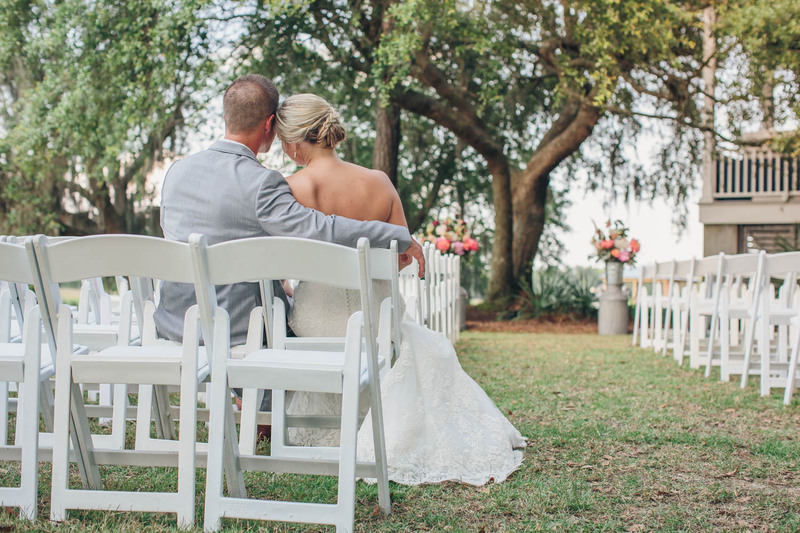 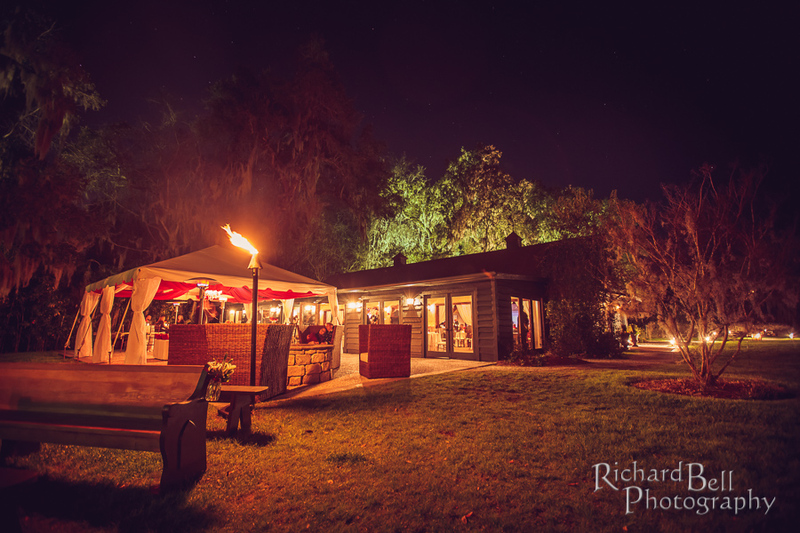 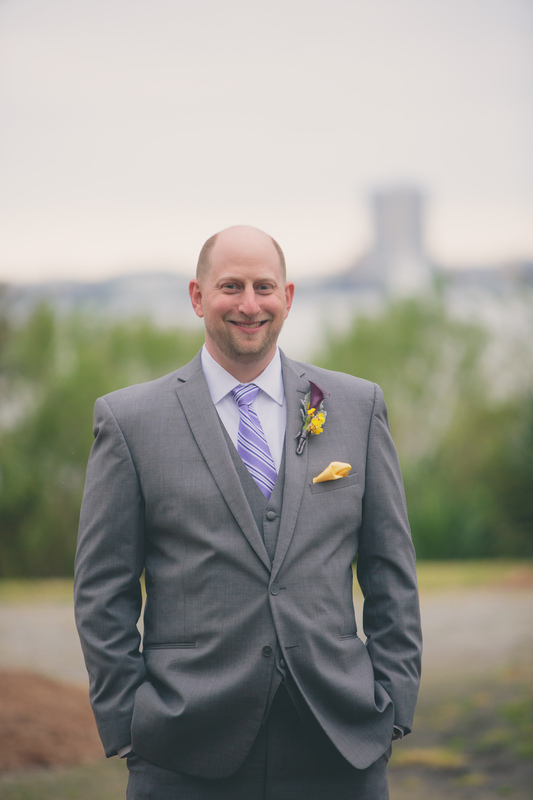 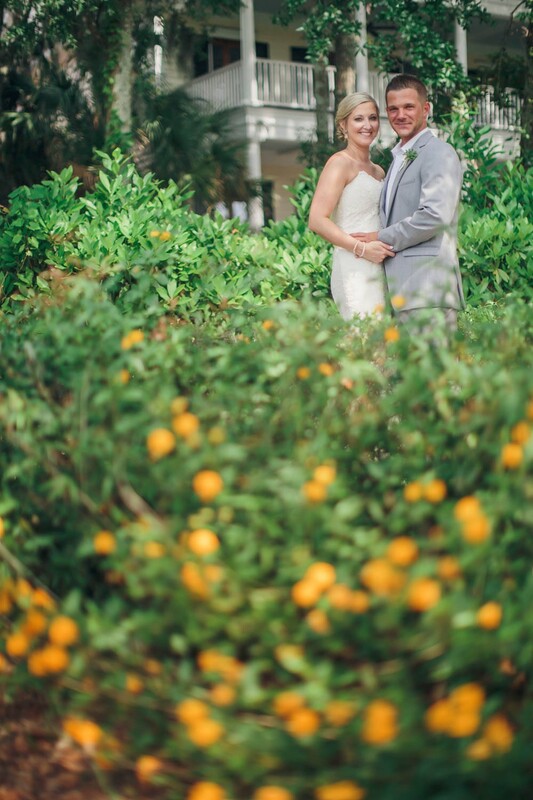 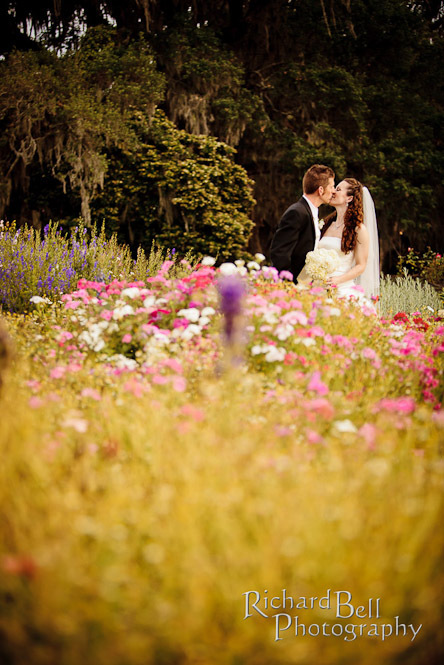 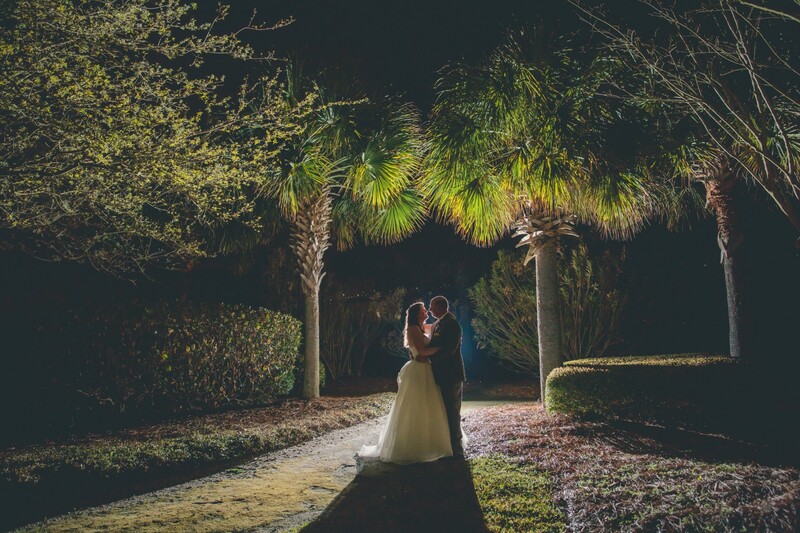 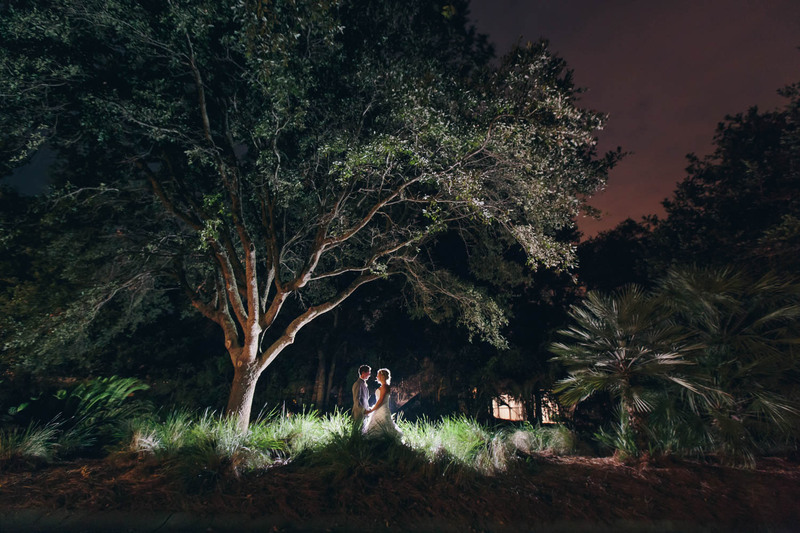 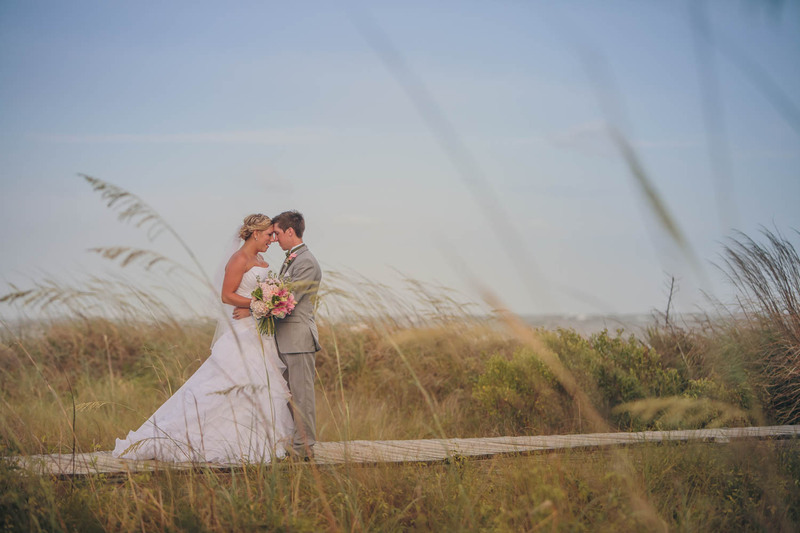 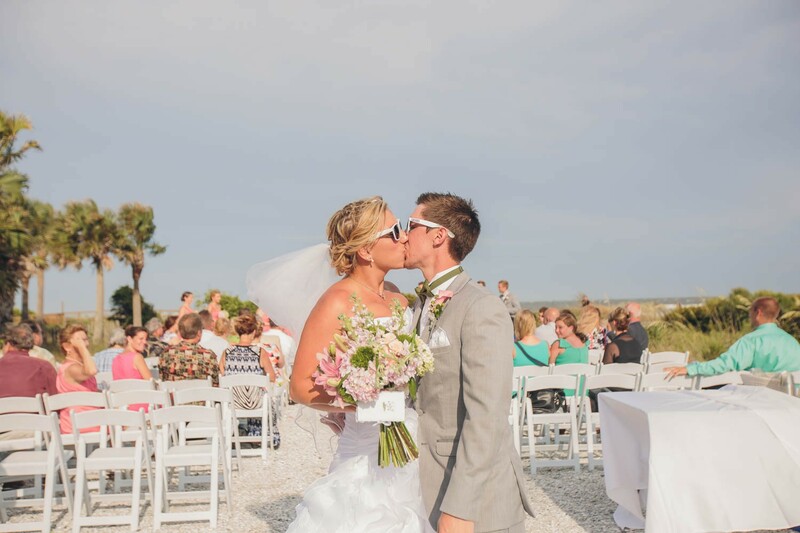 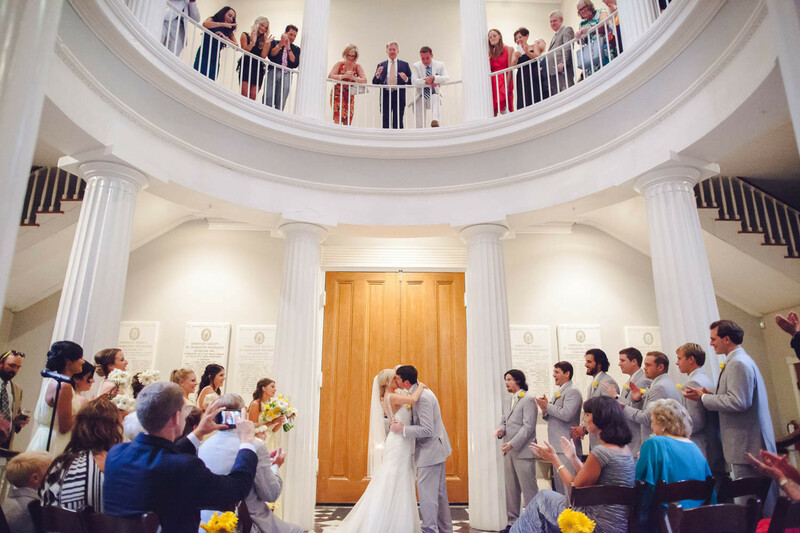 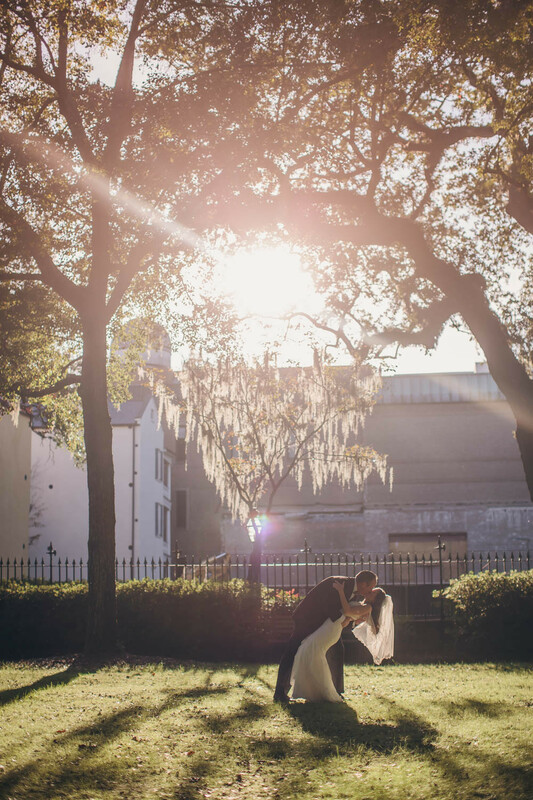 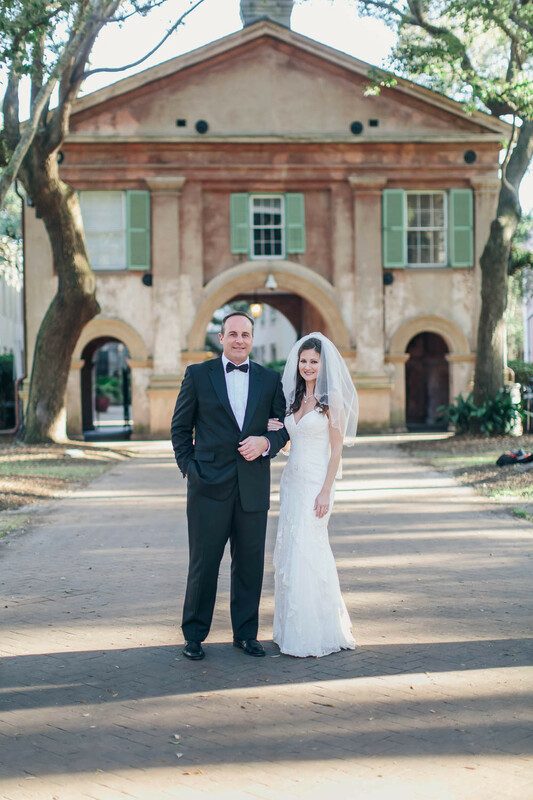 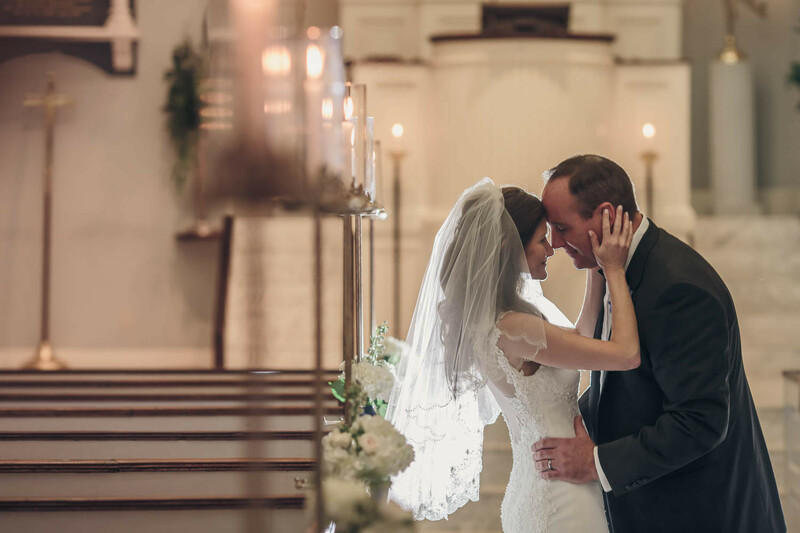 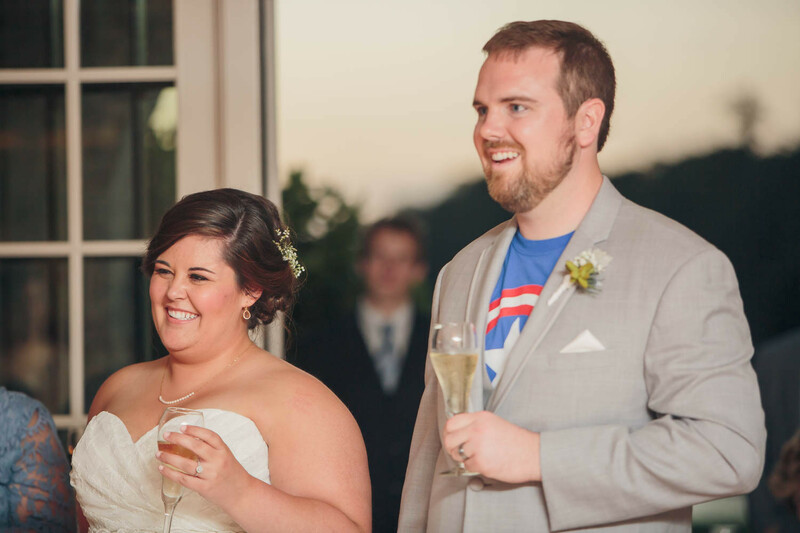 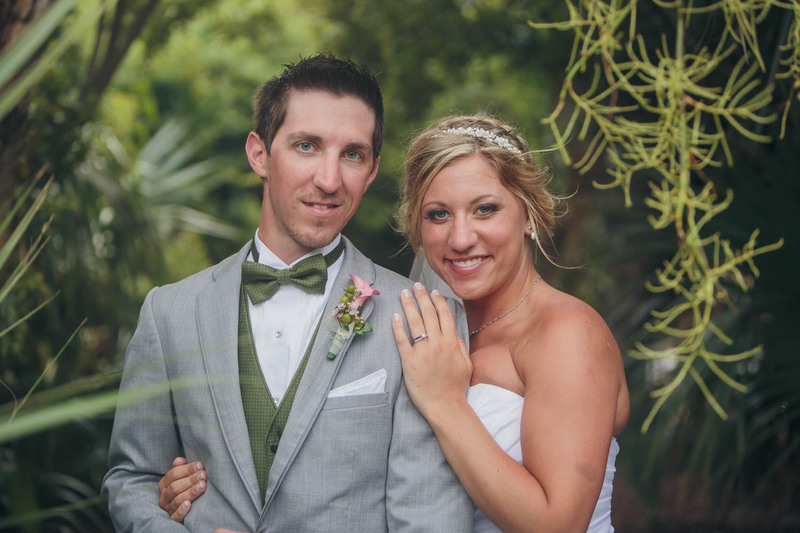 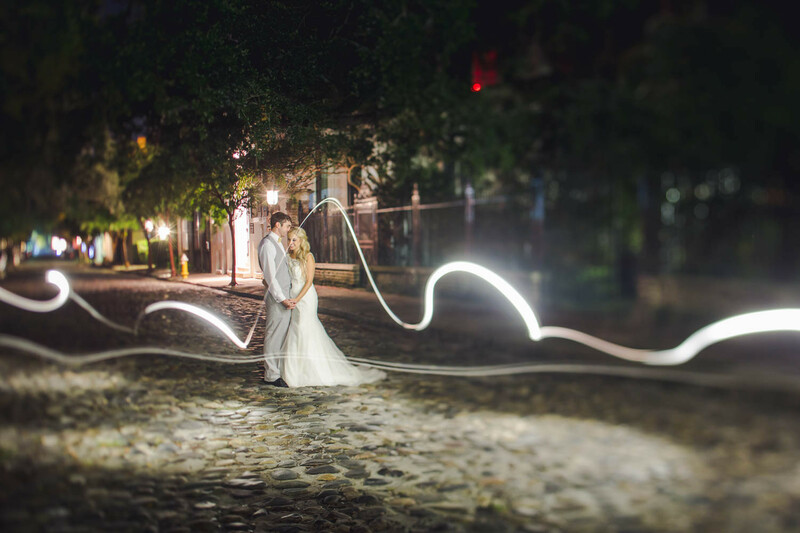 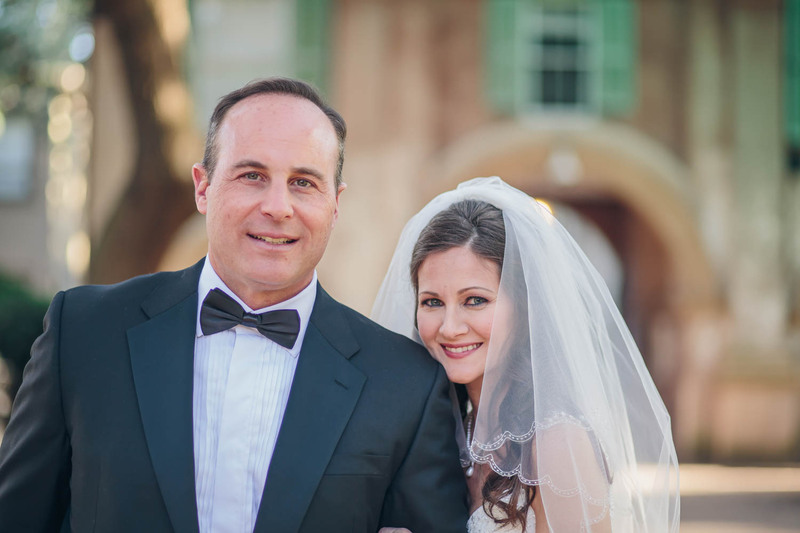 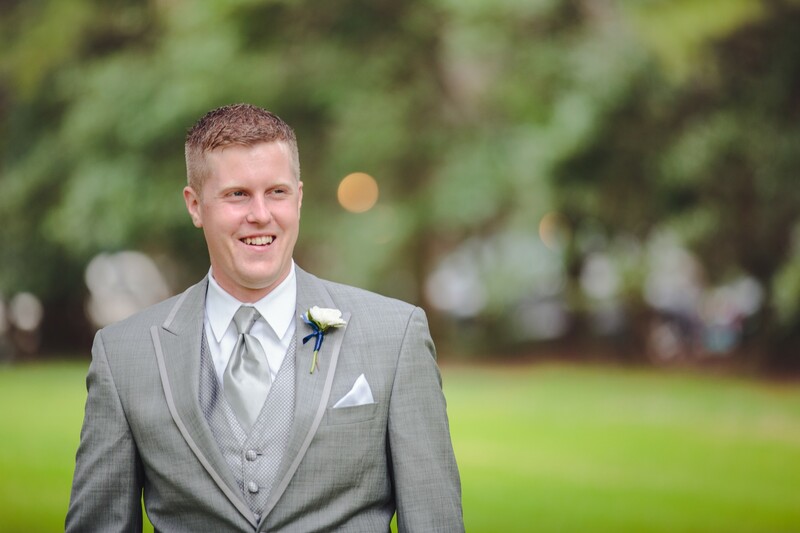 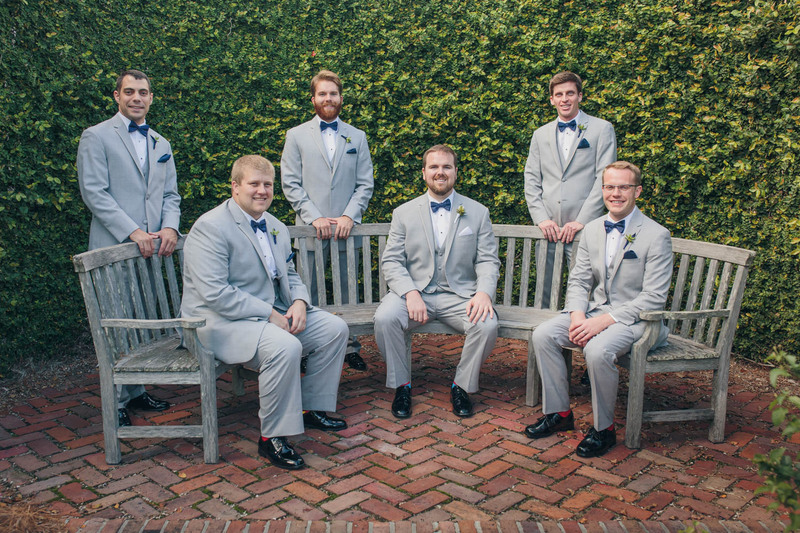 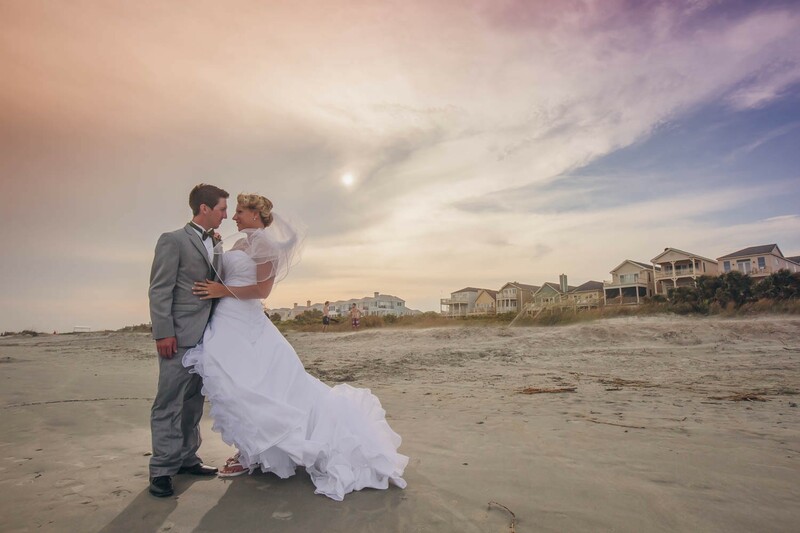 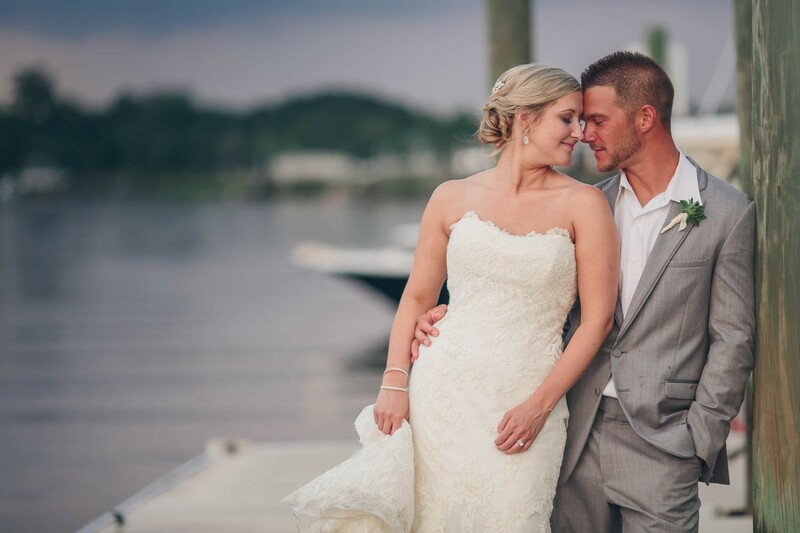 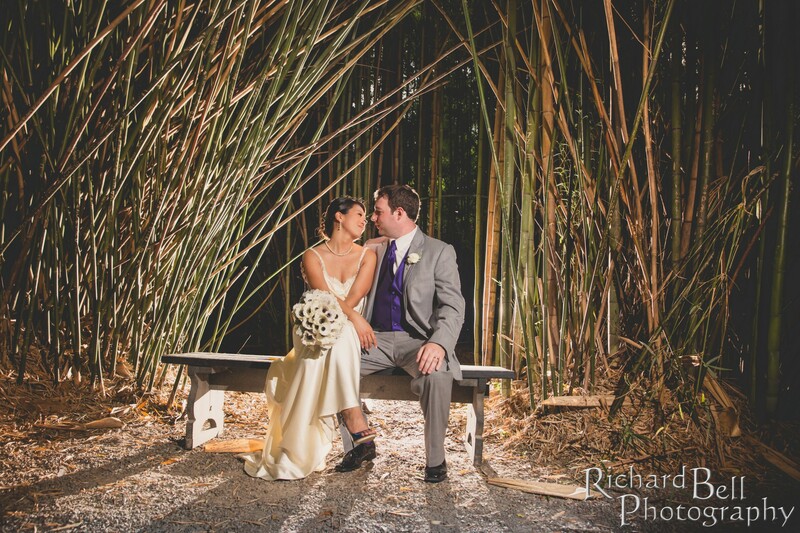 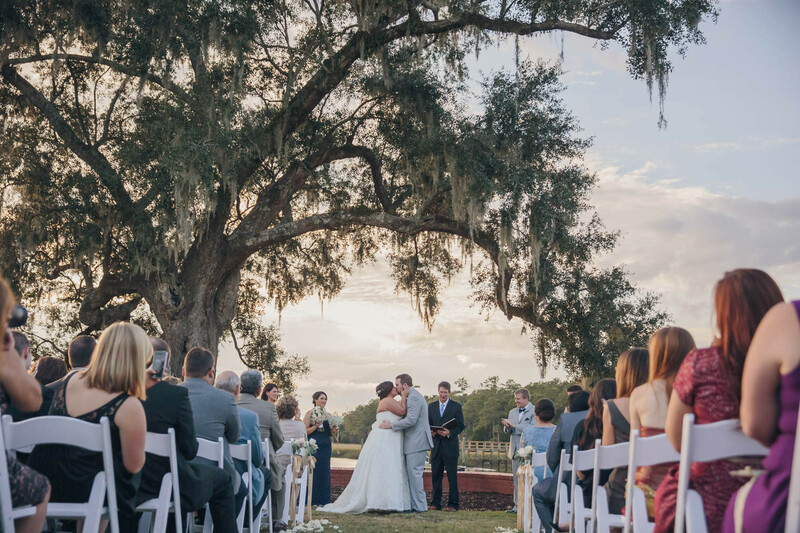 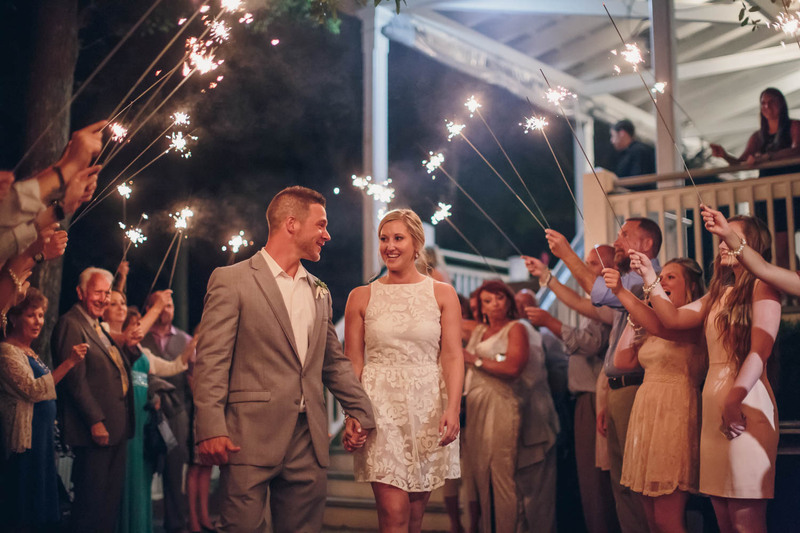 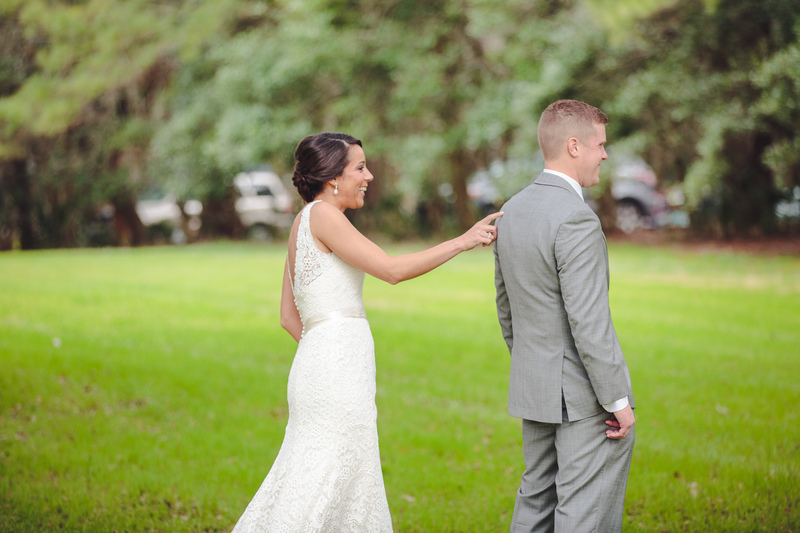 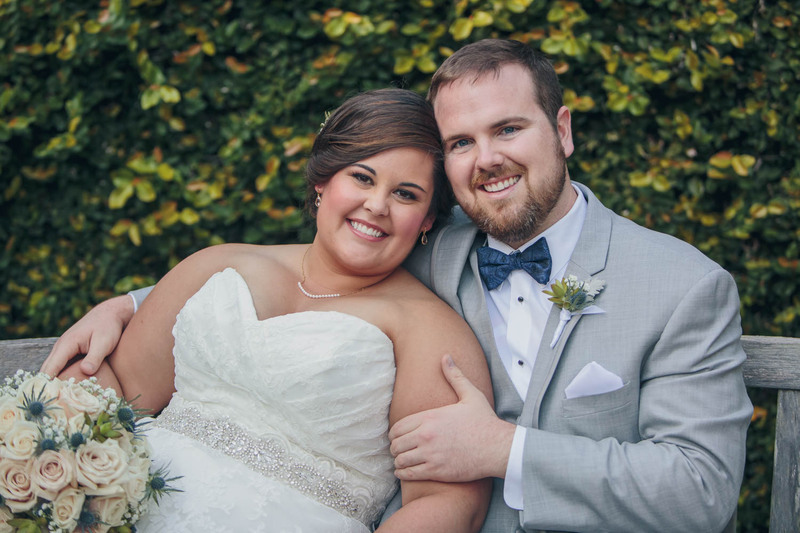 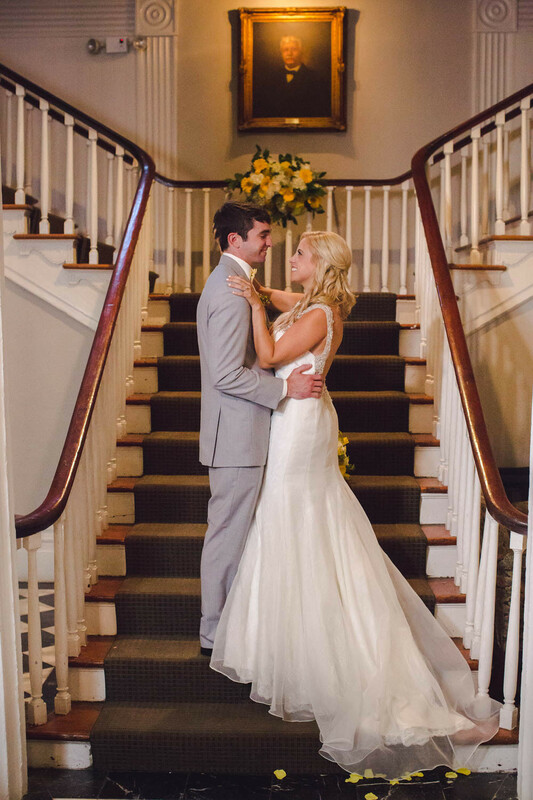 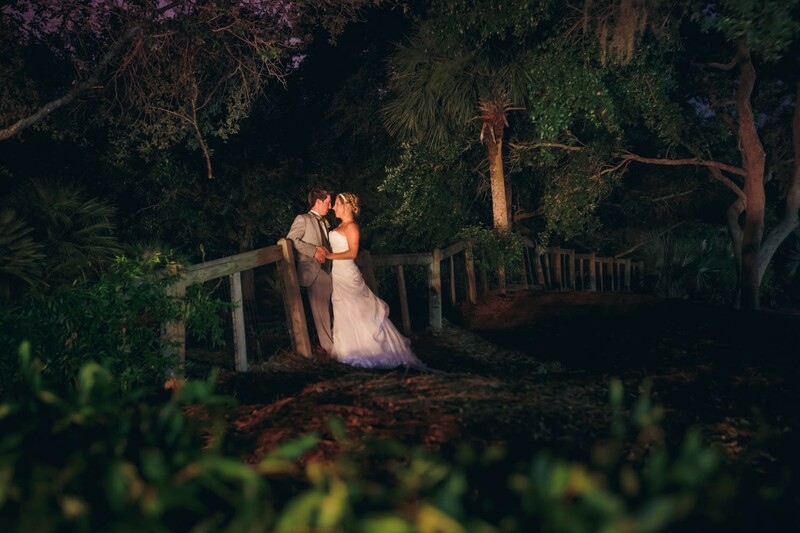 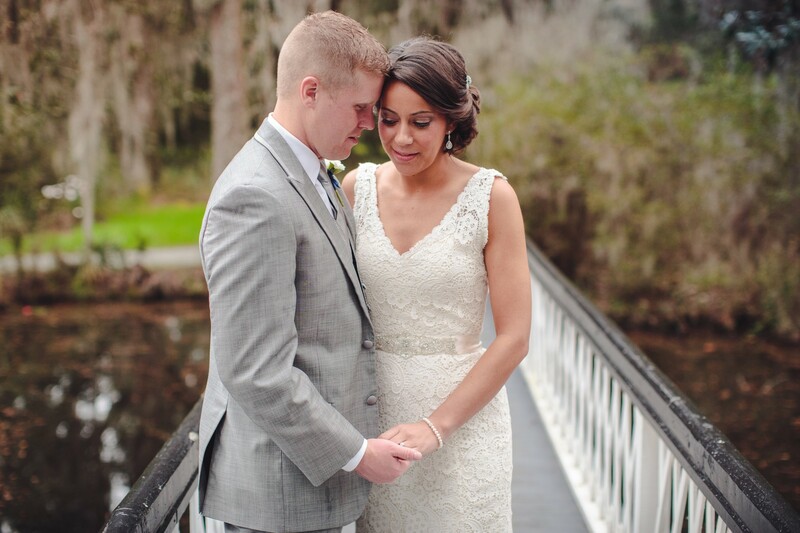 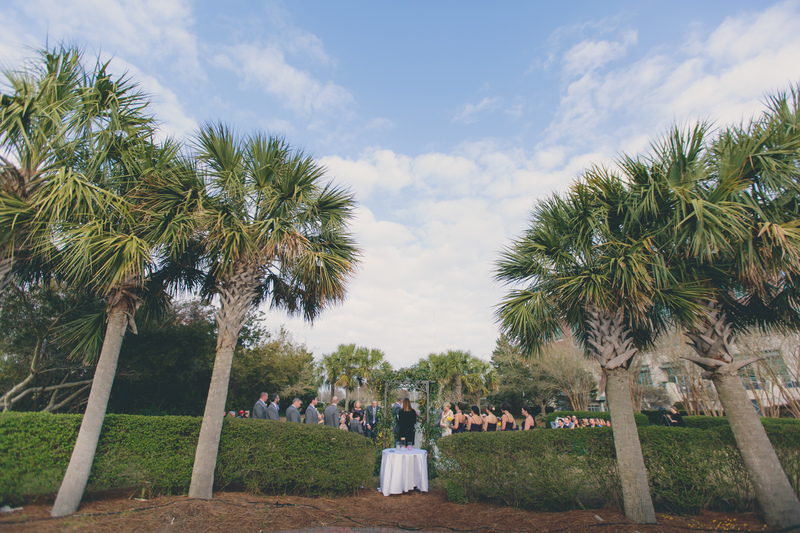 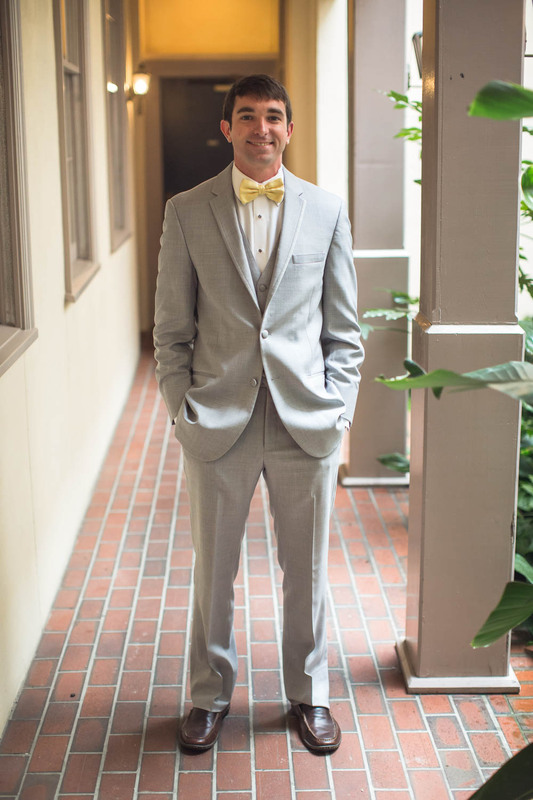 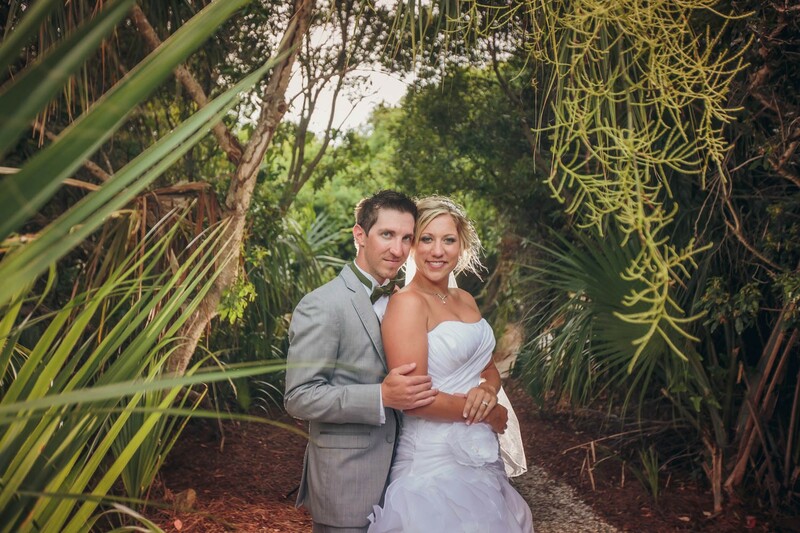 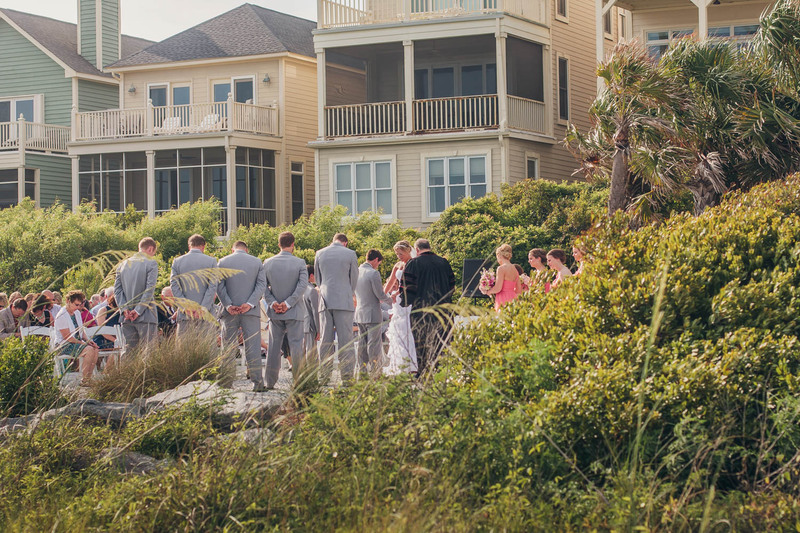 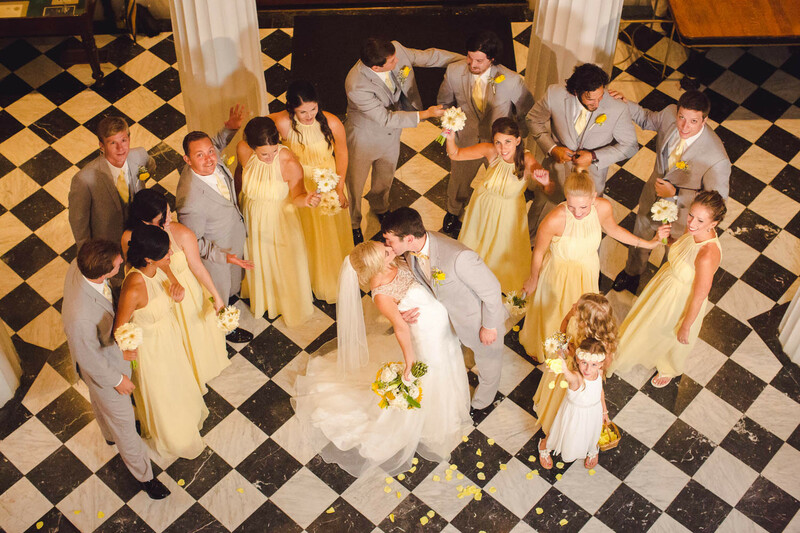 The couple was married by Wedding Minister in Charleston under a tent from Event Haus. 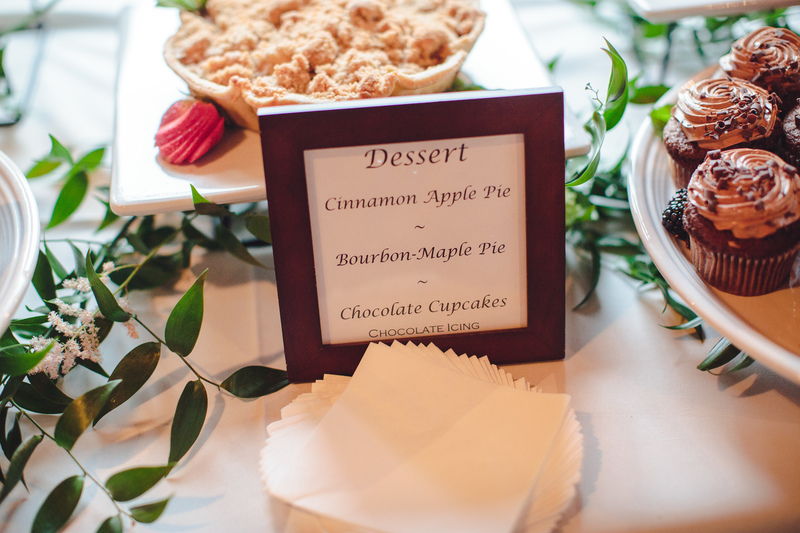 After the ceremony guests ate delicious meals from Cru Catering and had apple pie and pecan pie for dessert. 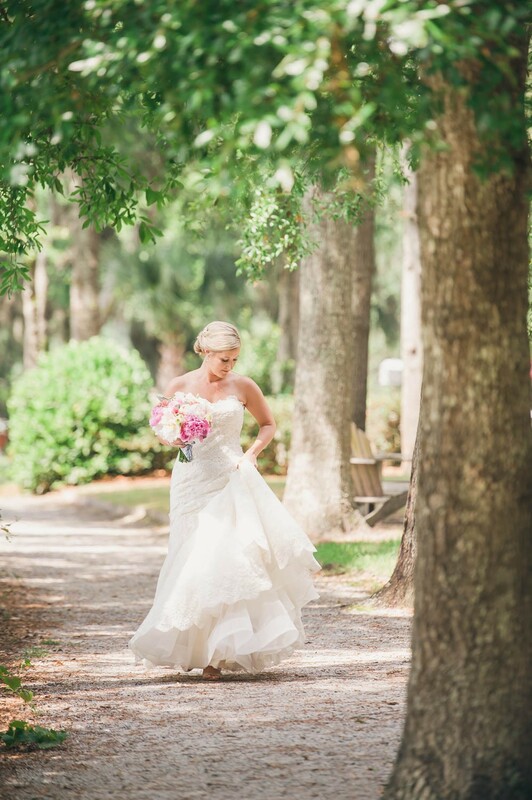 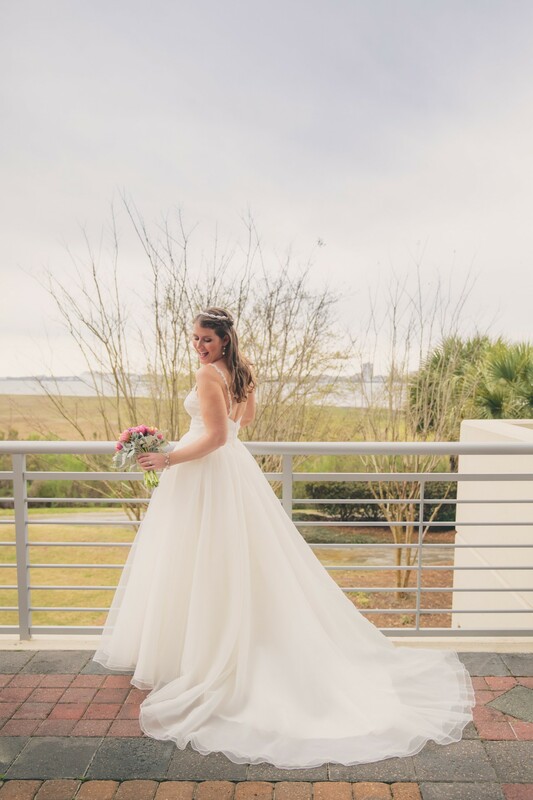 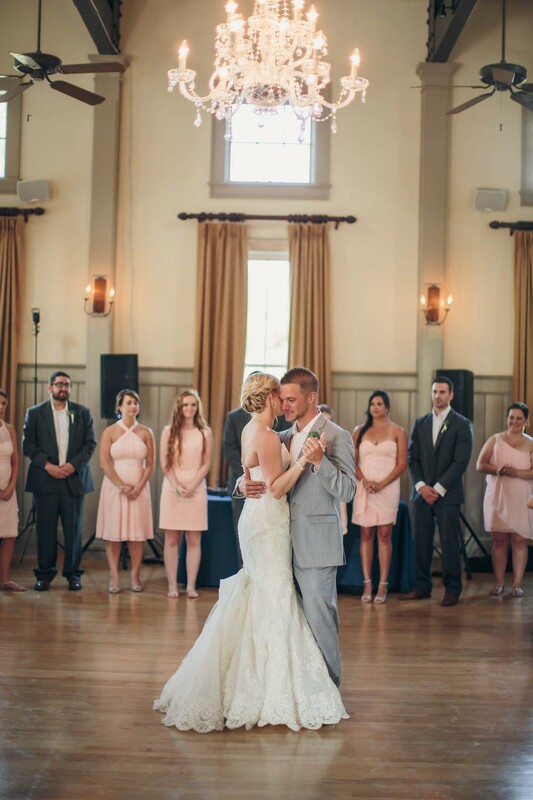 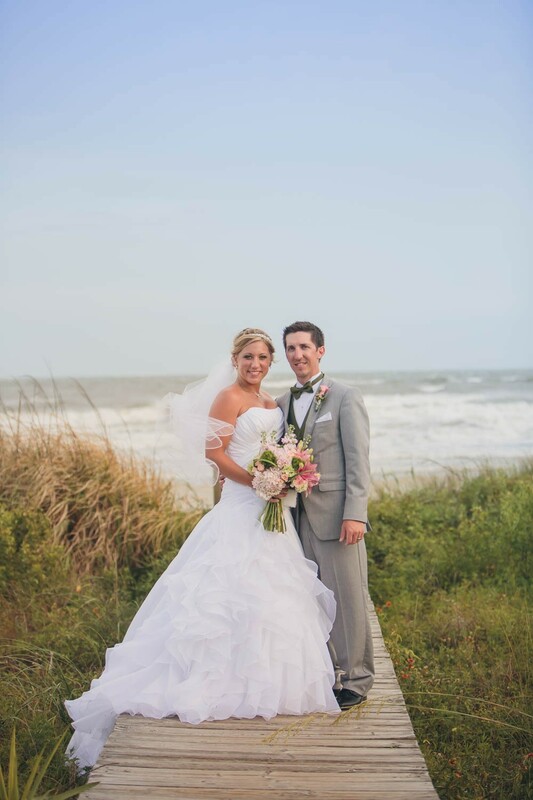 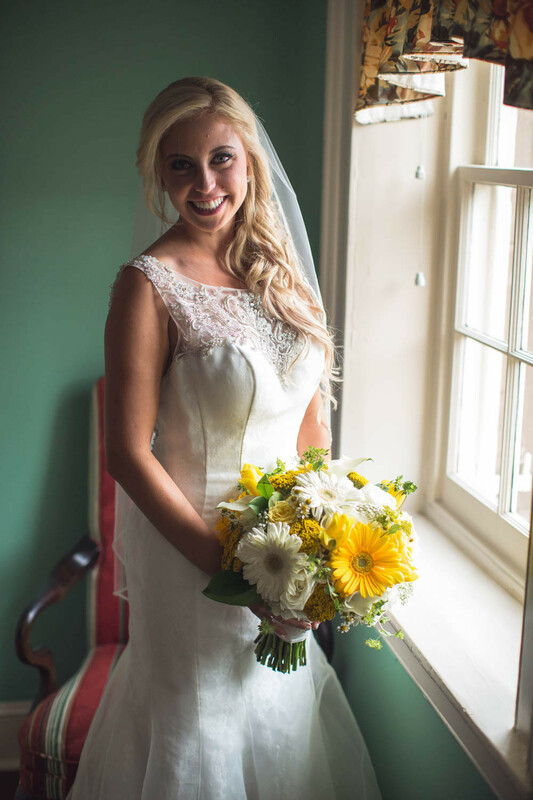 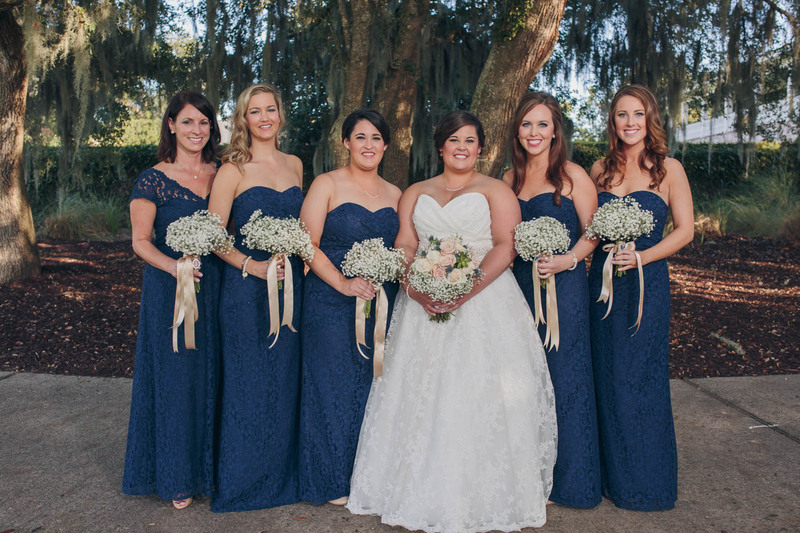 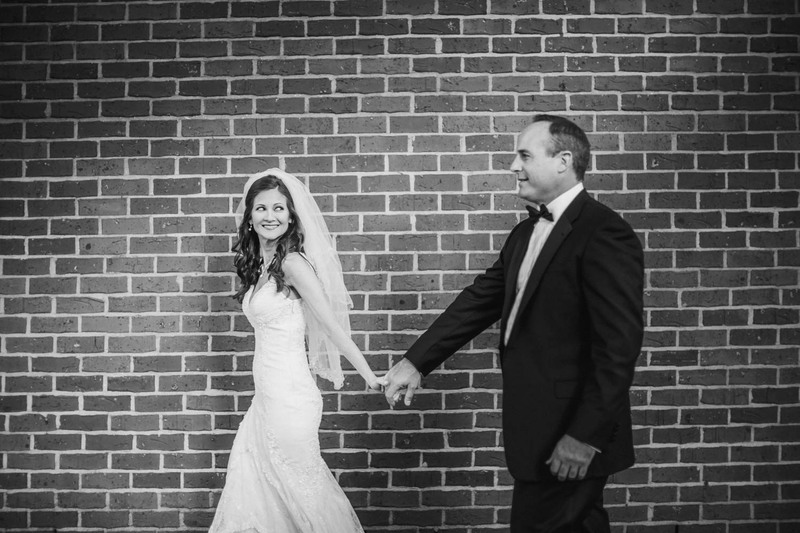 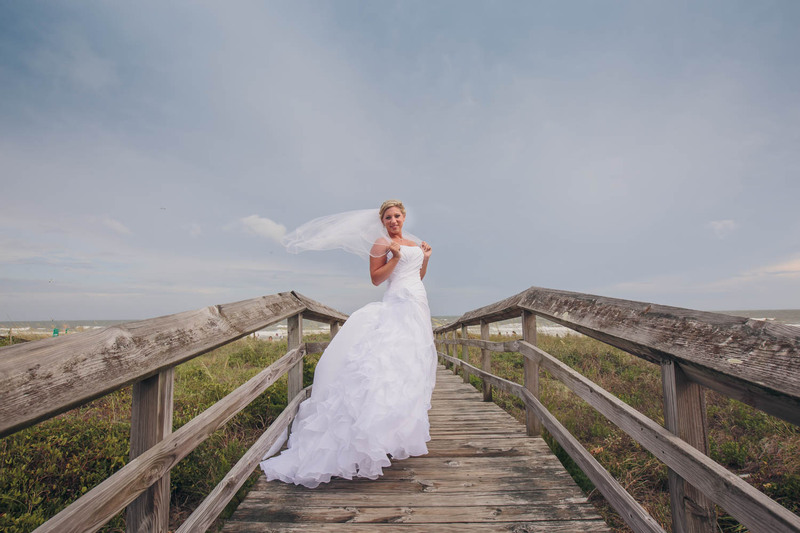 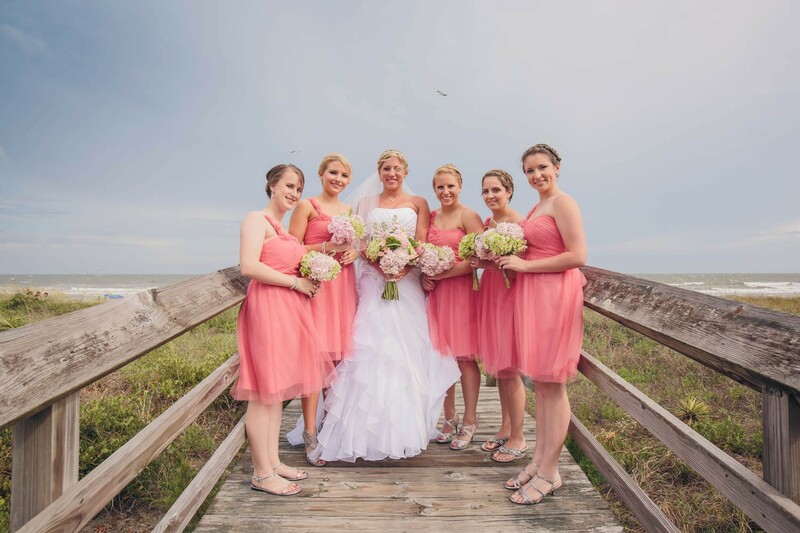 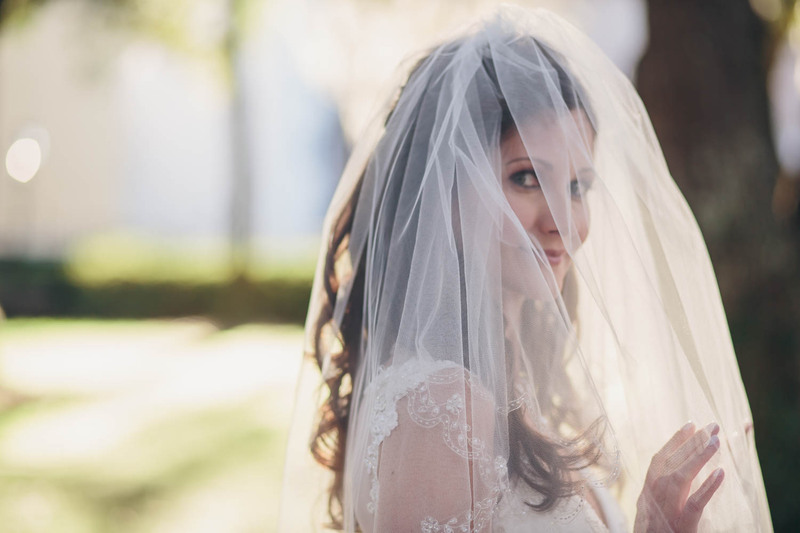 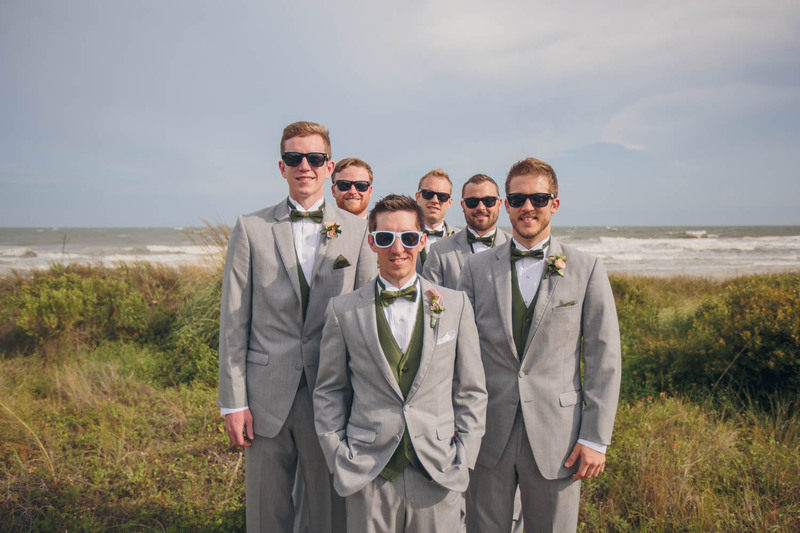 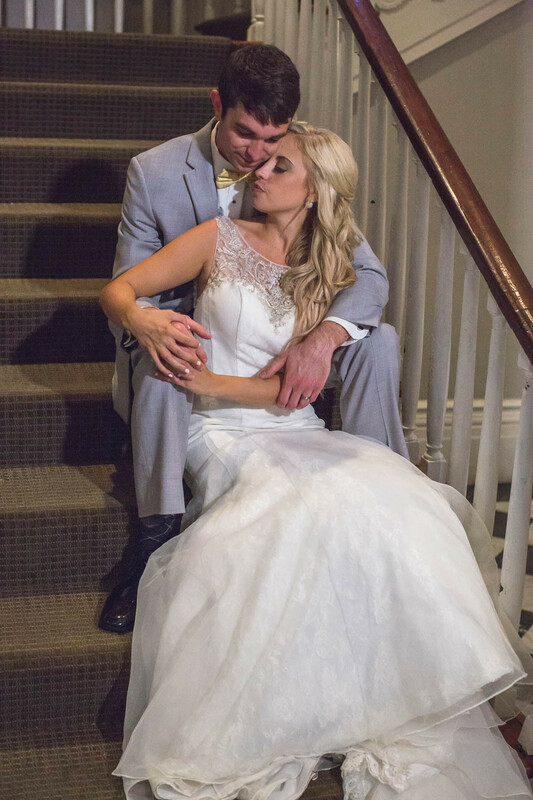 The teams at Vanity Salon and Gown Boutique of Charleston had Kristina looking gorgeous as she walked down the isle to her groom. 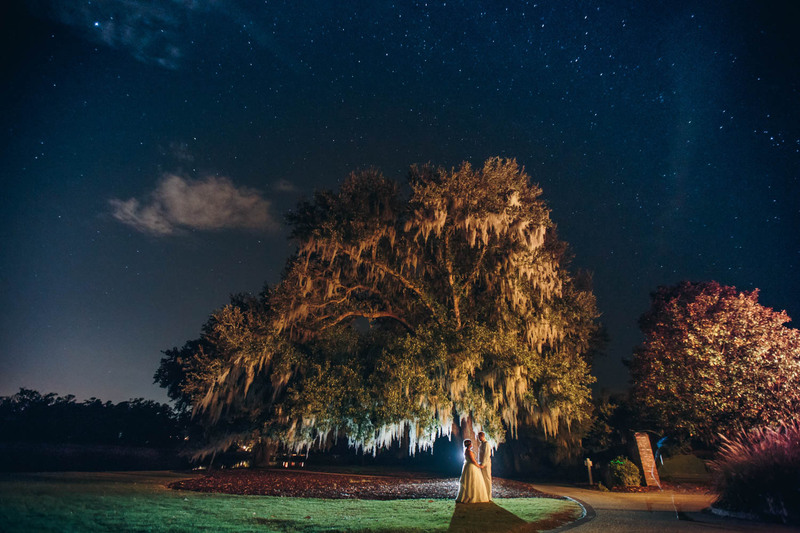 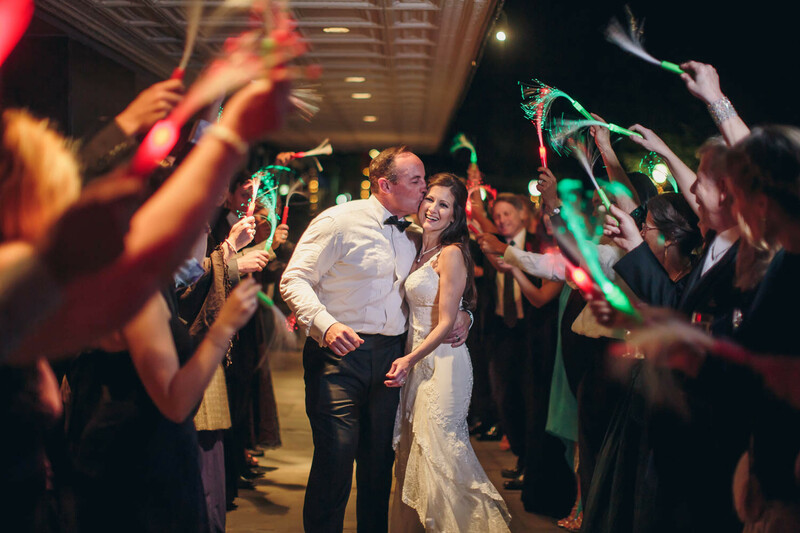 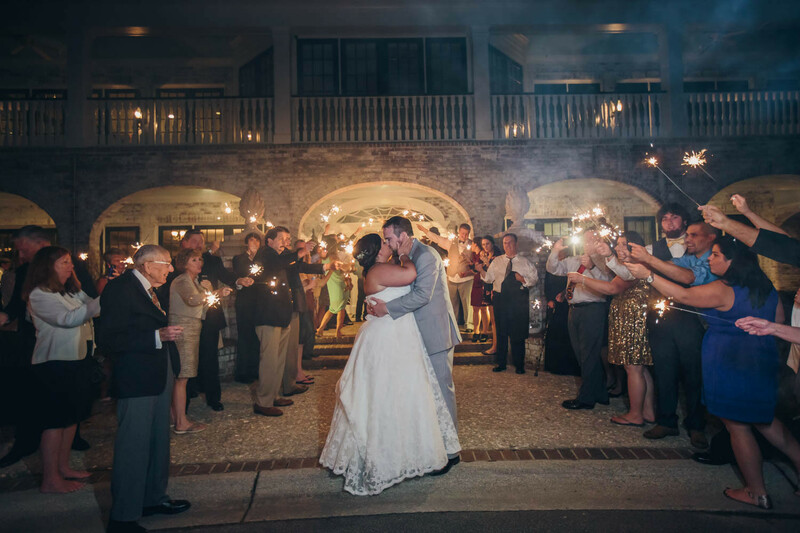 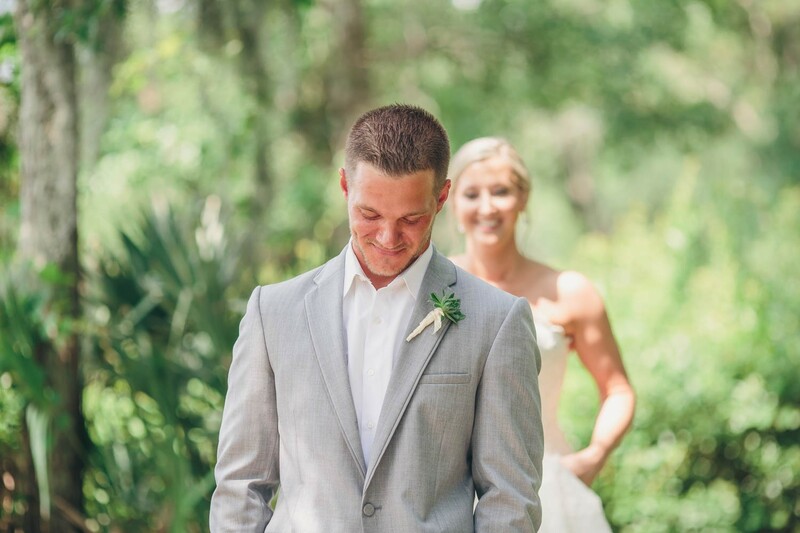 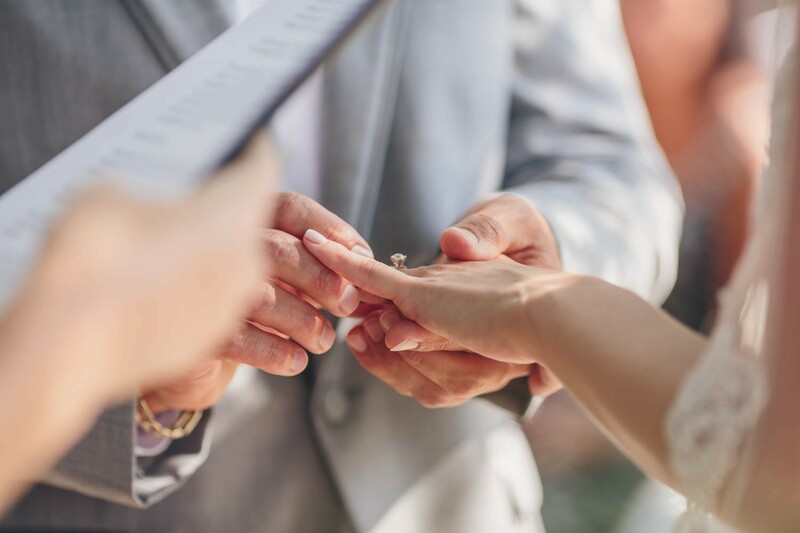 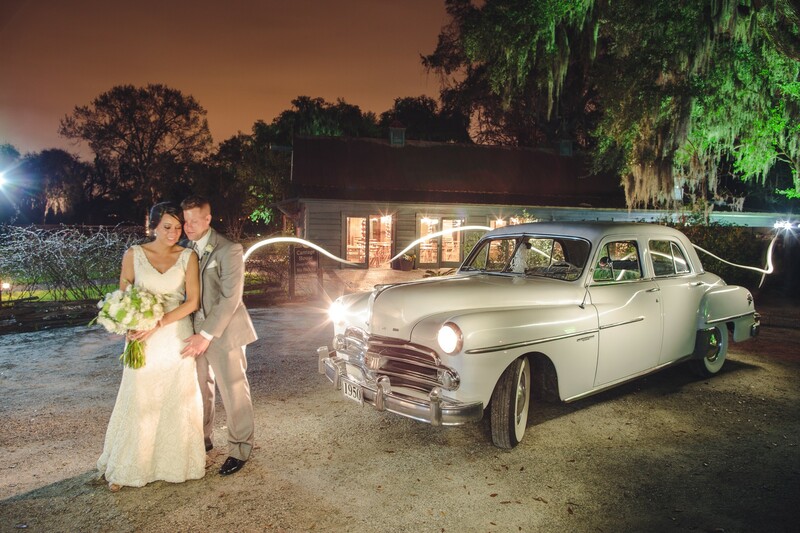 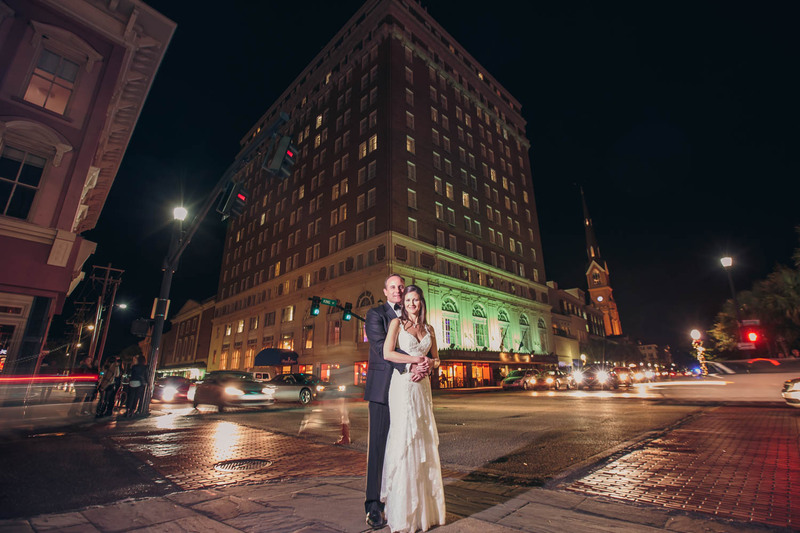 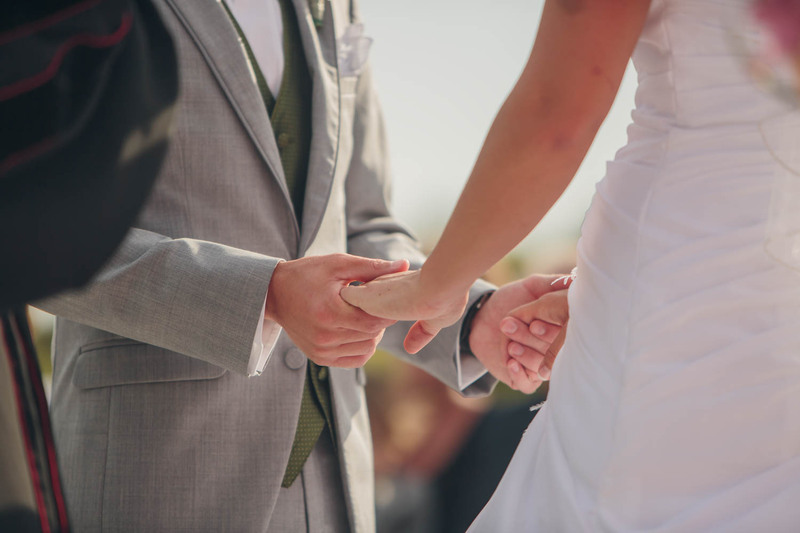 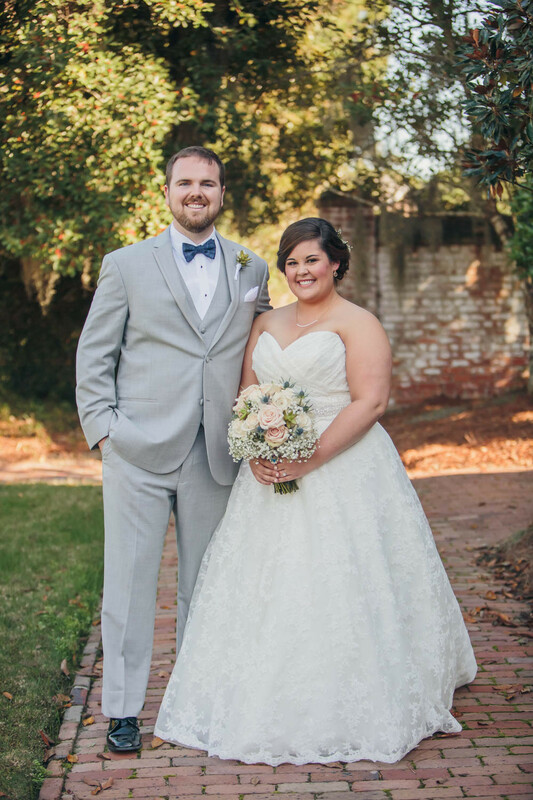 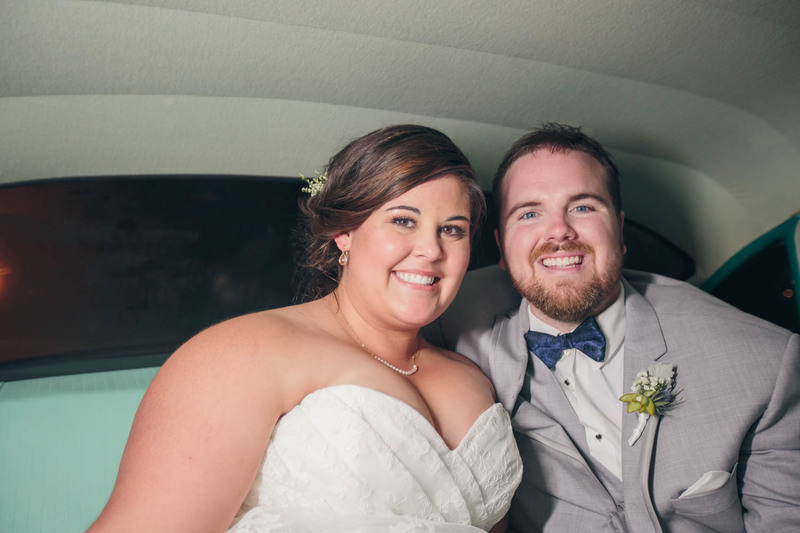 The couple left the party as husband and wife in a classic white car from Lowcountry Valet and Shuttle. 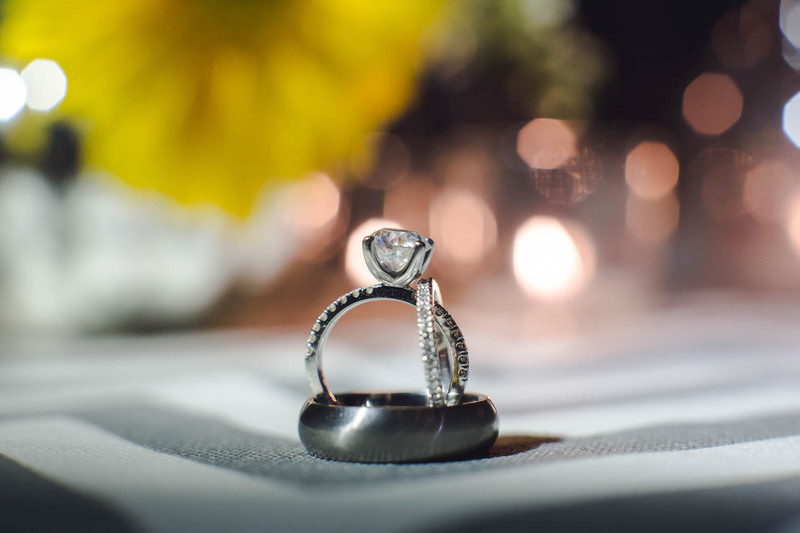 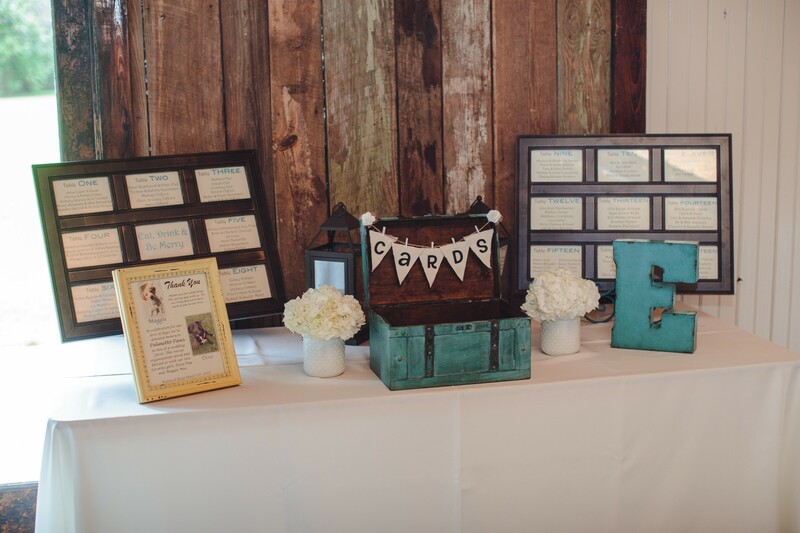 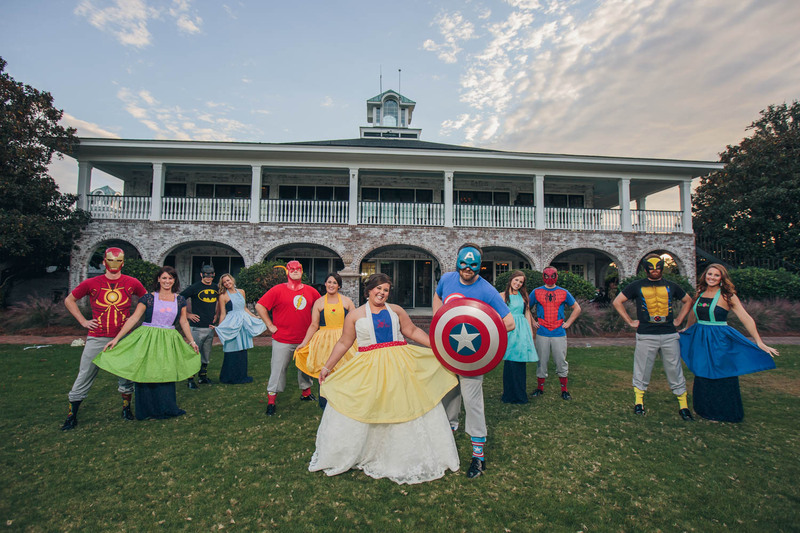 So many wonderful vendors came together to create a $50,000 wedding to giveaway to a wonderful couple. 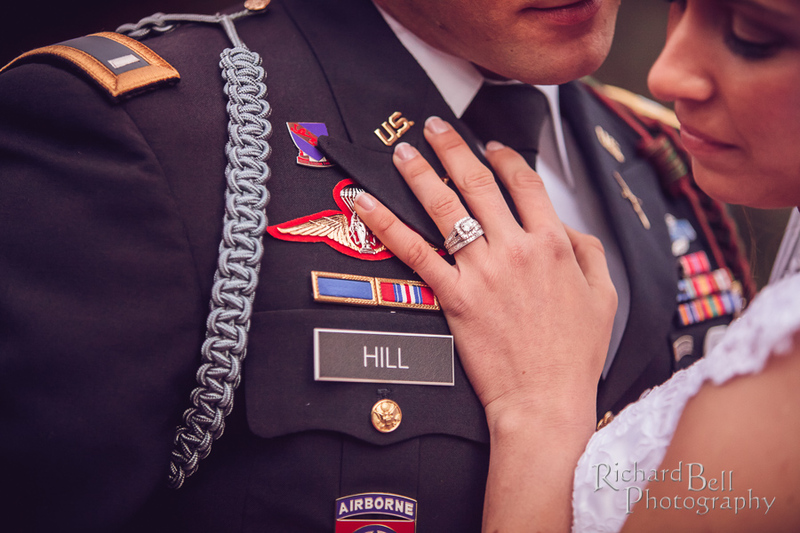 Katie and Bobby are Army Rangers who entered the contest, and their families, friends, and countless others joined forces to vote for them to win. 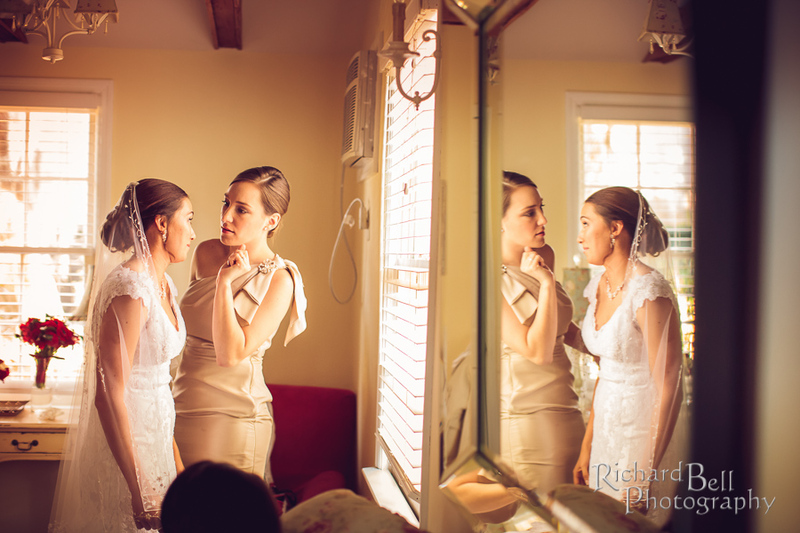 Earlier this year, everything came together and WOW! 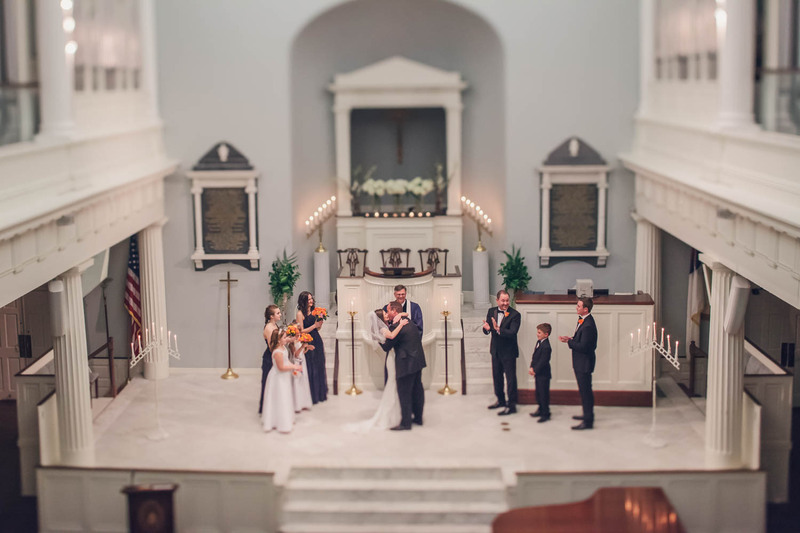 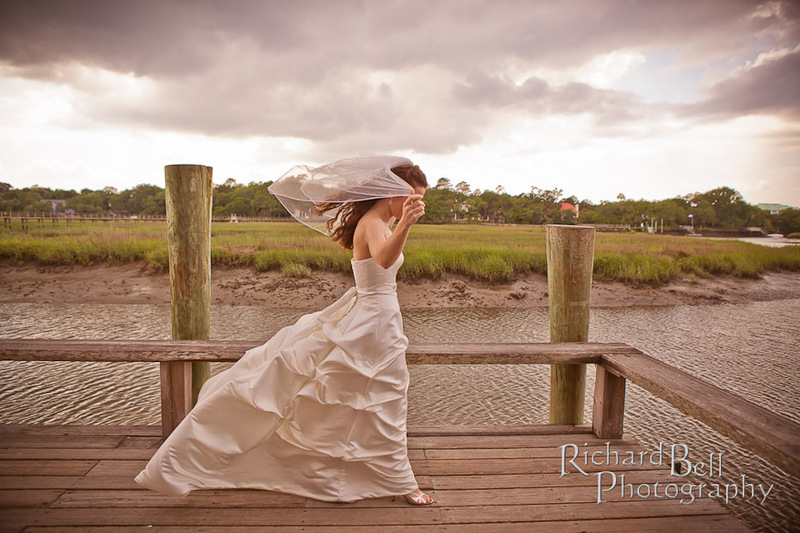 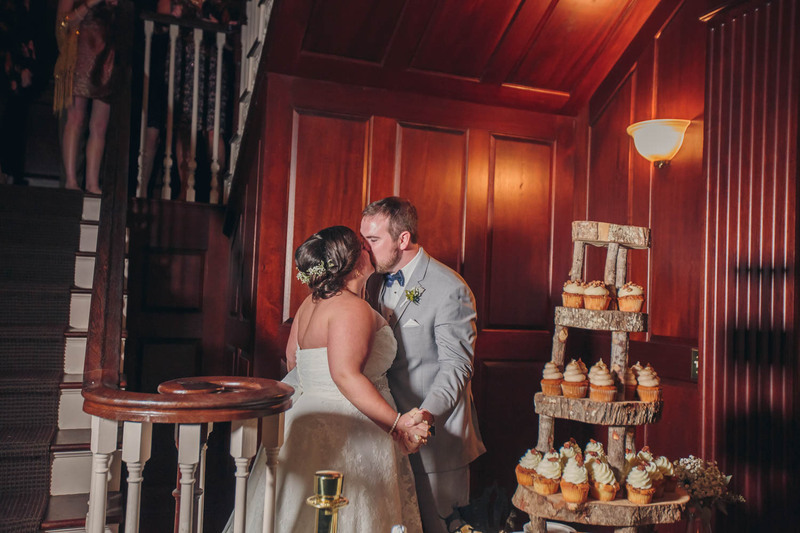 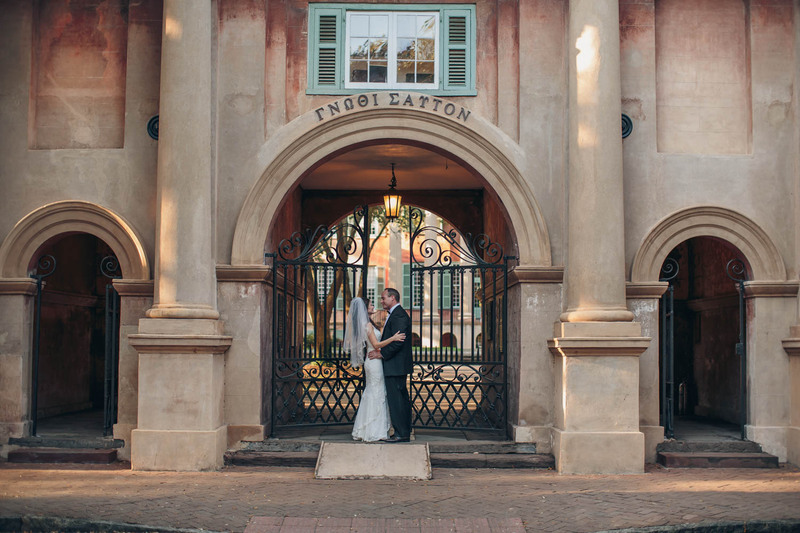 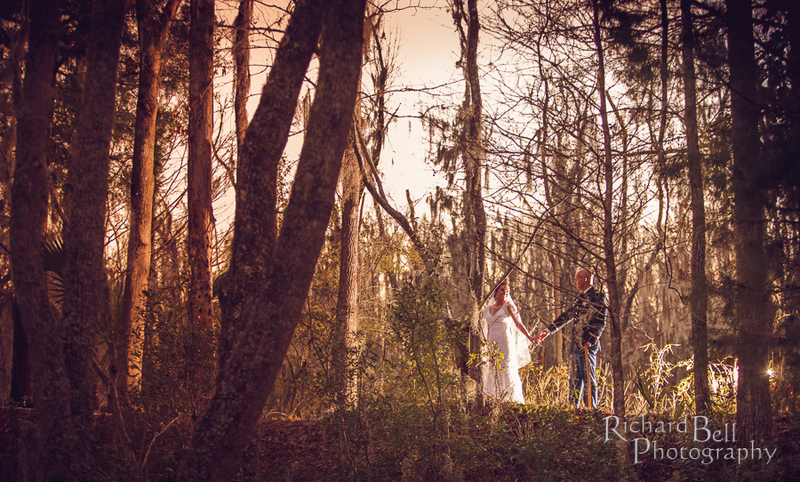 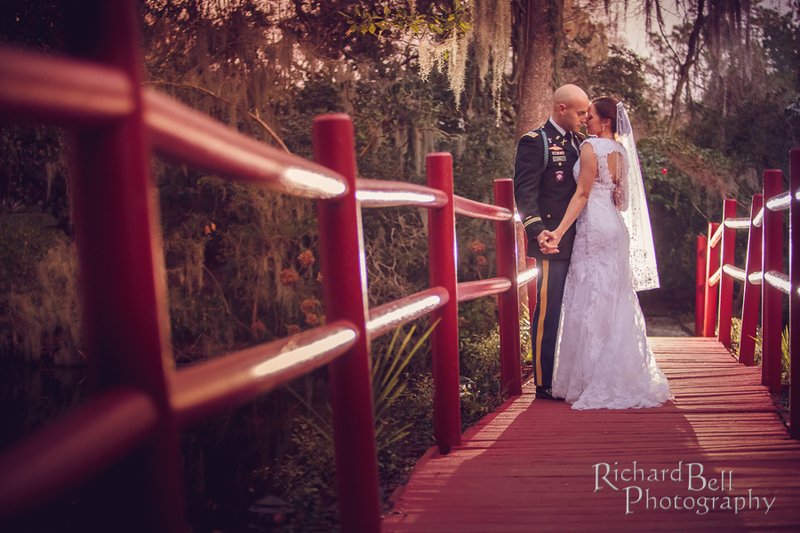 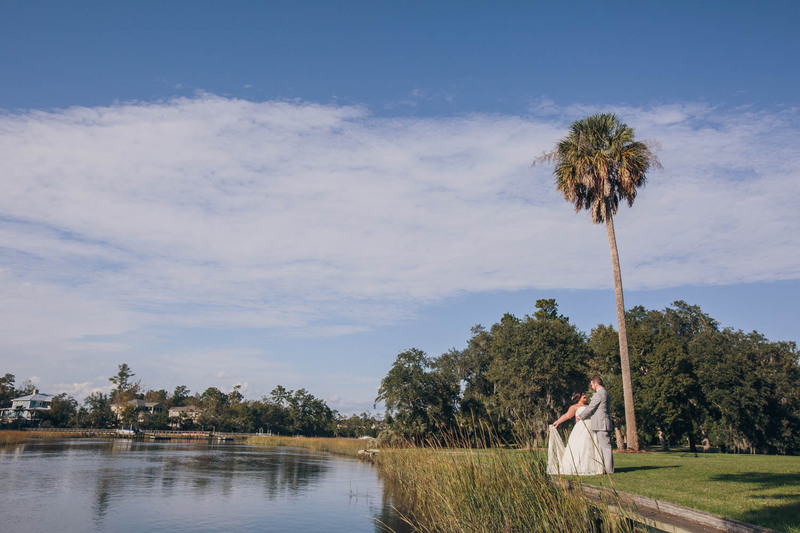 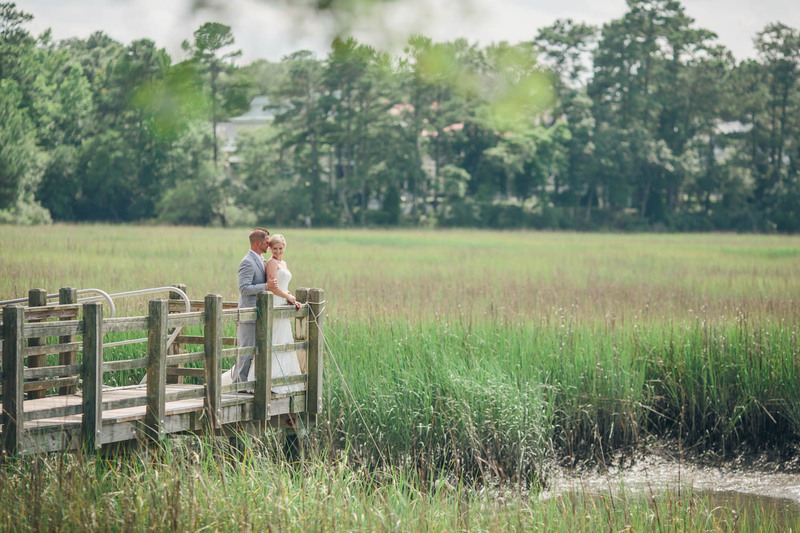 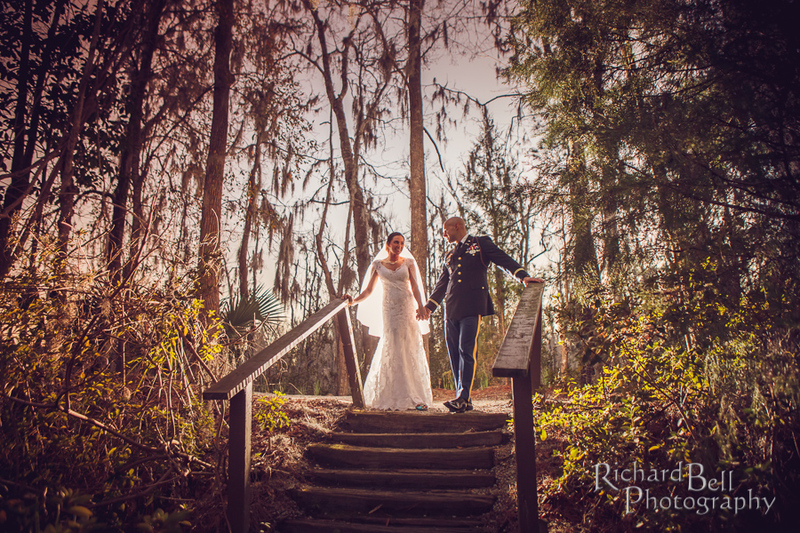 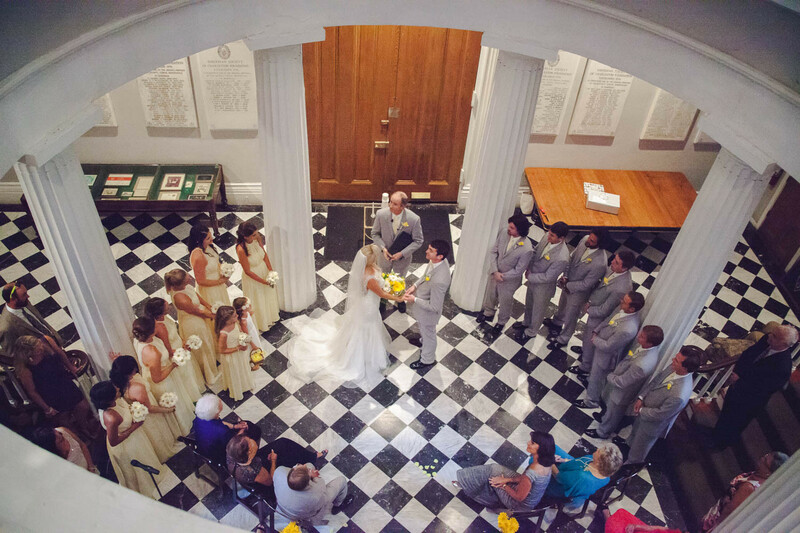 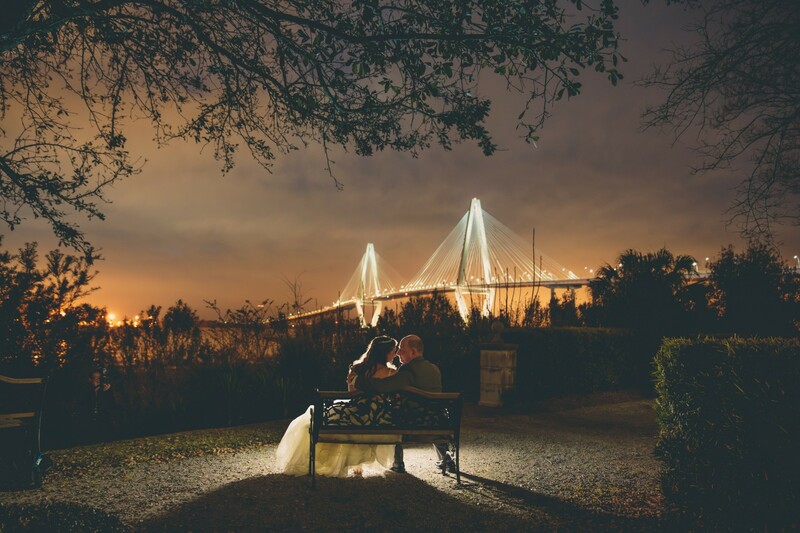 Their wedding has been featured in several publications including Charleston Wedding Magazine, the Post & Courier, and more.